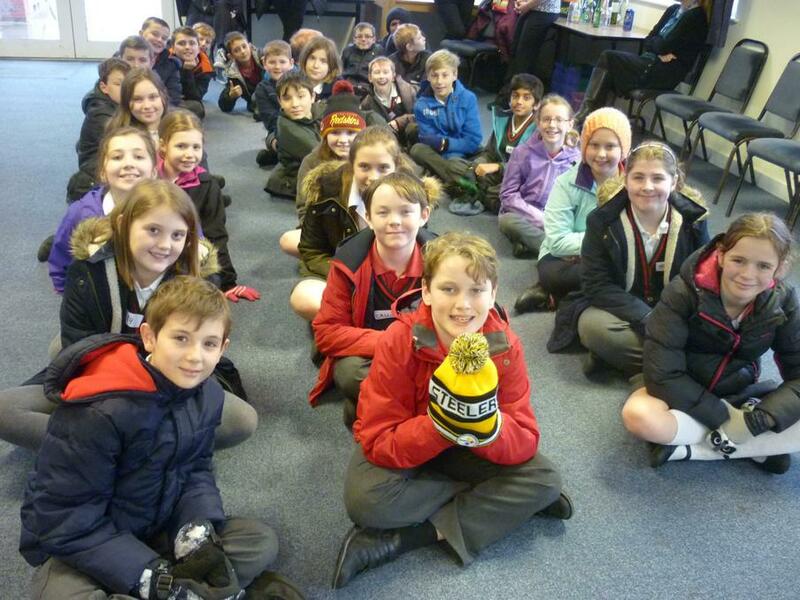 This term is certainly going to be a busy one! 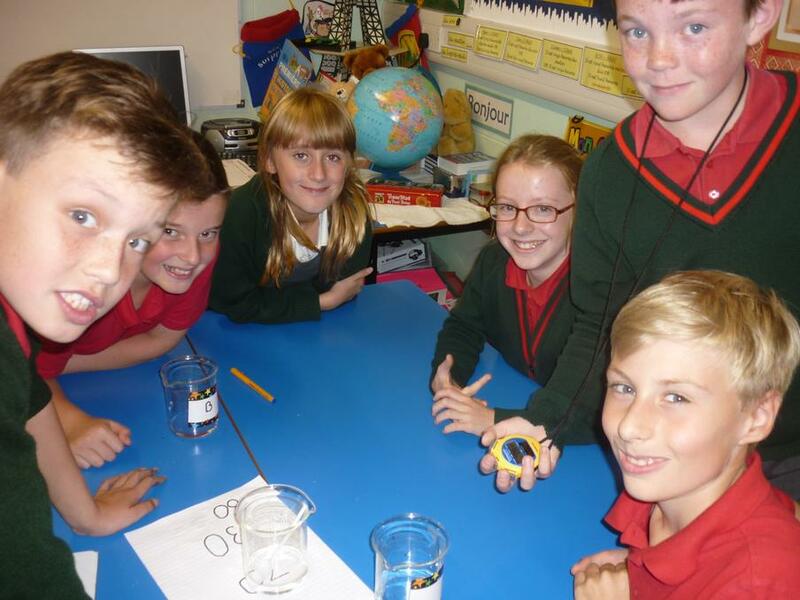 We will be learning about three topics in Science: Changing Circuits; Reversible and Irreversible Changes; and Microorganisms. 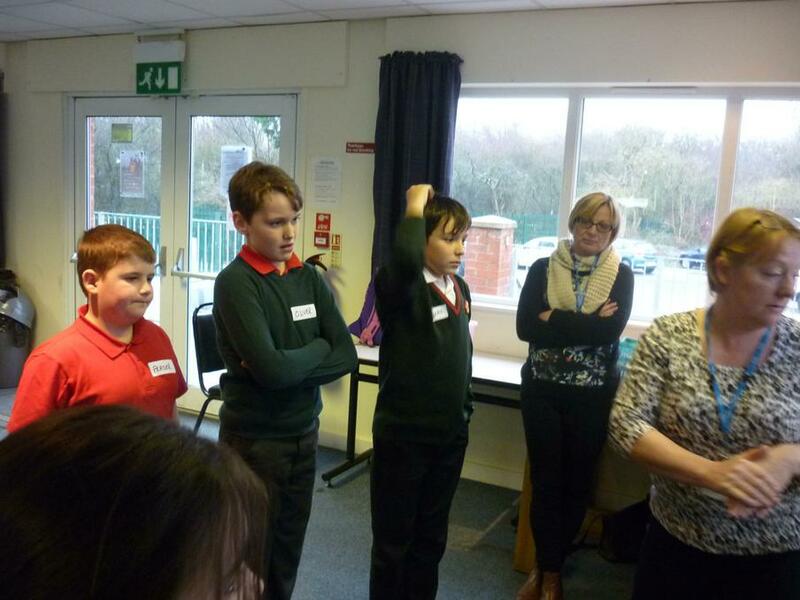 In addition, in our Topic work, we will be finding out more about the Vikings and in particular looking at the struggle to rule England between the Anglo Saxons and the Vikings. 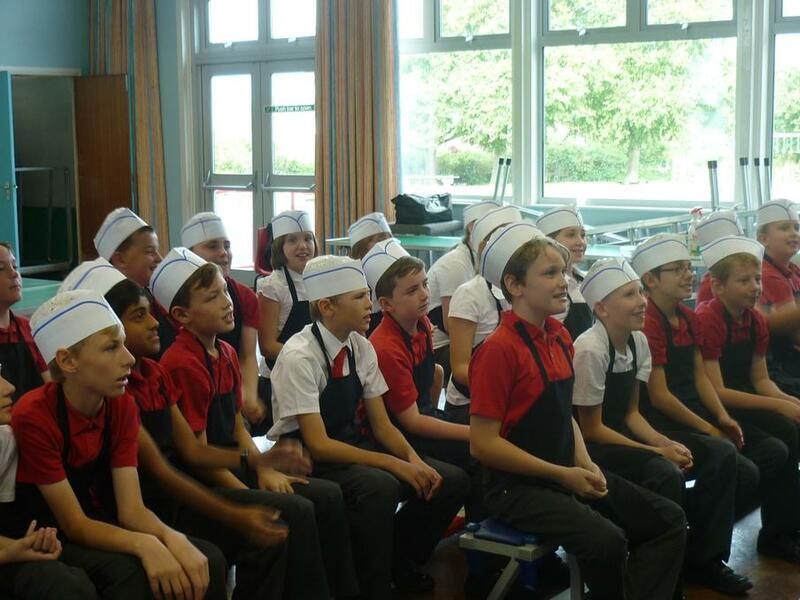 In our D & T work, we will be continuing with our commemorative cushions and making sure that we can all thread a needle and sew a button on! 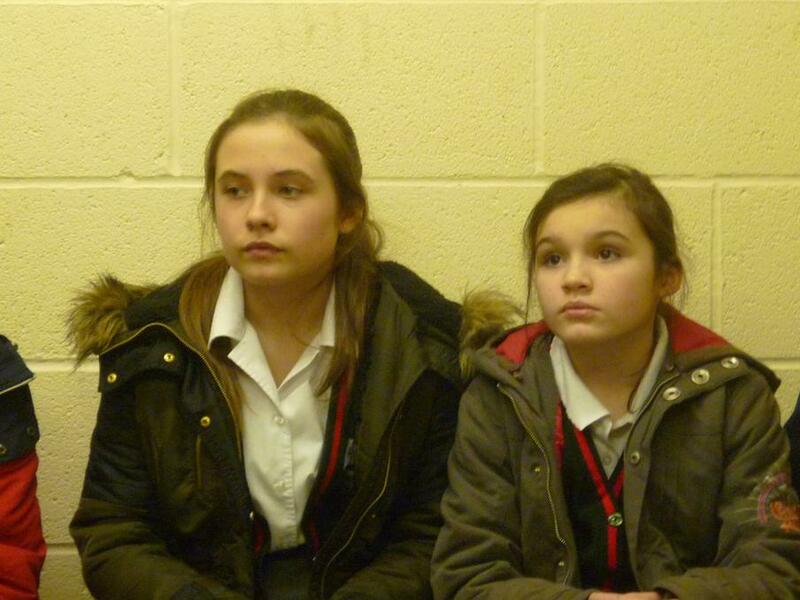 In Literacy and Numeracy we will be doing plenty of revision for our SATs which are from the 11th to the 14th May. 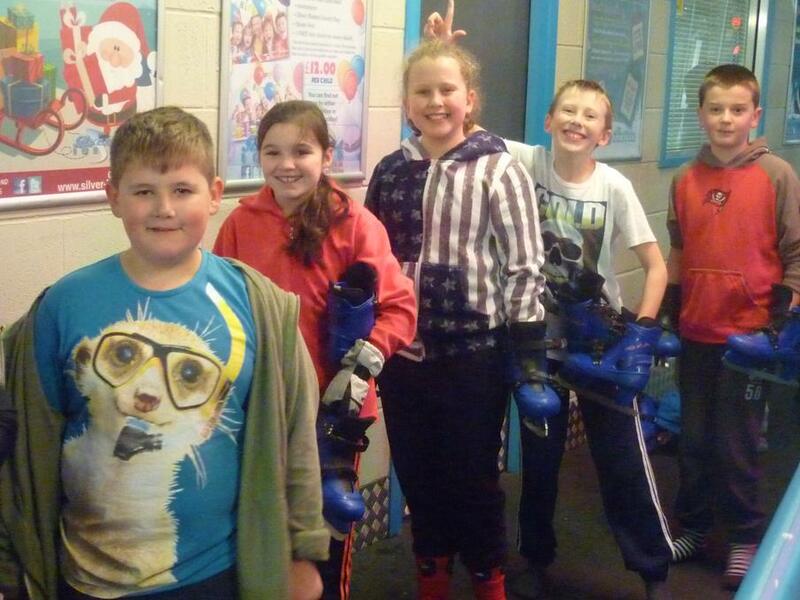 When they are over we will be having a well-deserved party on the afternoon of Friday 15th May. 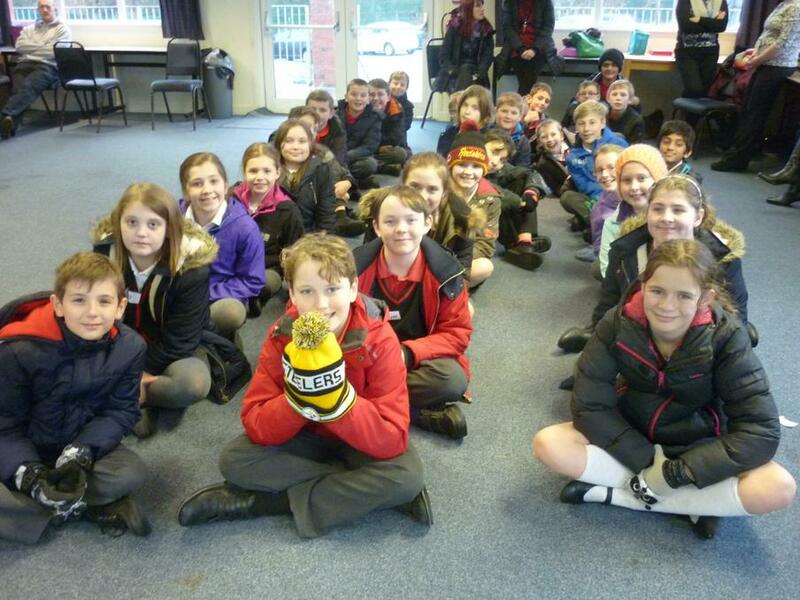 Just after the Whitsun break, we are off to Robinwood for our residential trip which is sure to be a fun-packed time for all. 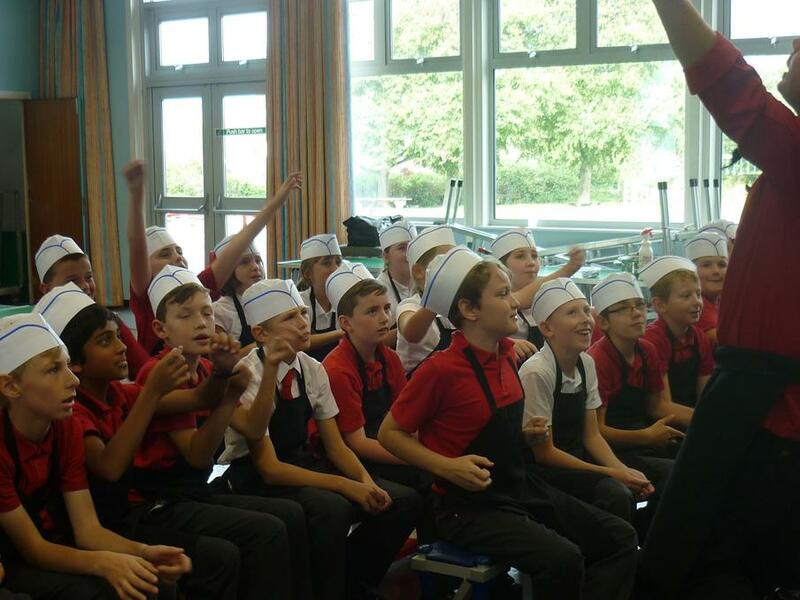 (See the colour souvenir pictures on the PDF below to help you with your choices. 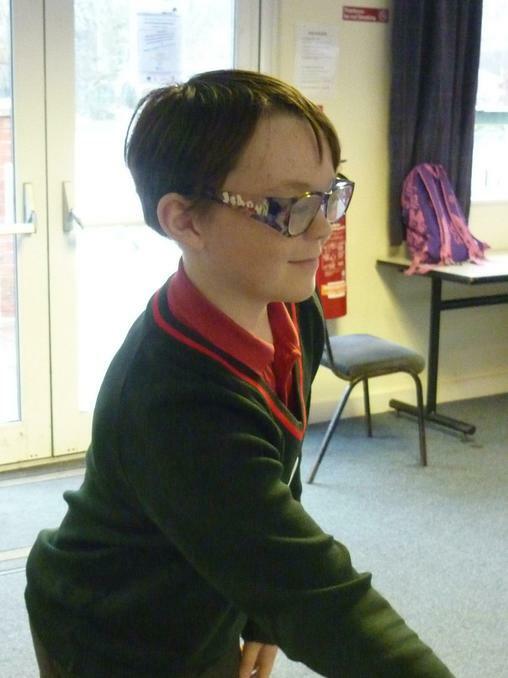 In RE, our new topic is Hinduism in which we will learn about Hindu beliefs, pilgrimage and temples. 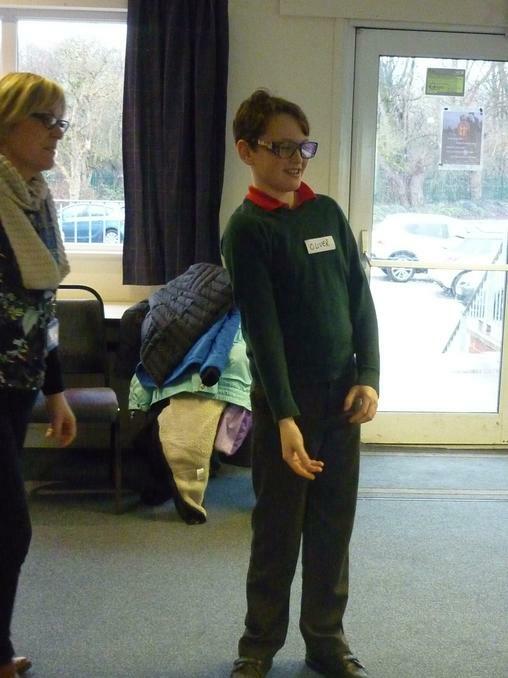 In July, we will be putting on our Year 6 production which should be a wonderful spectacle in which we will get the chance to show off our acting and singing skills. 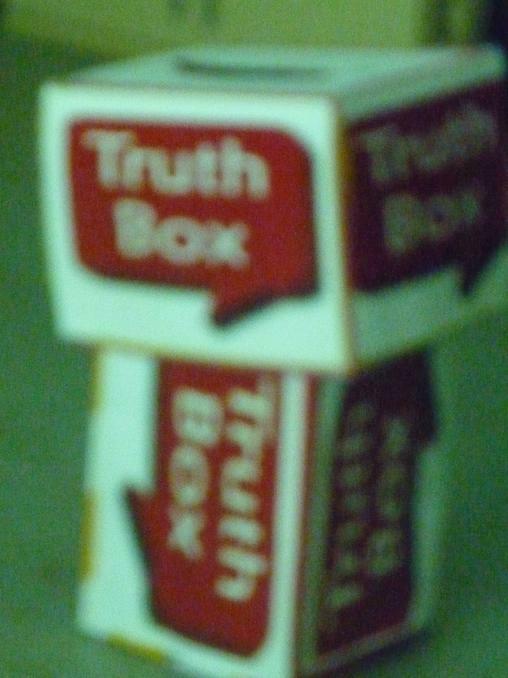 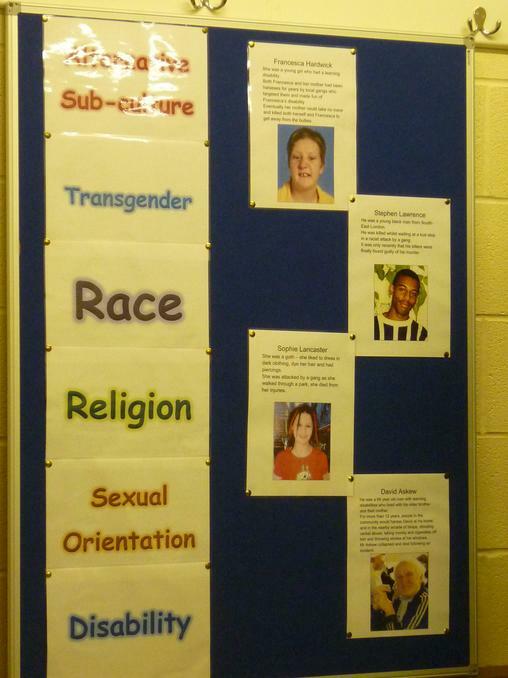 All in all it should be an interesting term just before we get ready to go off to our secondary schools. 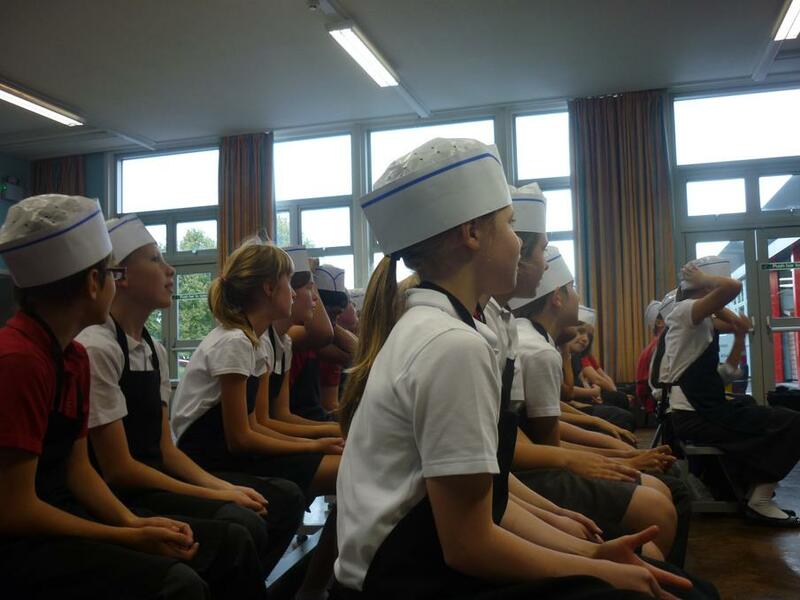 The leavers' assembly on the last day should be very moving and we can virtually guarantee that there won't be a dry eye in the house! 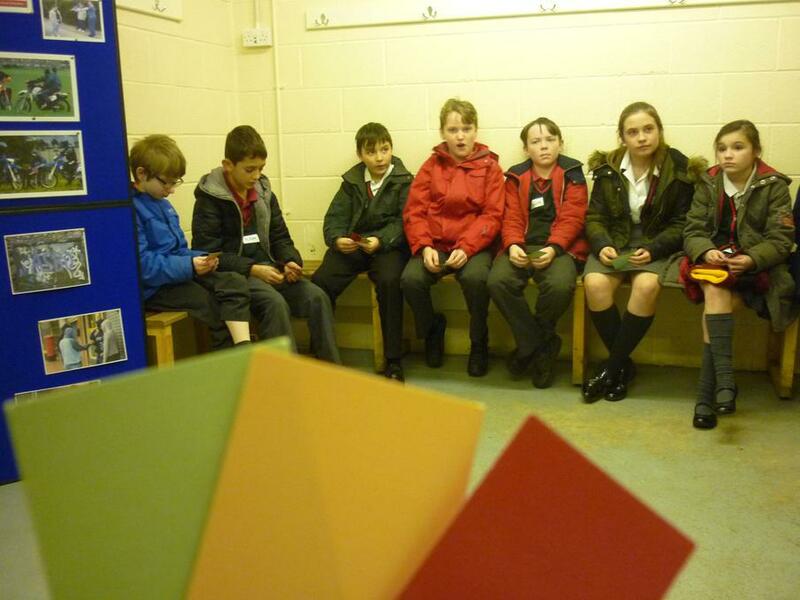 Here is a colour souvenir sheet from Robinwood to help with your choices. 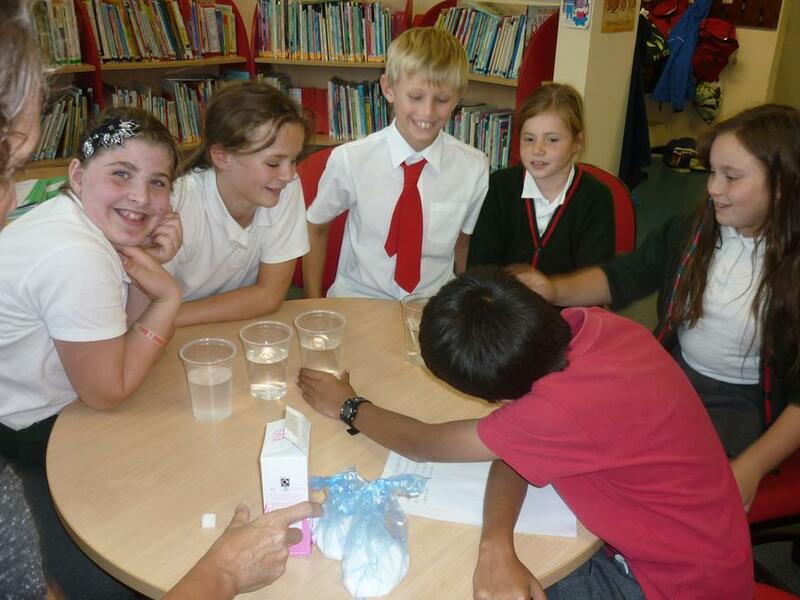 This term in Year 6 we have lots of interesting topics to keep us busy. 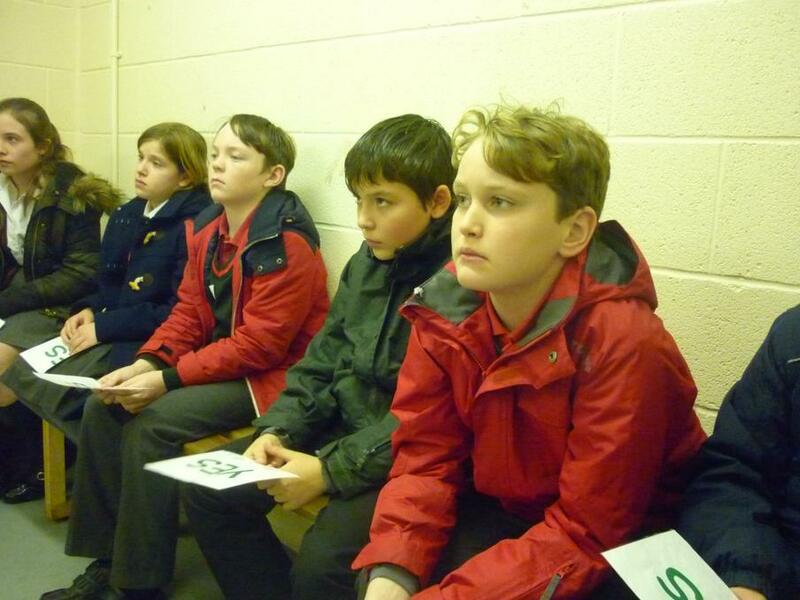 We will be finding out what happened during World War II in Britain and we will be having a visit from an ARP warden in March. 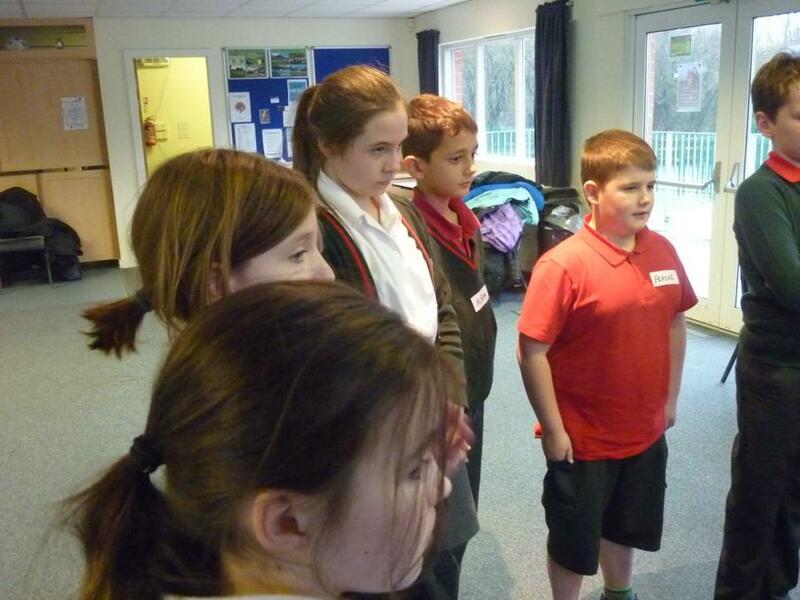 In addition we will be creating wartime propaganda posters in art. 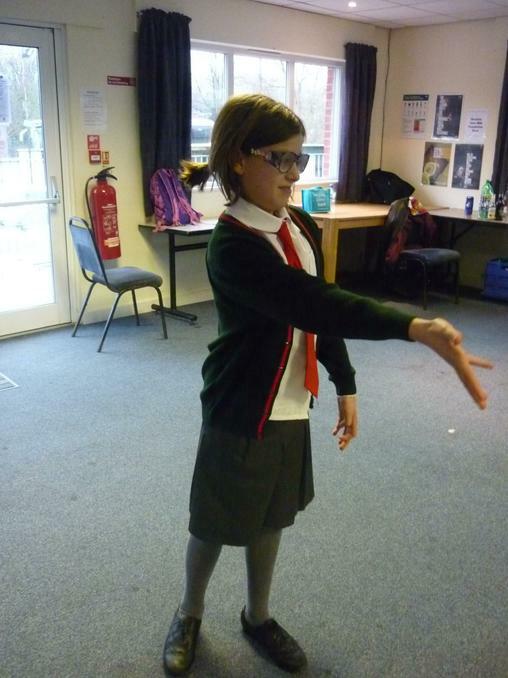 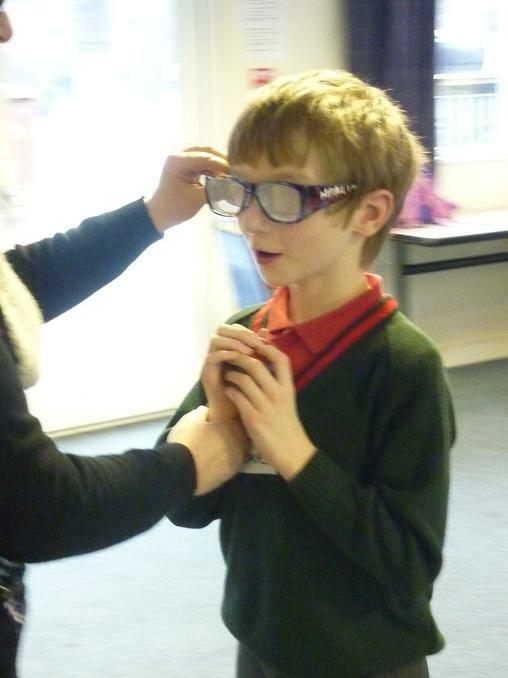 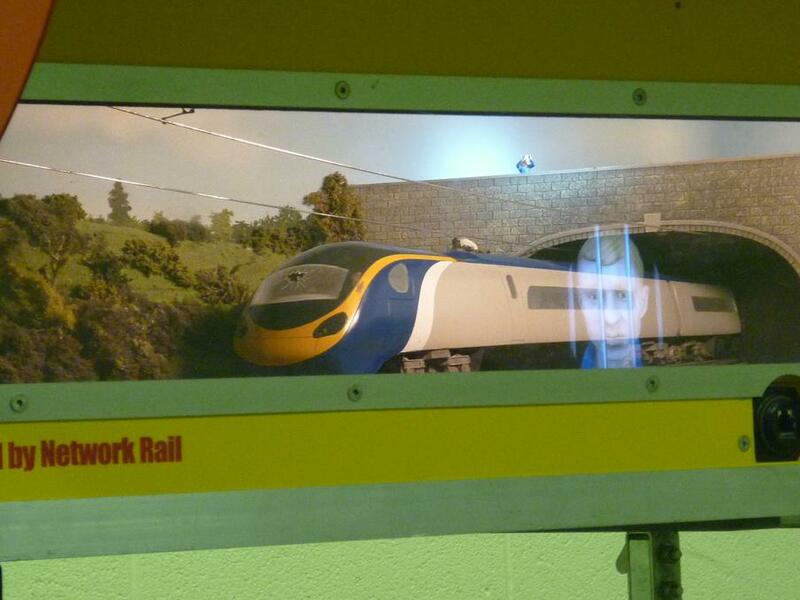 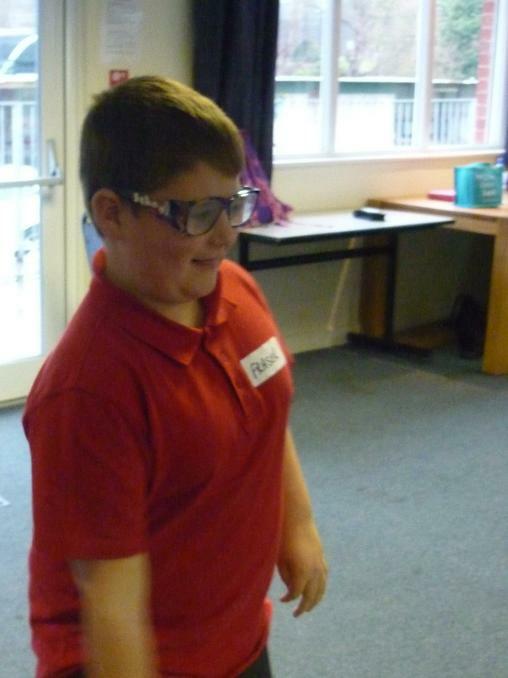 In Science we will be investigating 'Forces Around Us', followed by 'How we see things' . 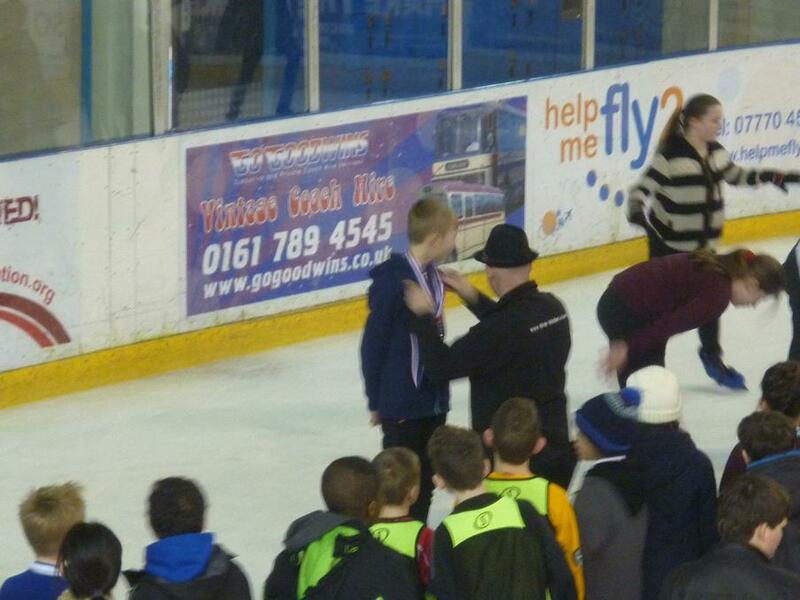 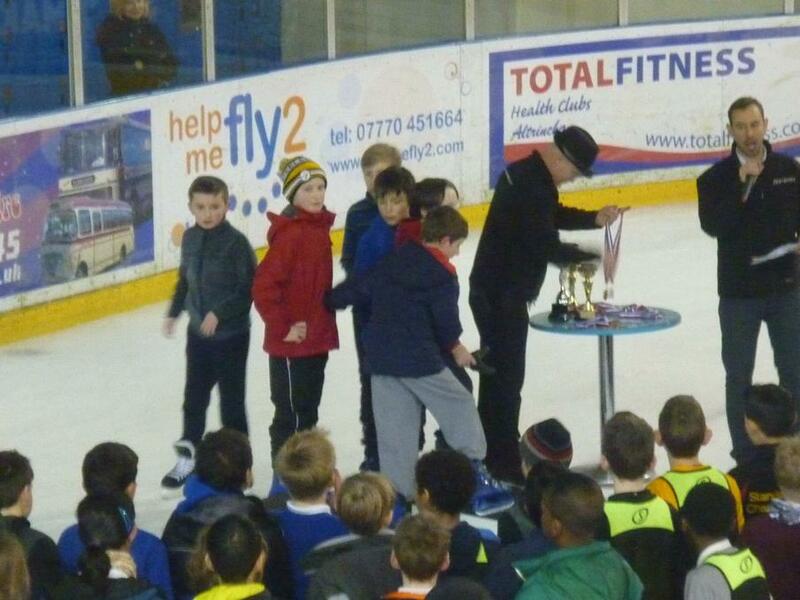 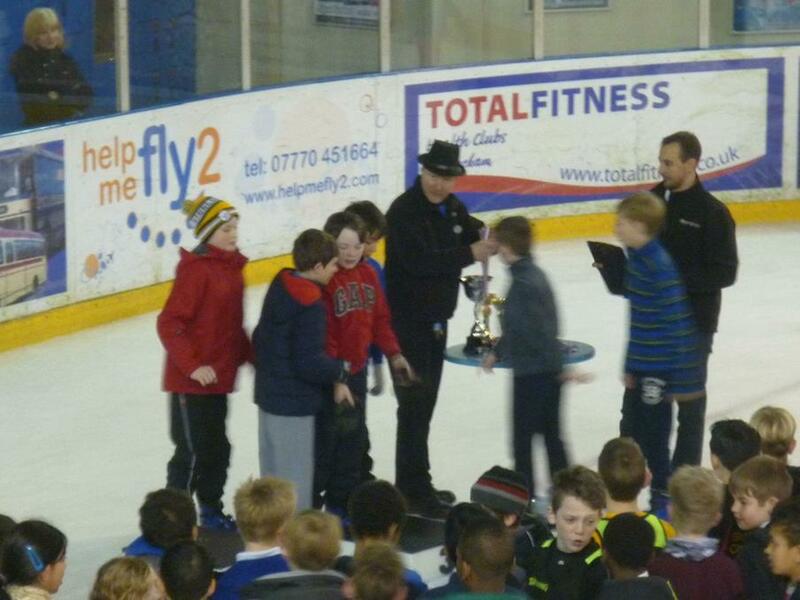 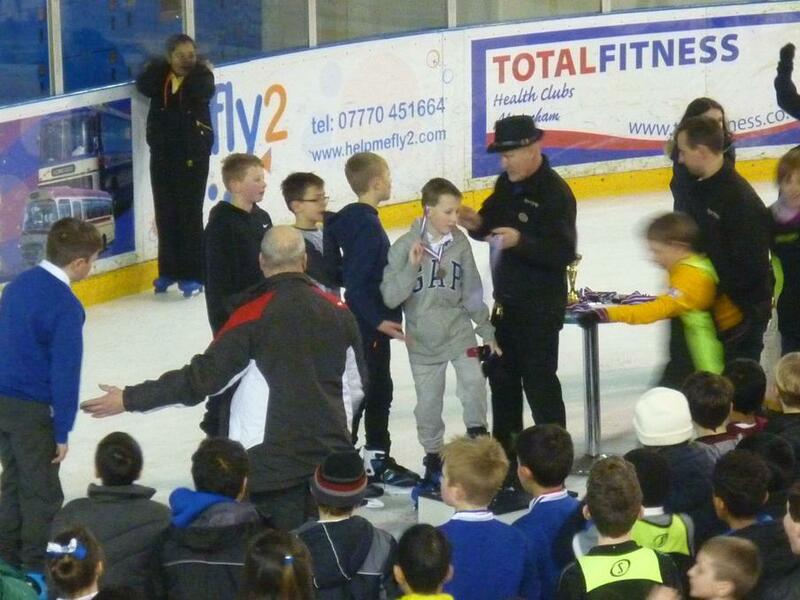 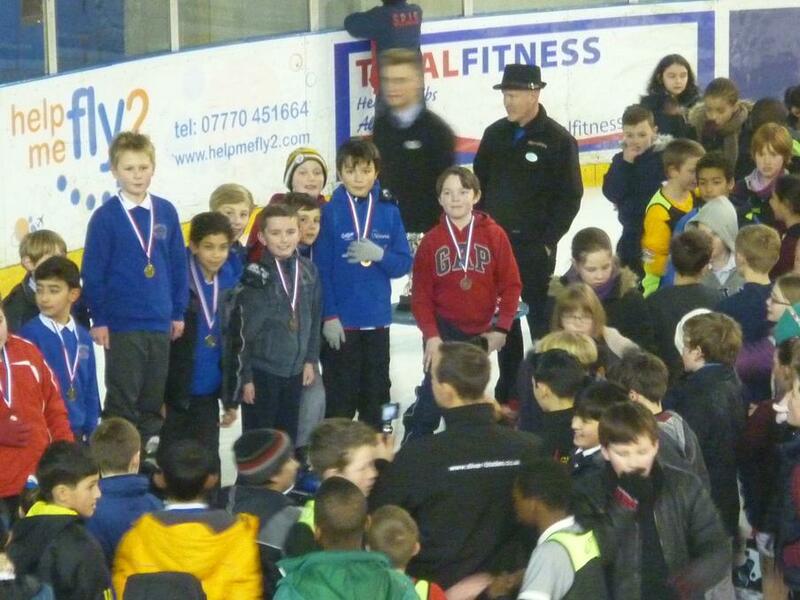 The Trafford Ice Skating Festival-exclusive pictures! 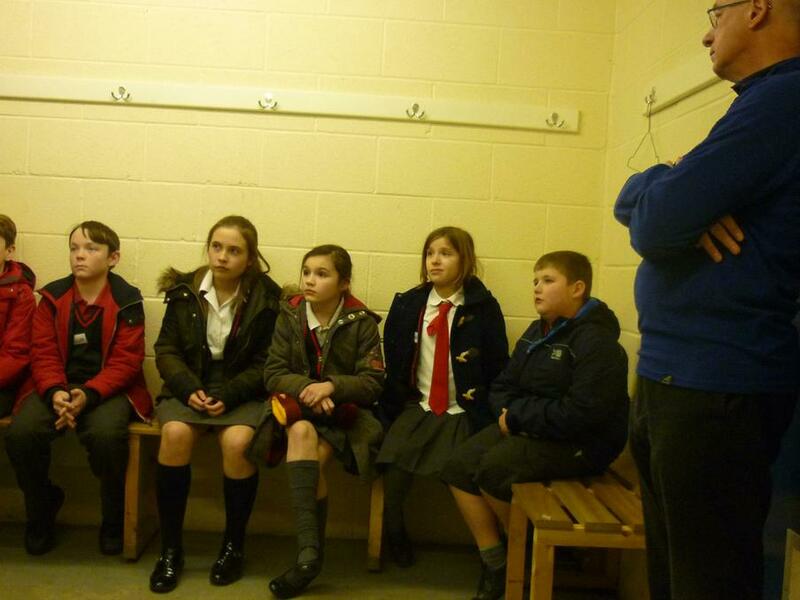 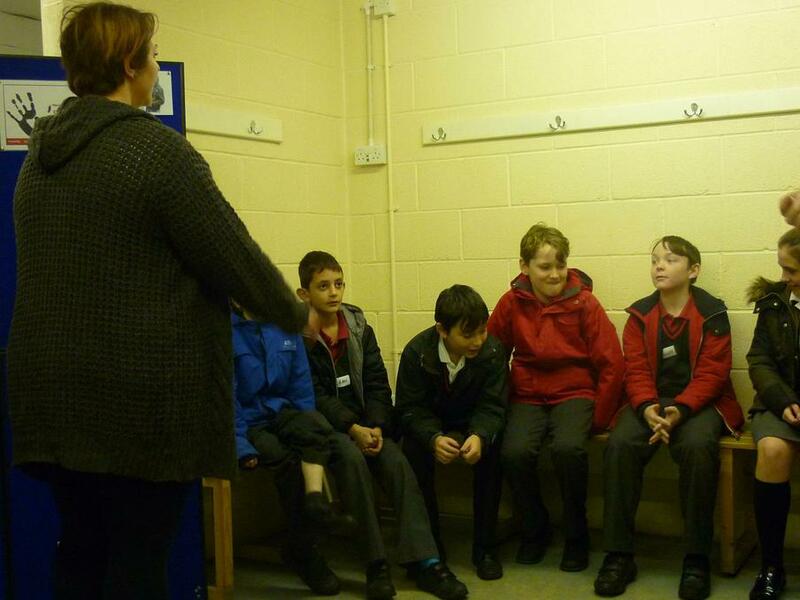 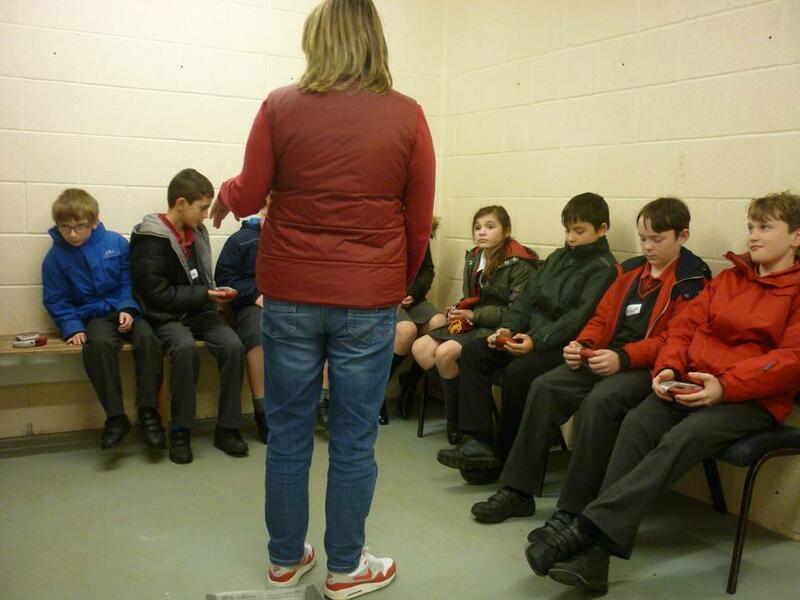 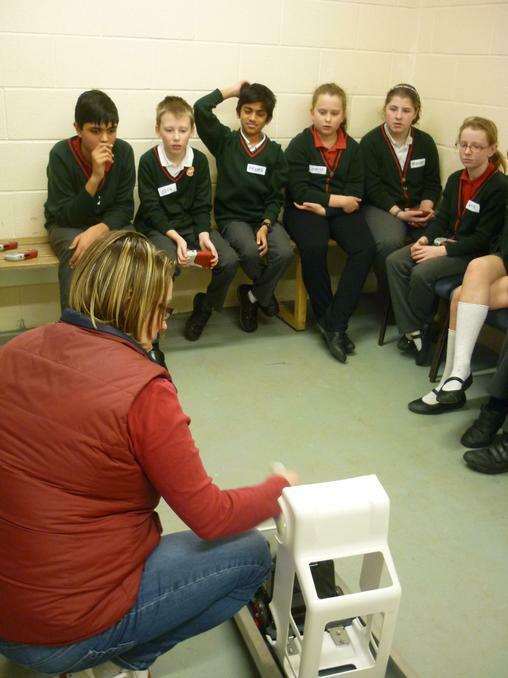 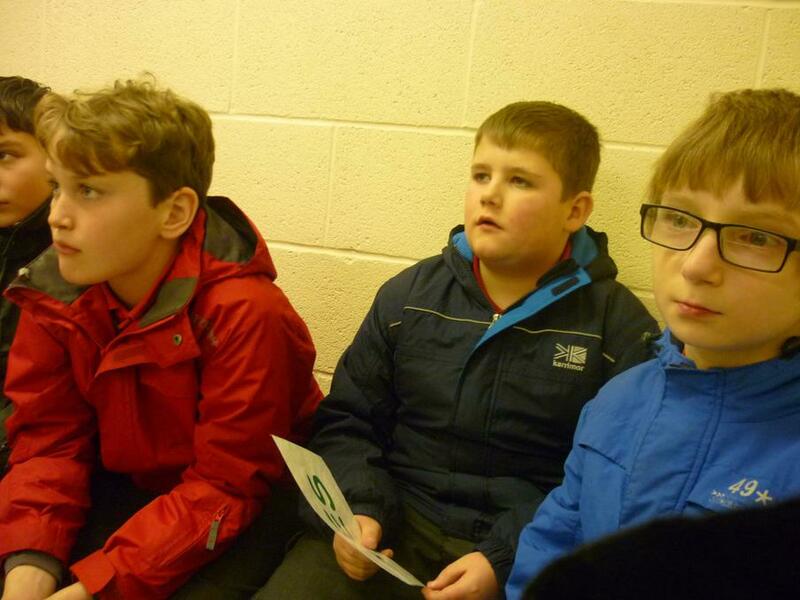 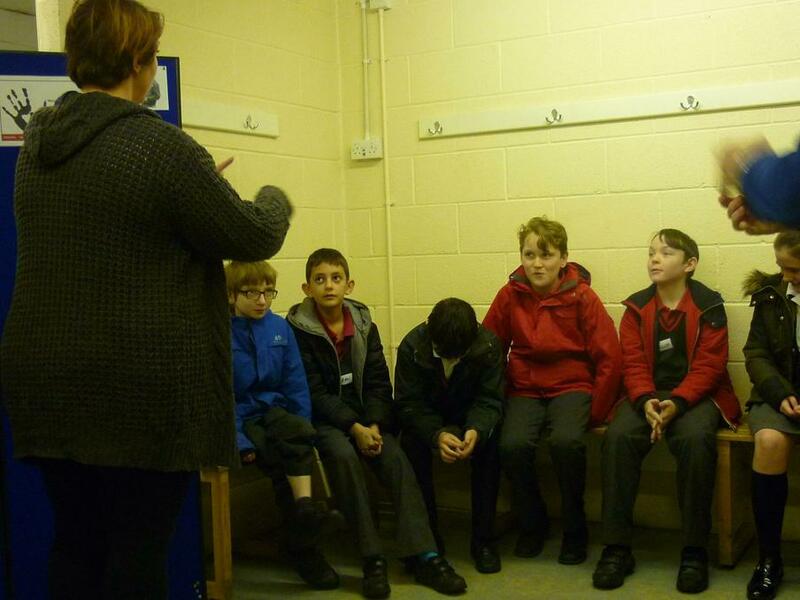 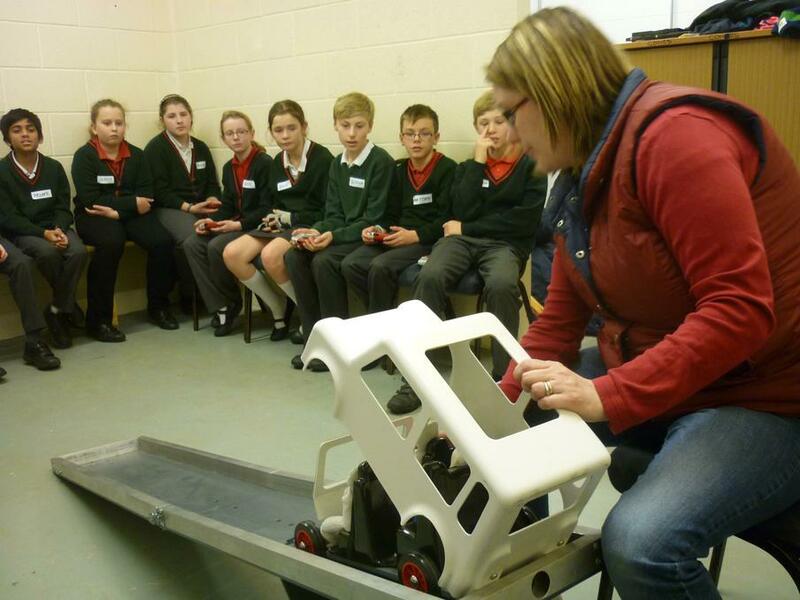 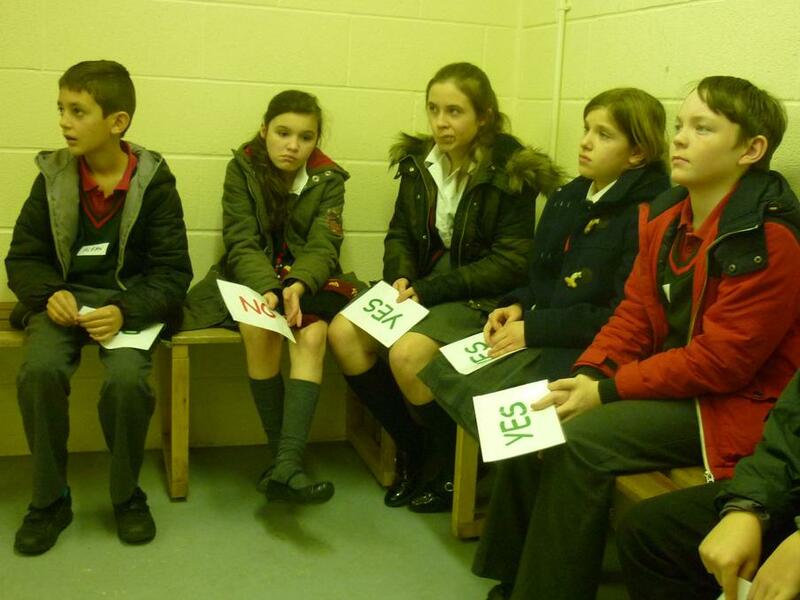 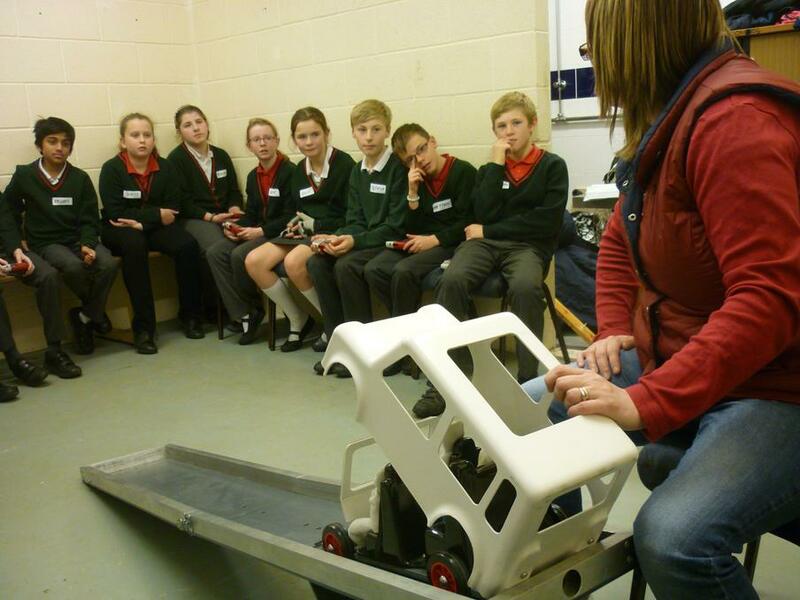 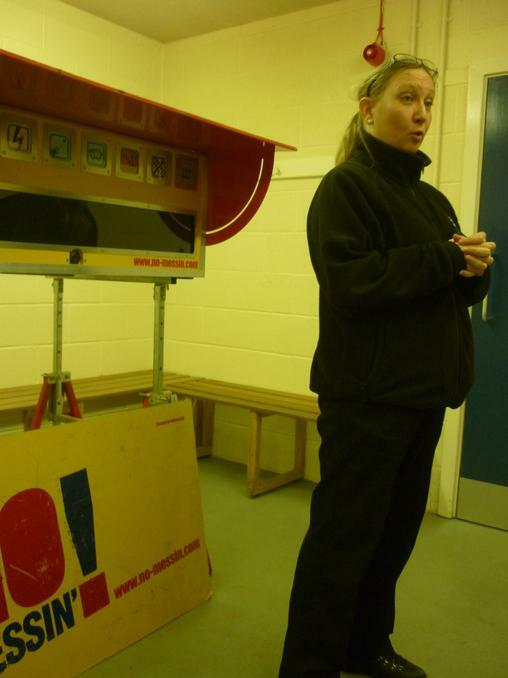 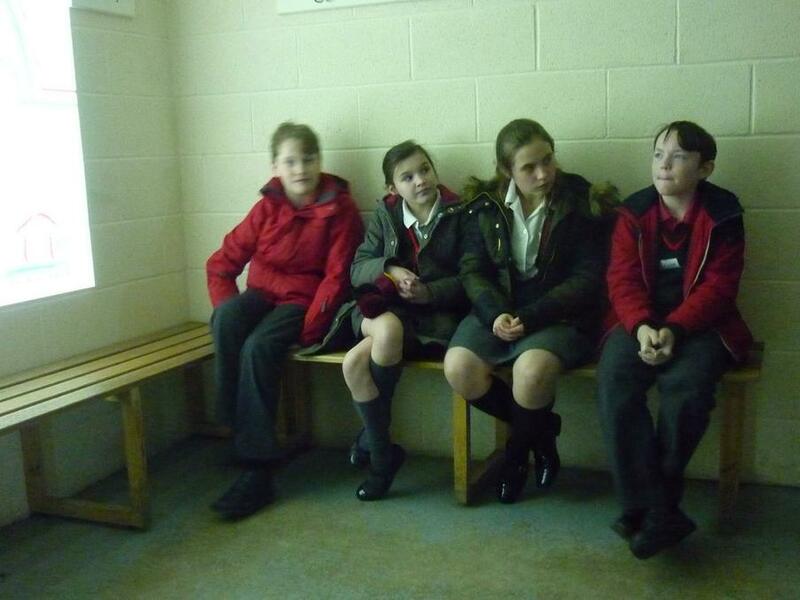 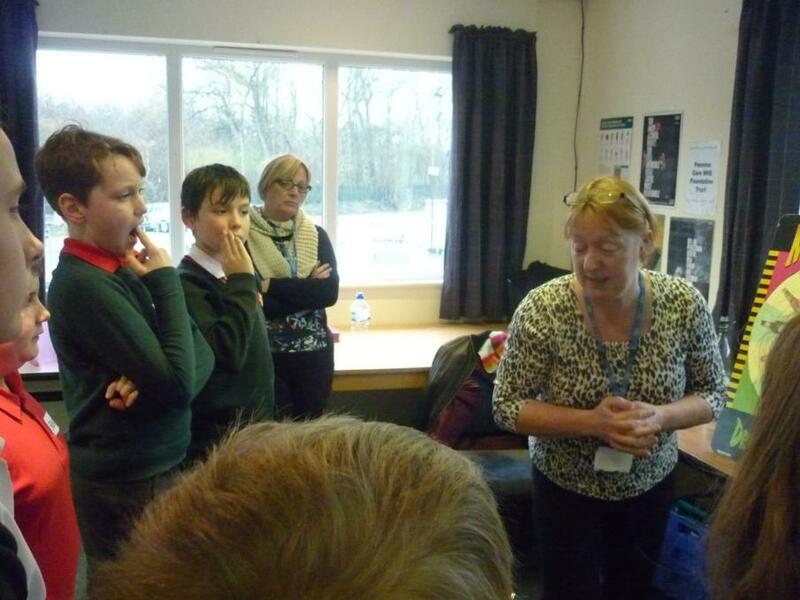 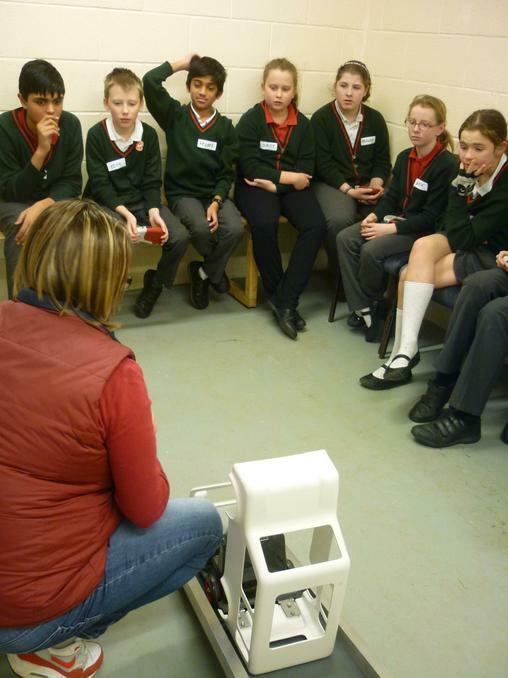 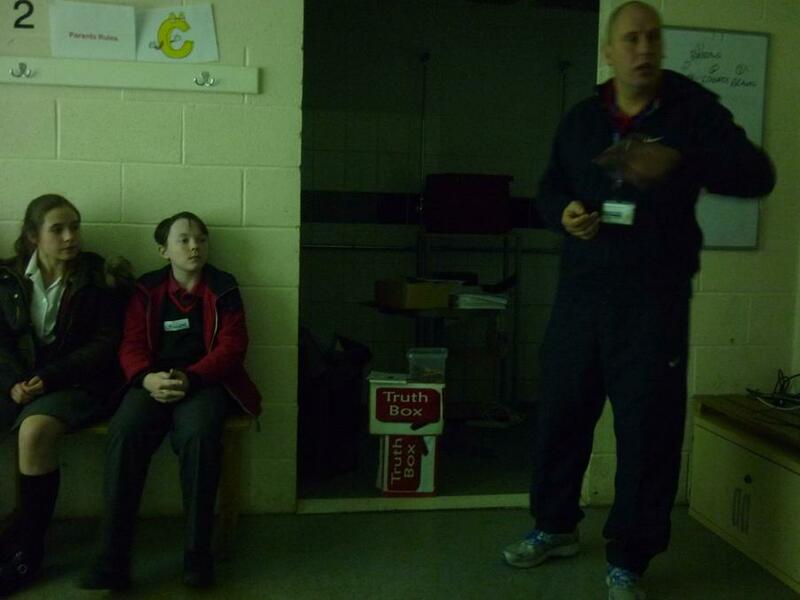 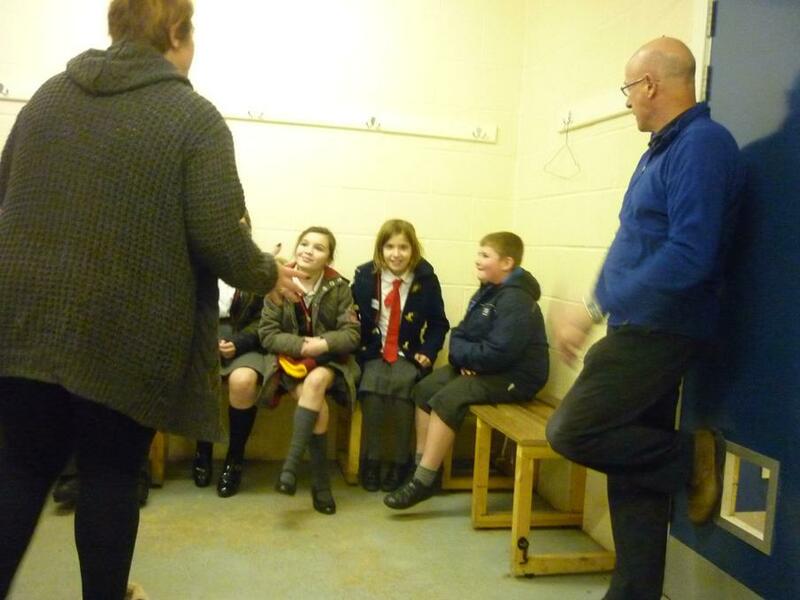 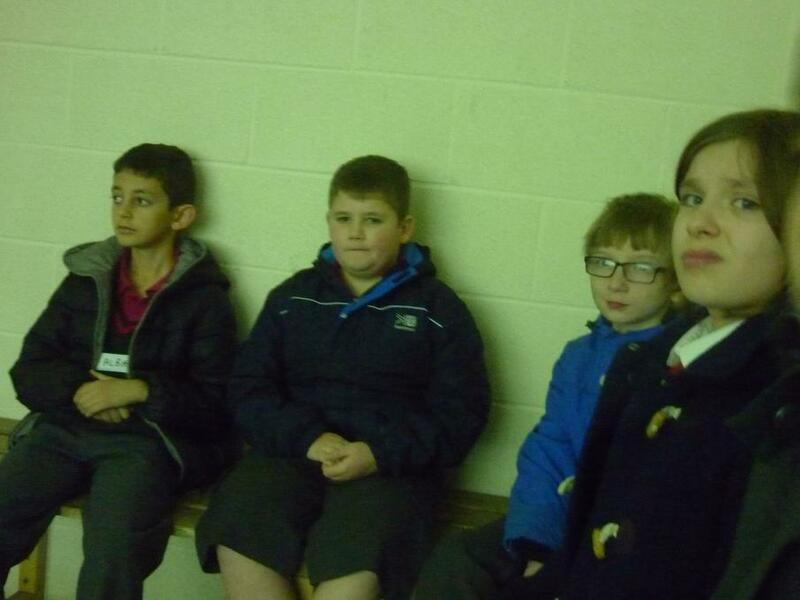 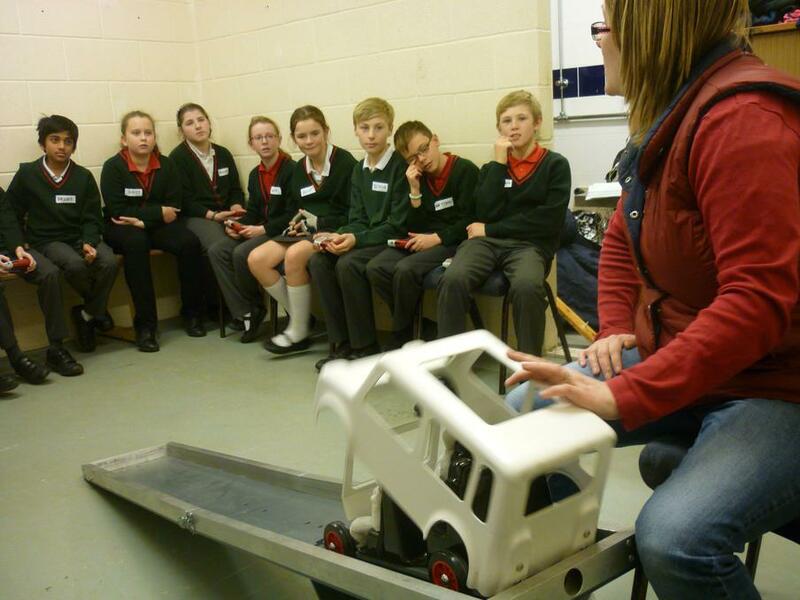 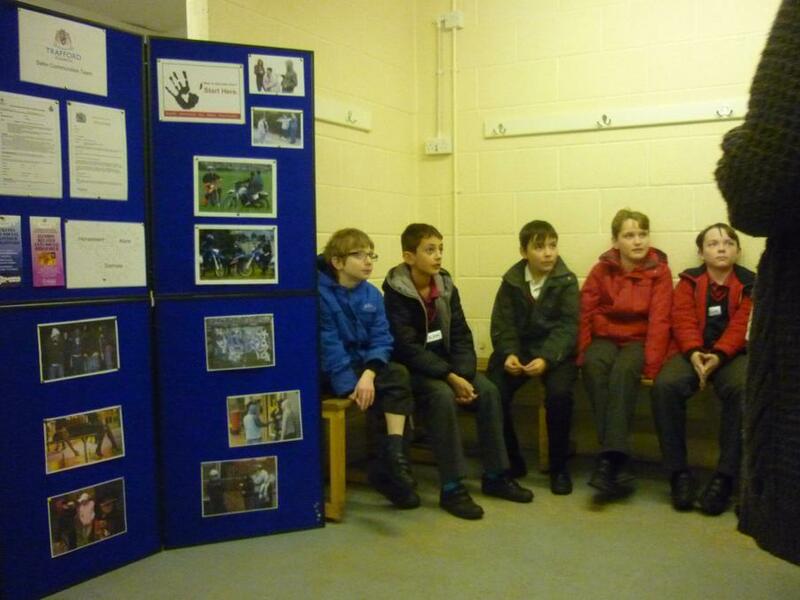 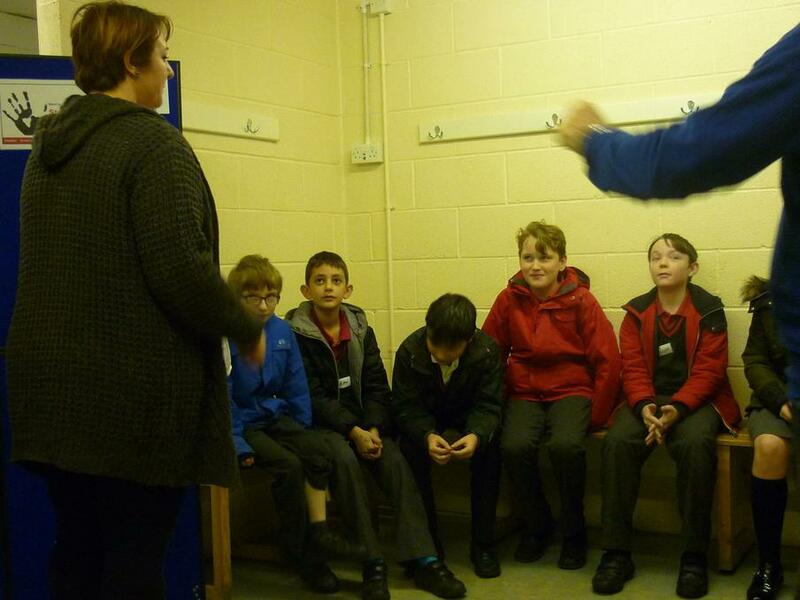 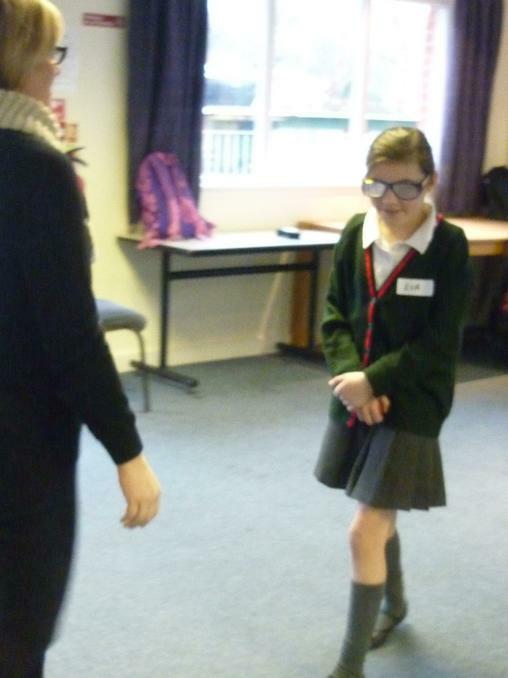 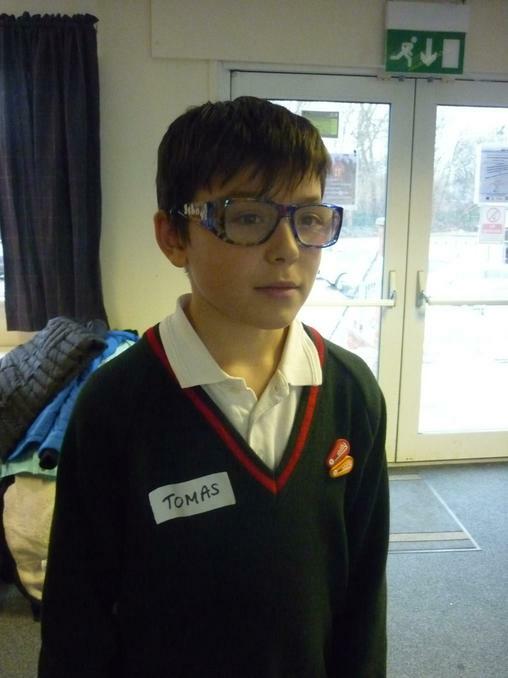 In February, Year 6 attended a Trafford safety event called Crucial Crew where we learnt all about keeping safe and avoiding dangers. 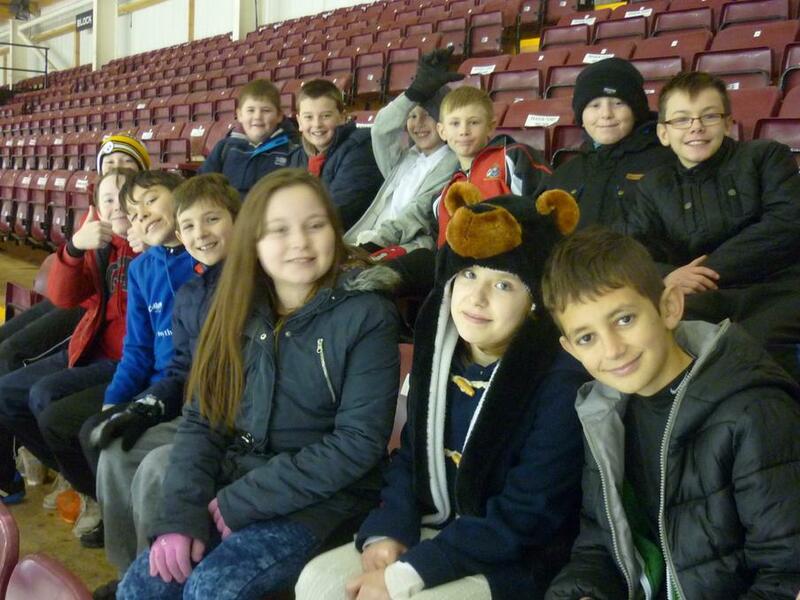 we all had a super afternoon. 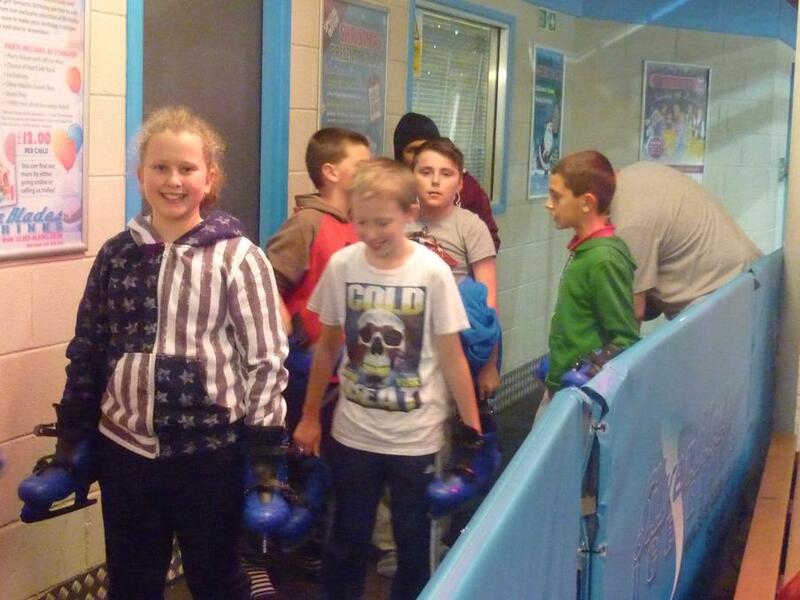 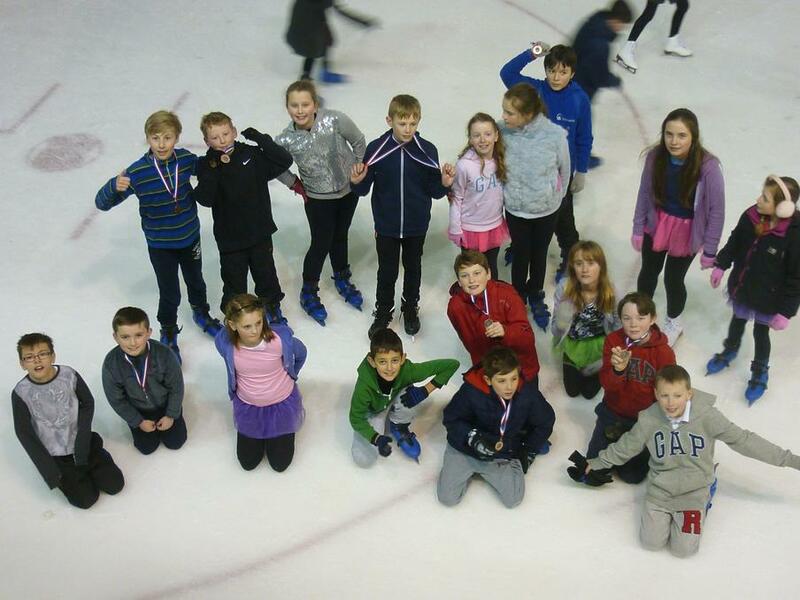 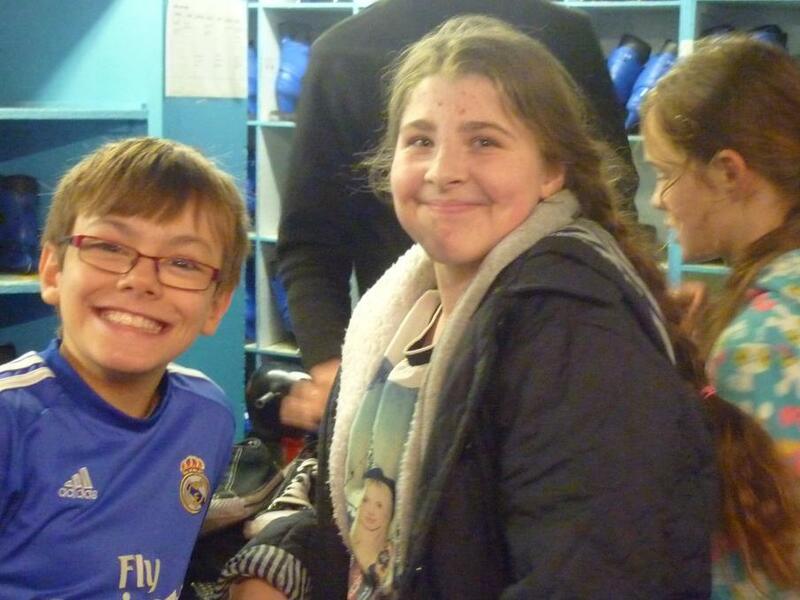 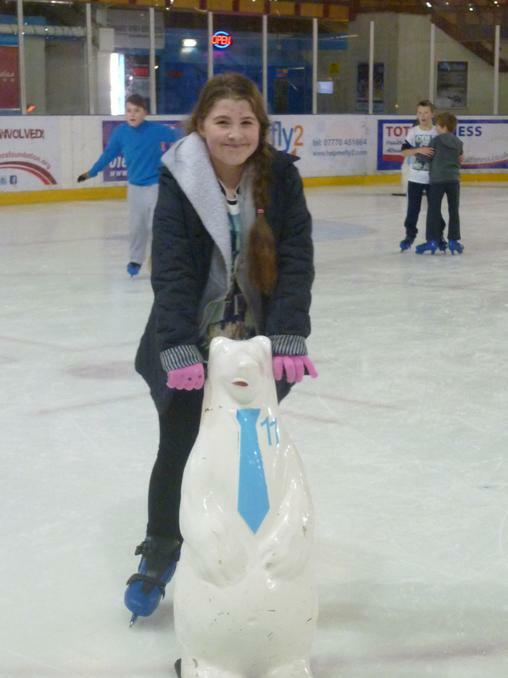 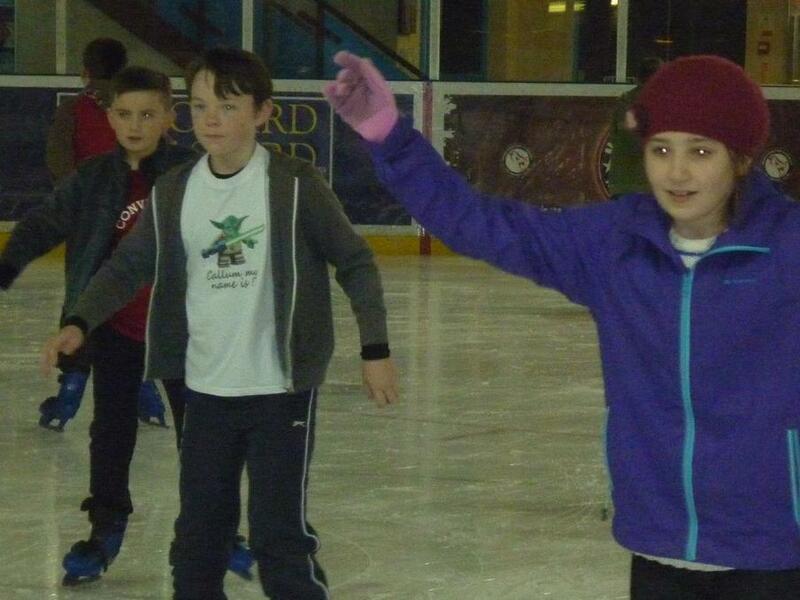 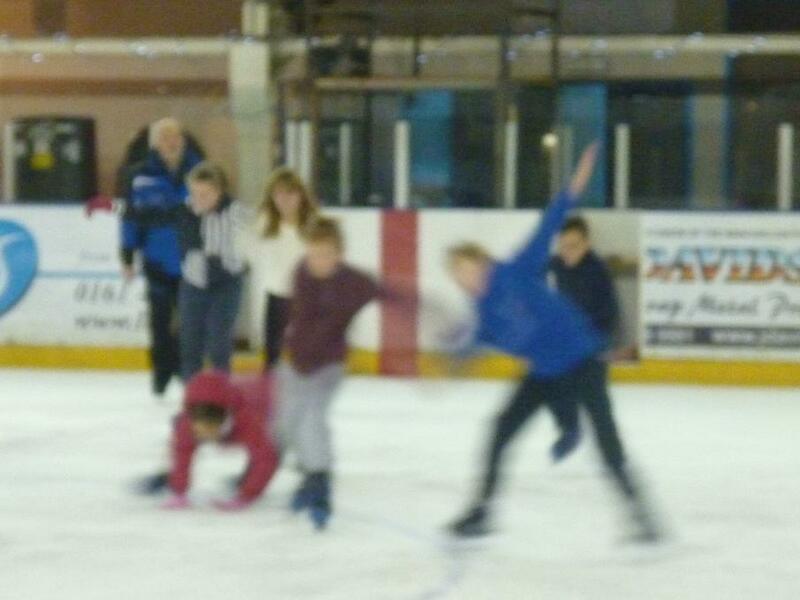 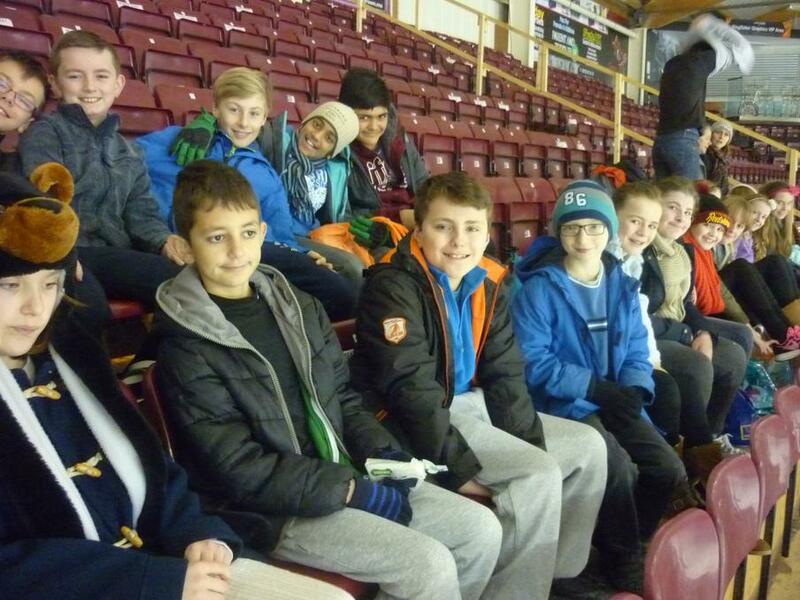 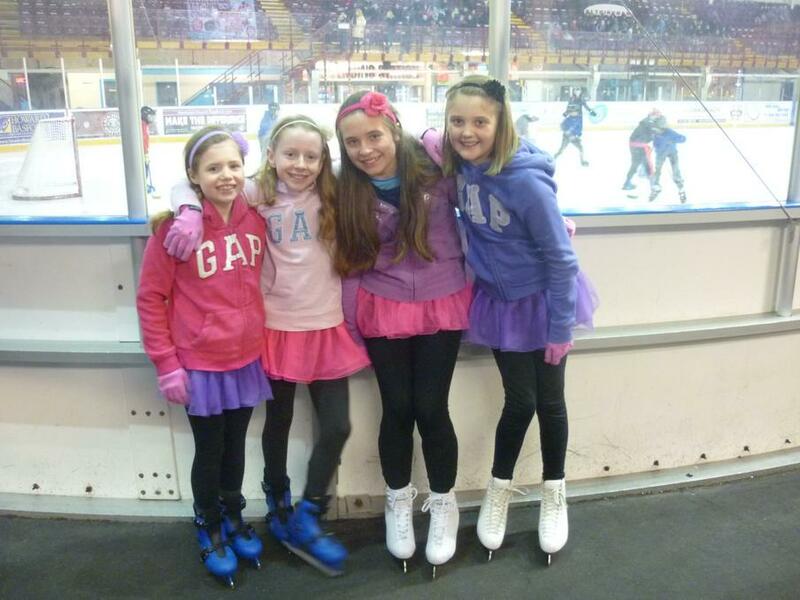 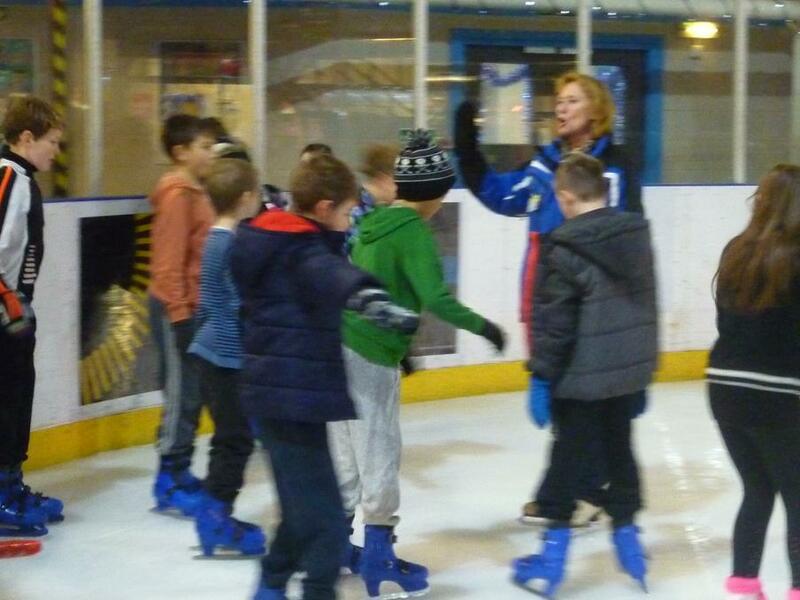 Year 6 are going skating again this year! 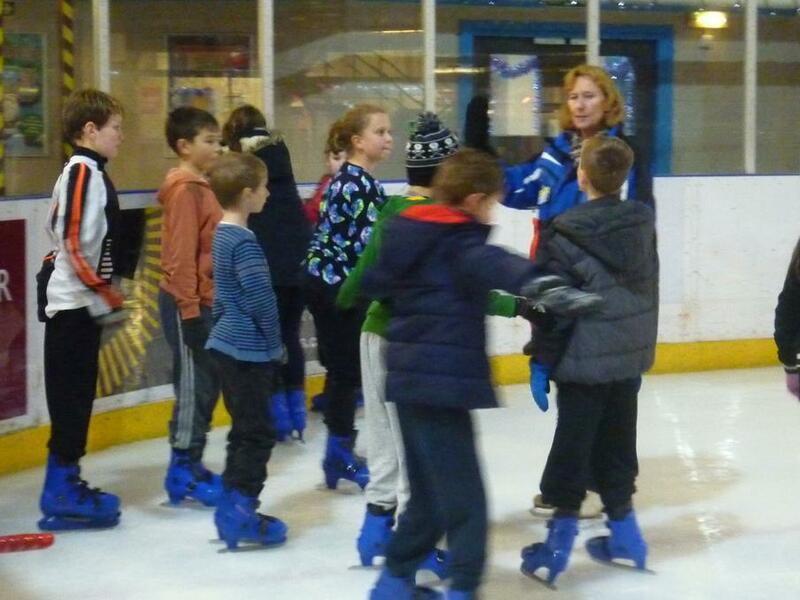 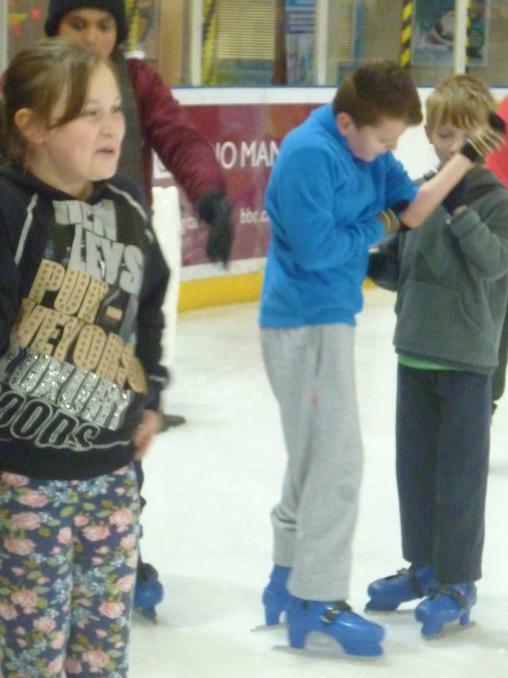 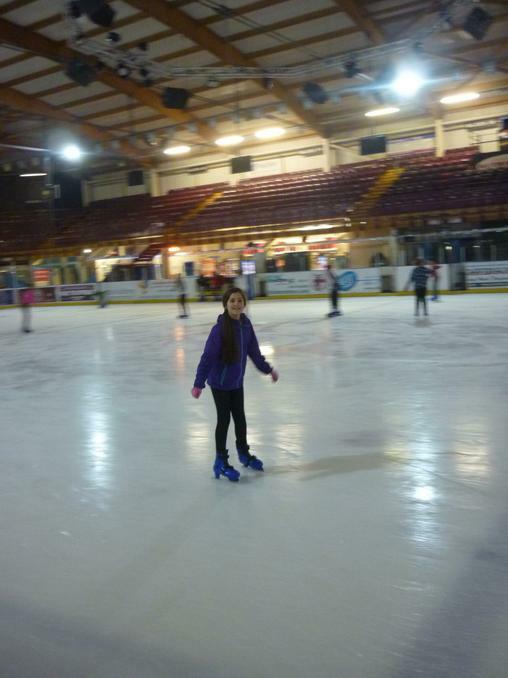 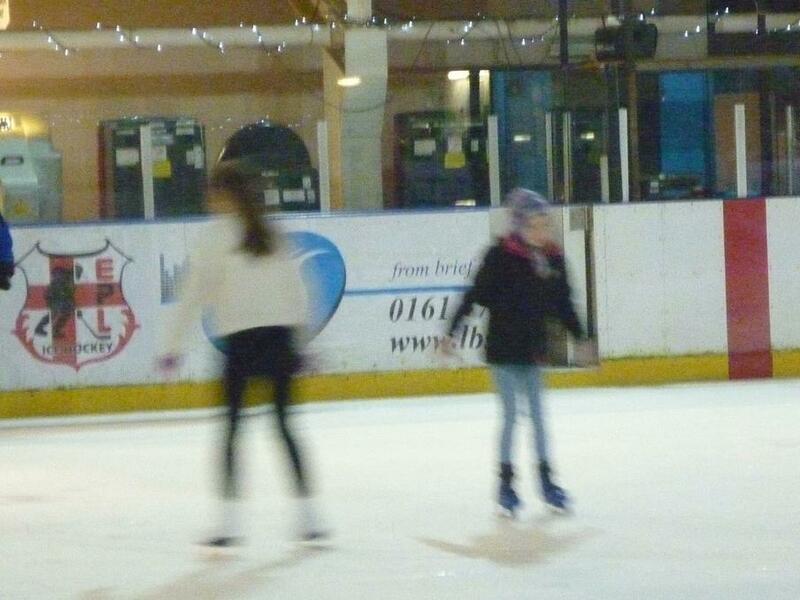 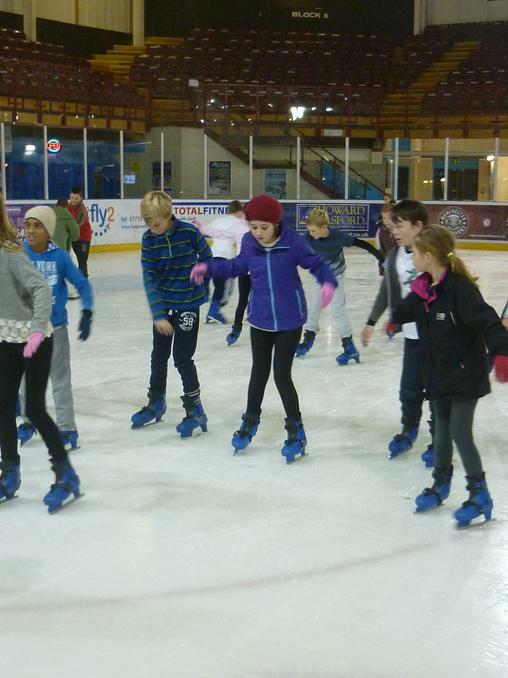 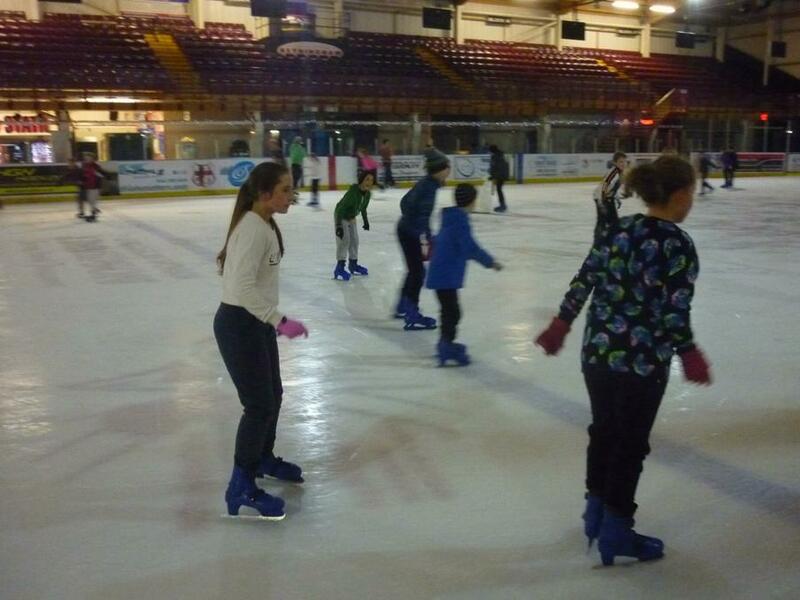 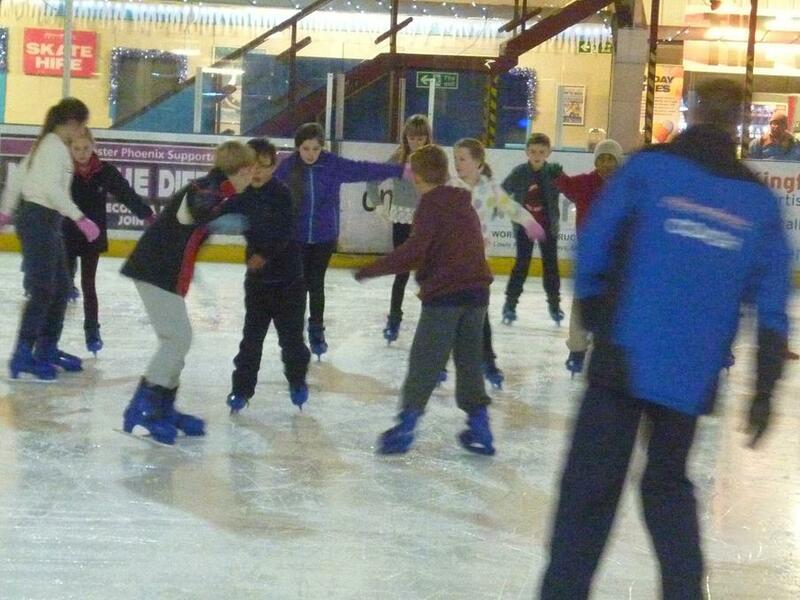 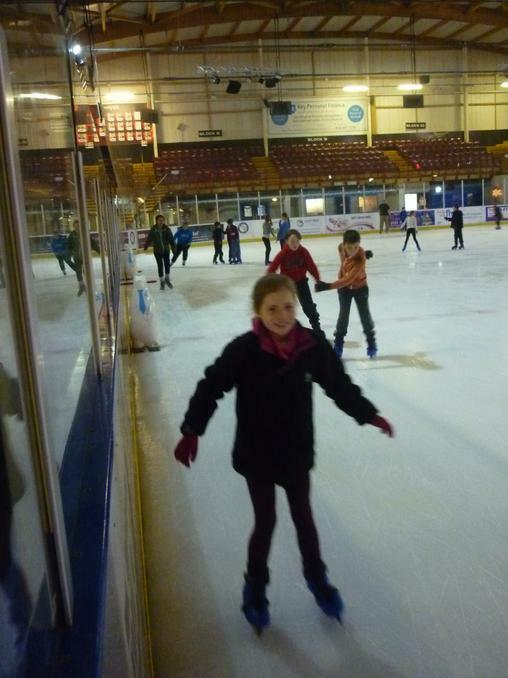 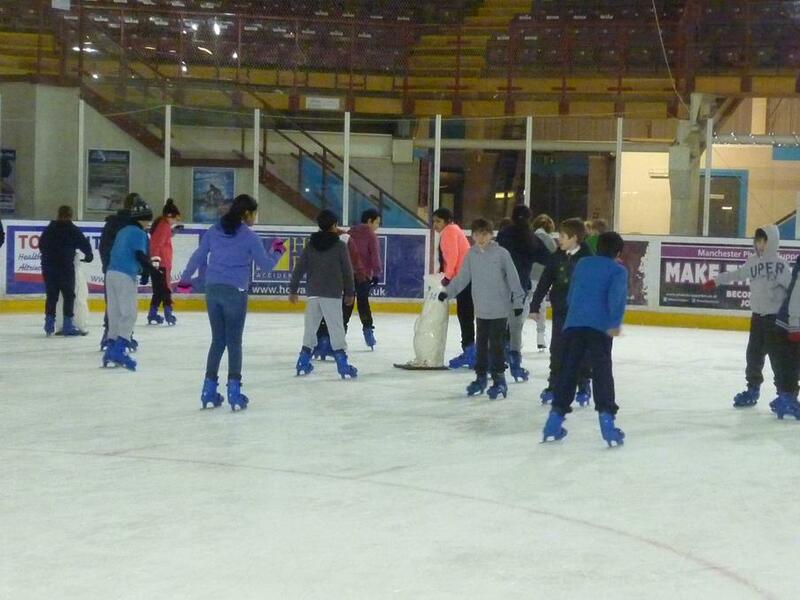 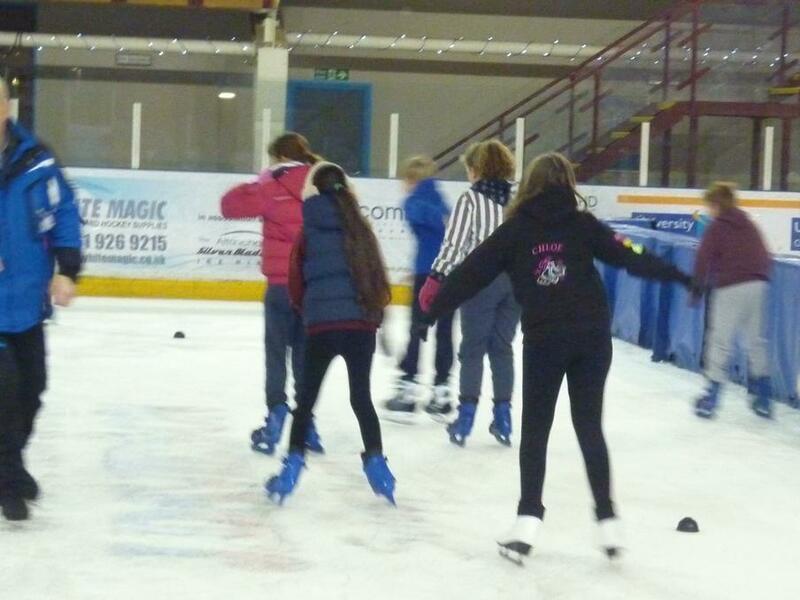 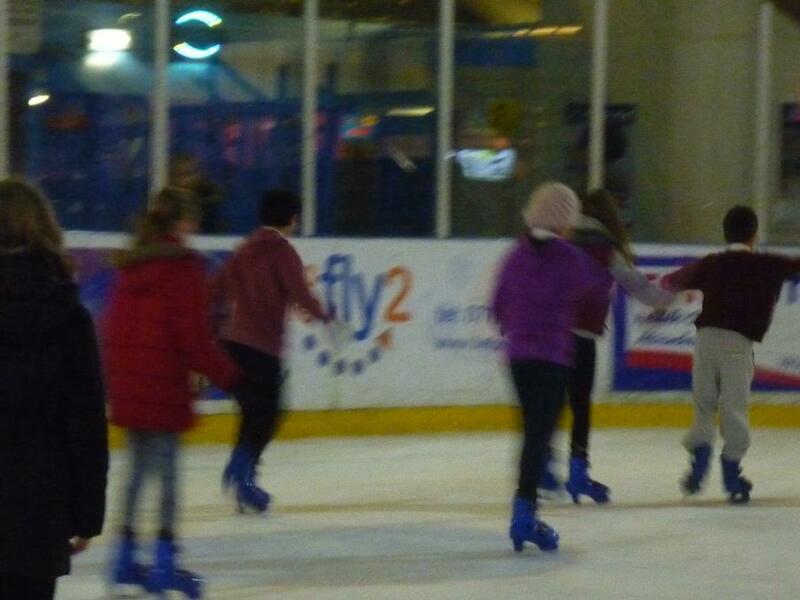 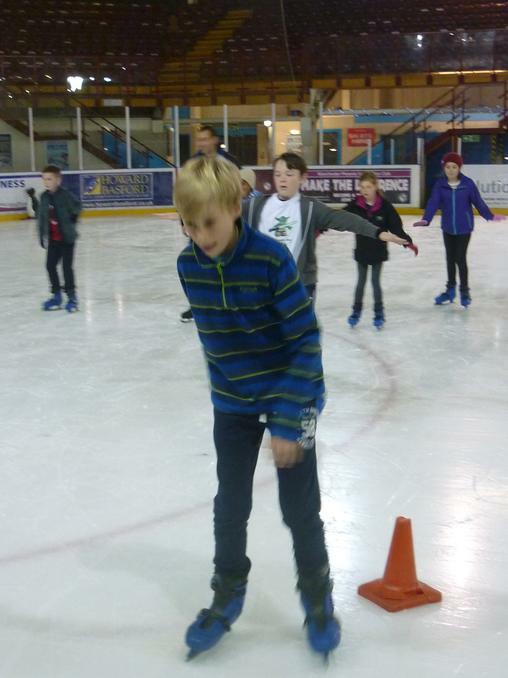 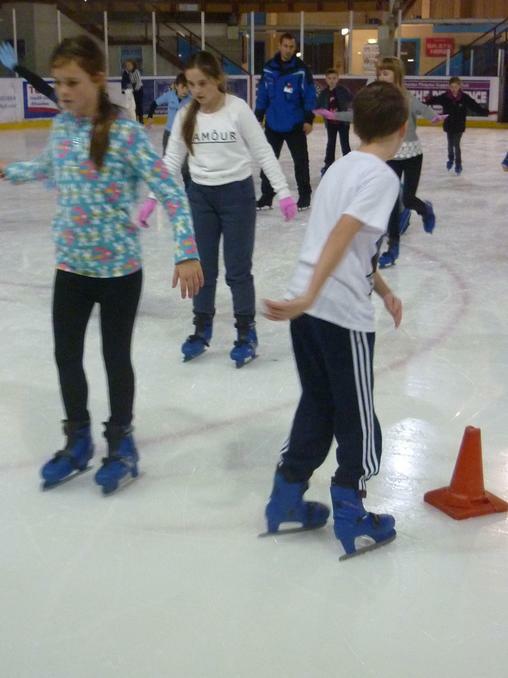 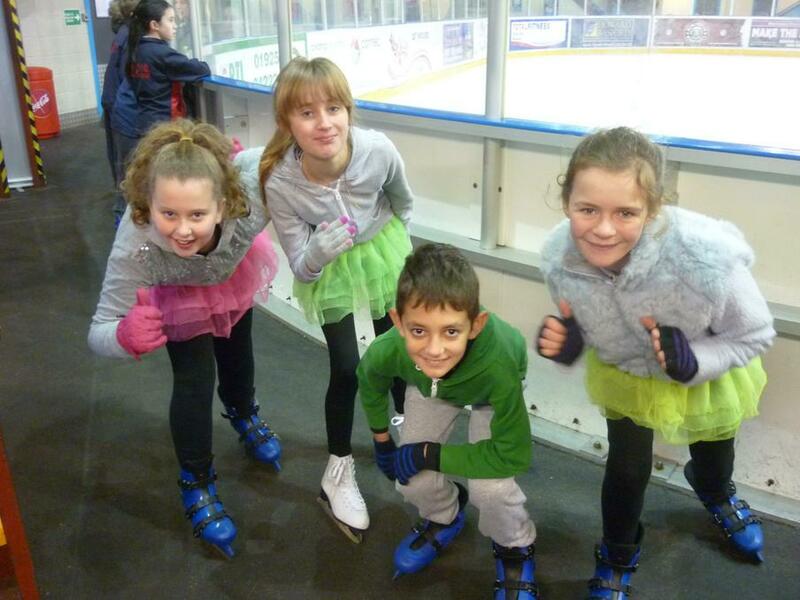 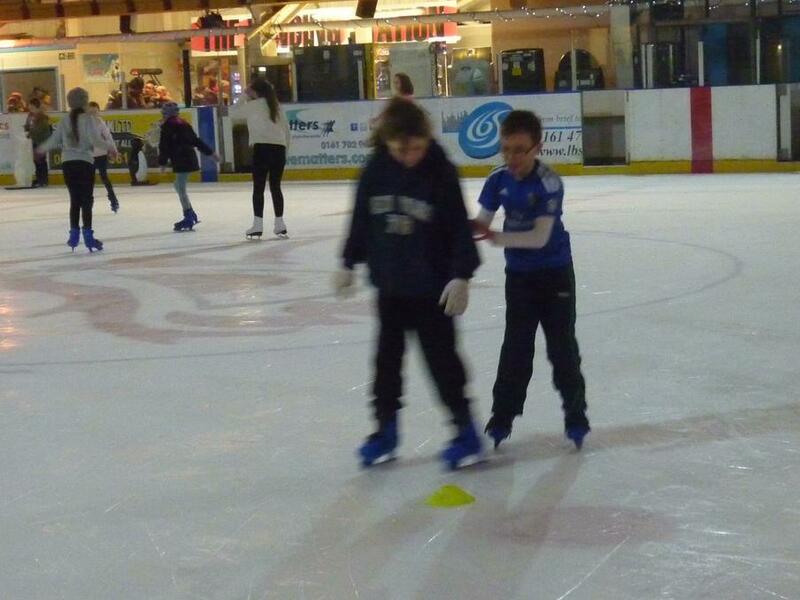 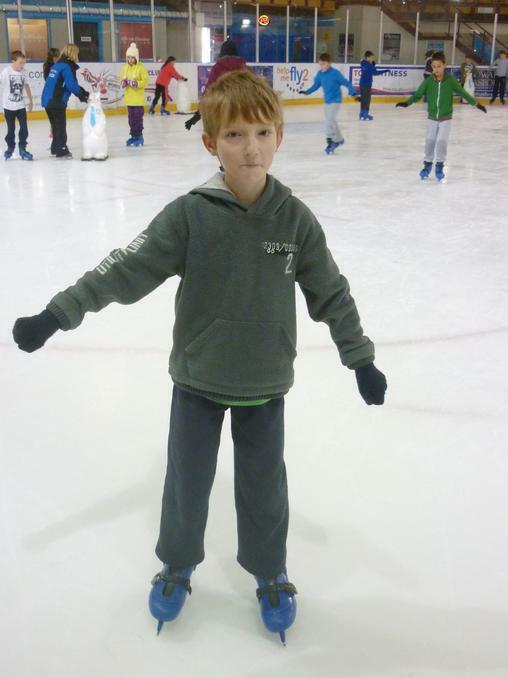 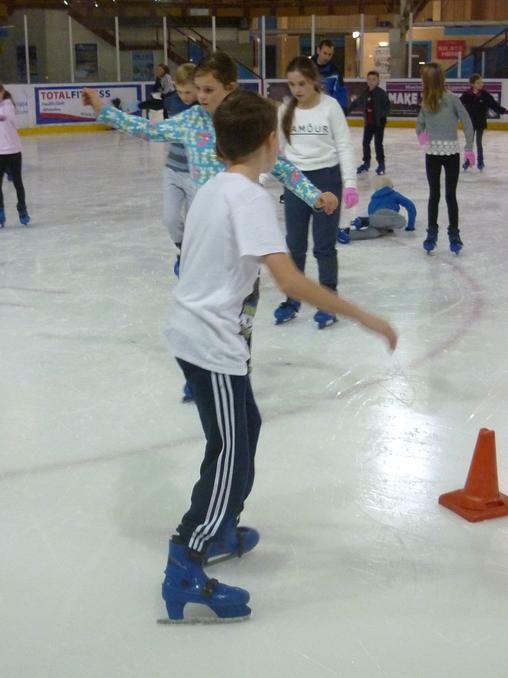 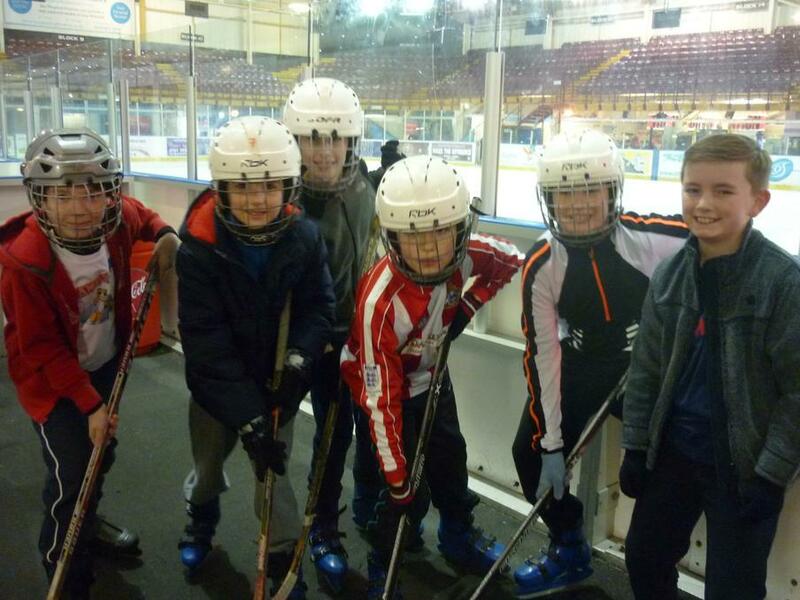 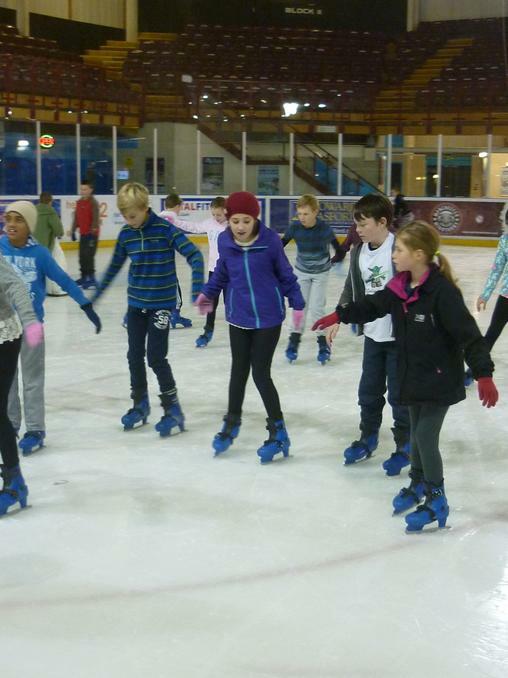 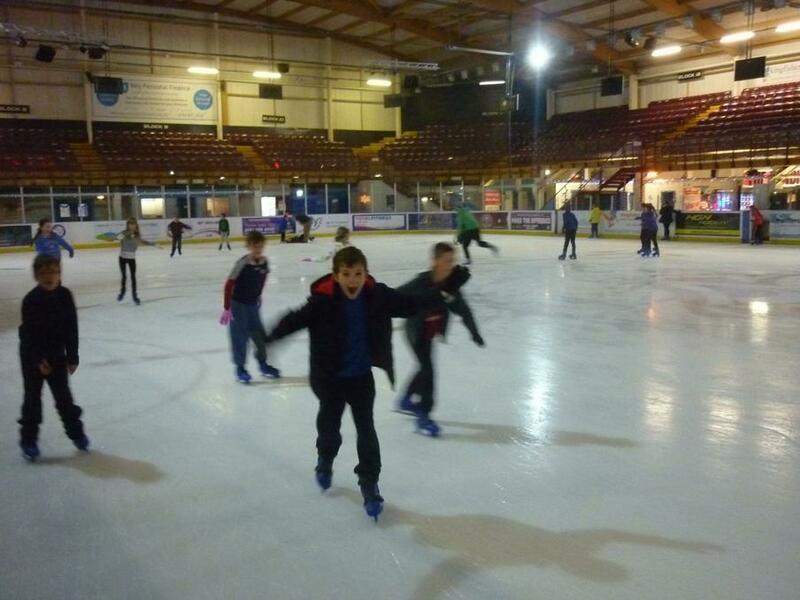 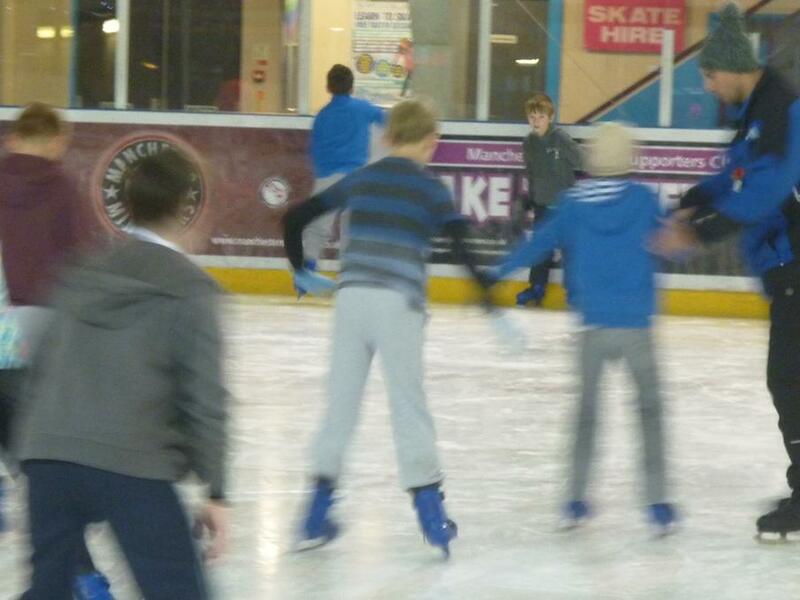 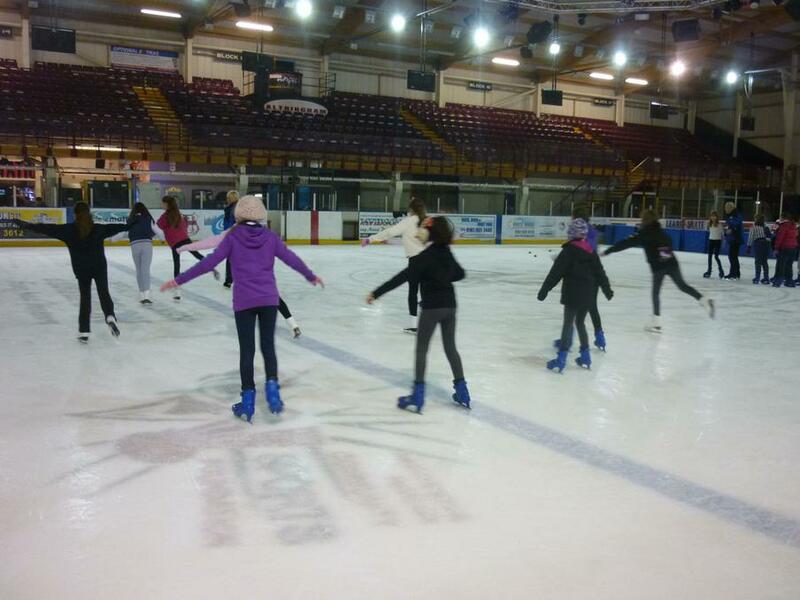 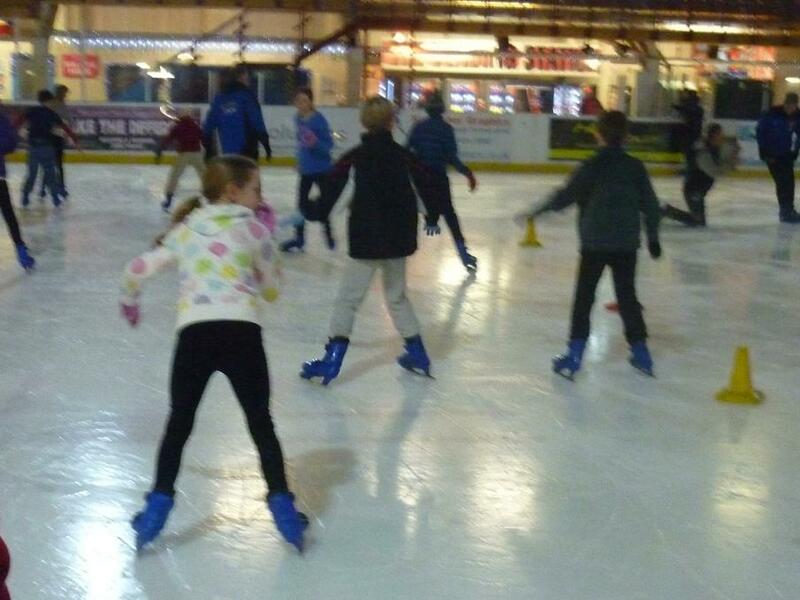 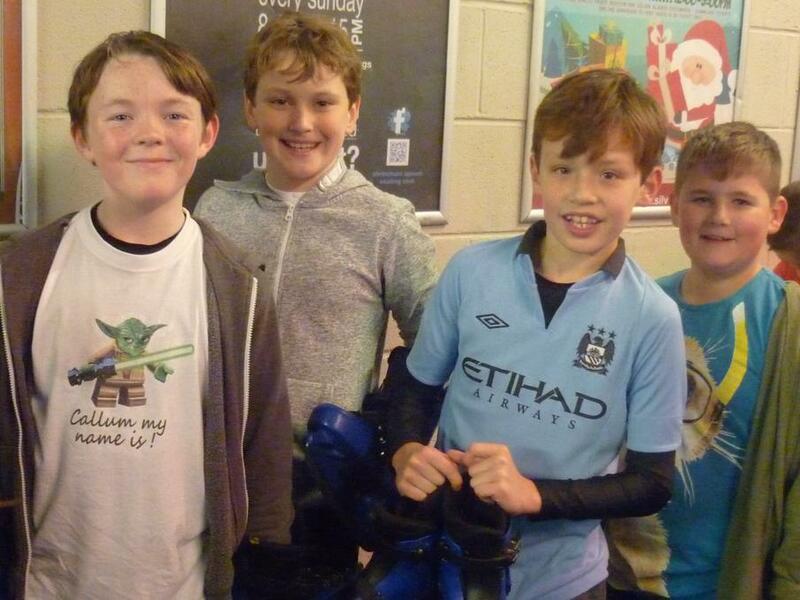 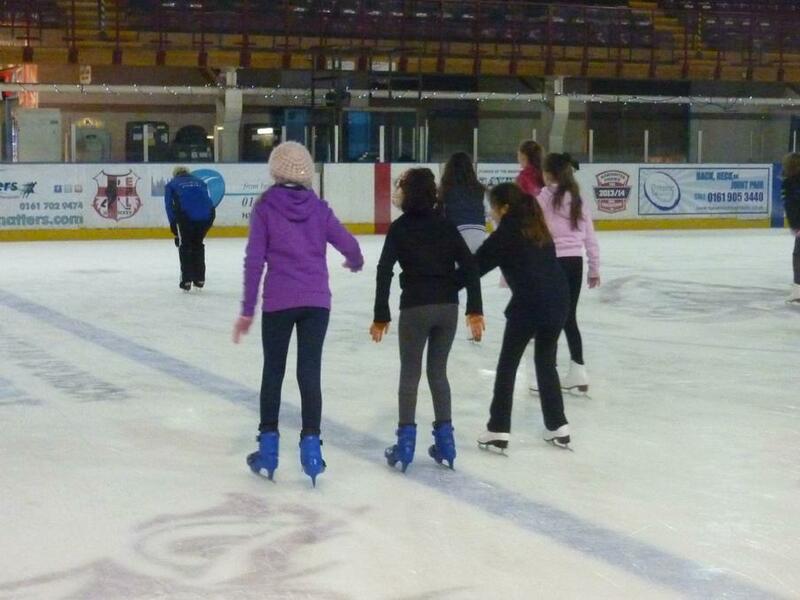 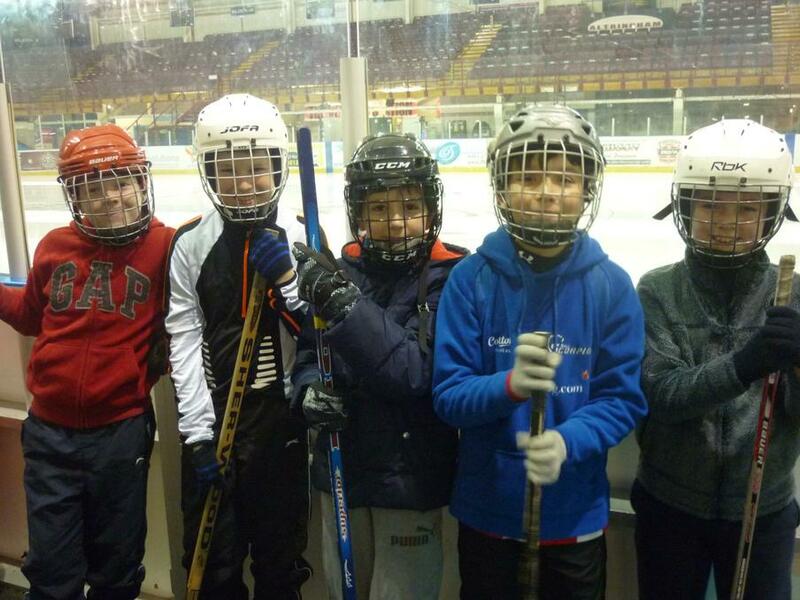 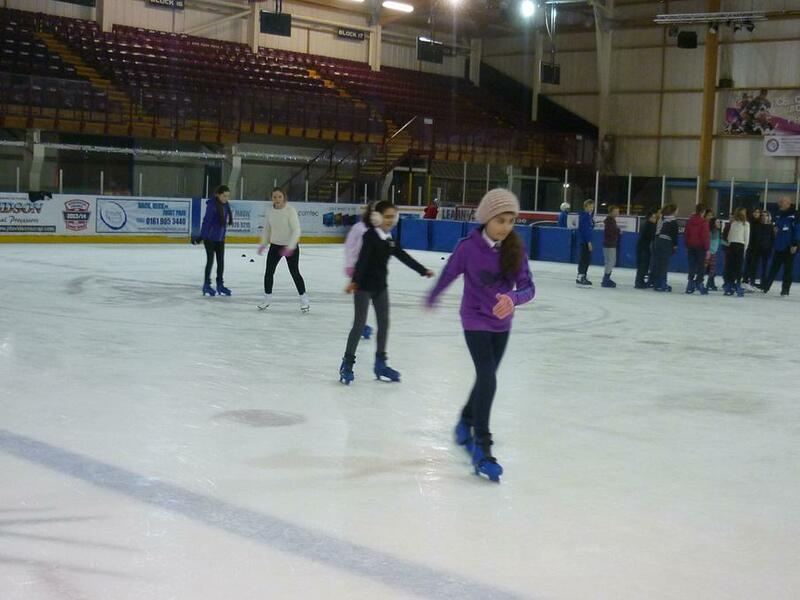 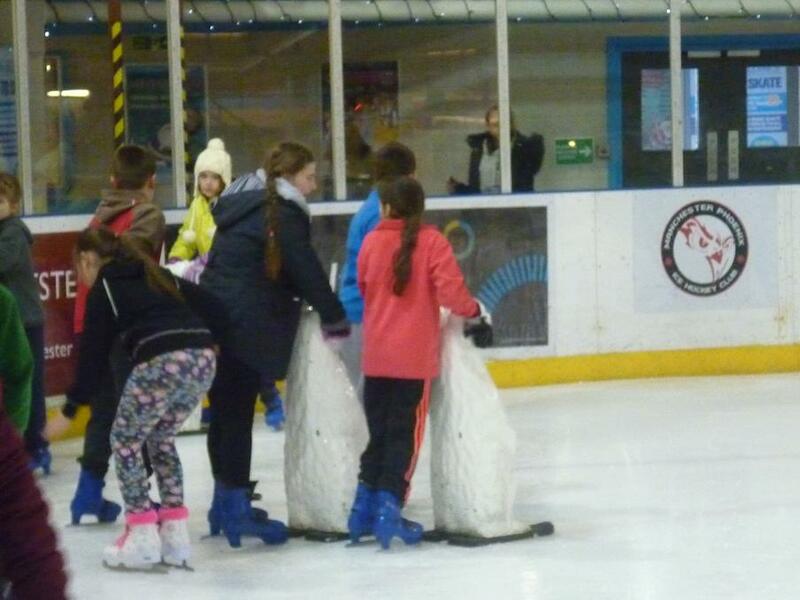 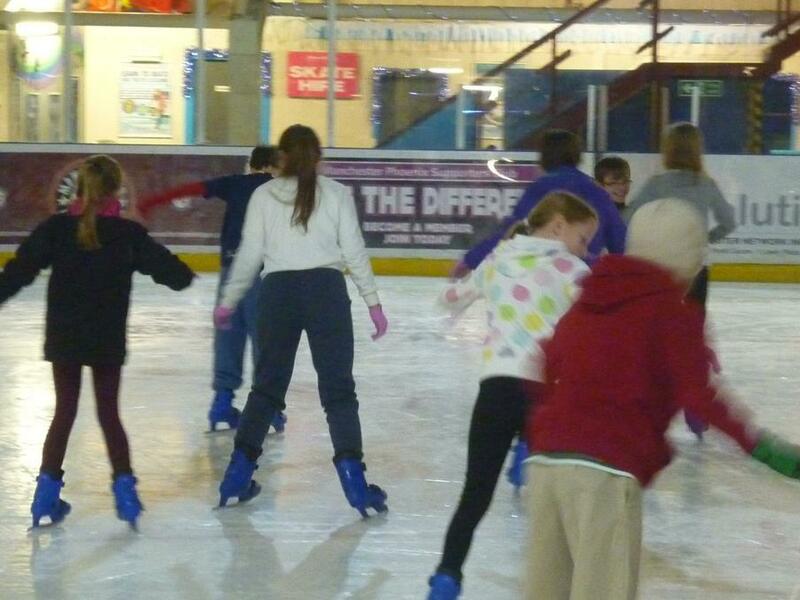 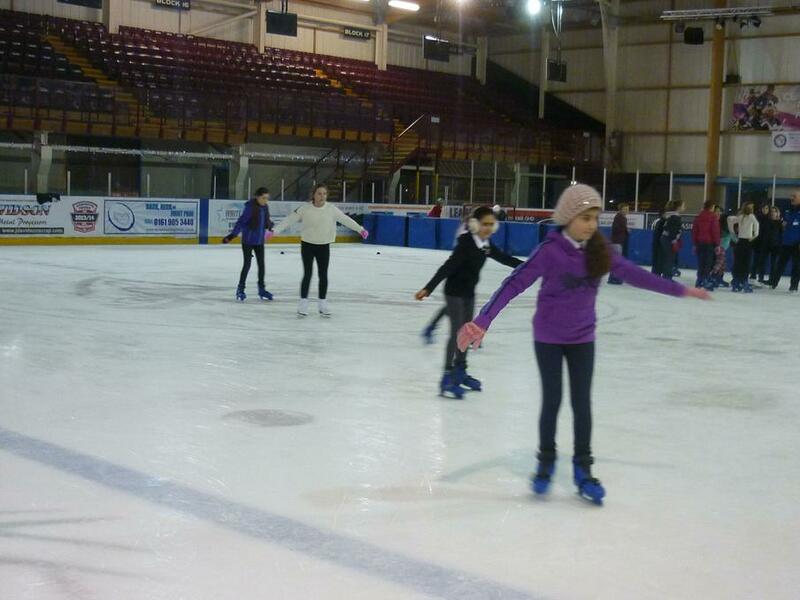 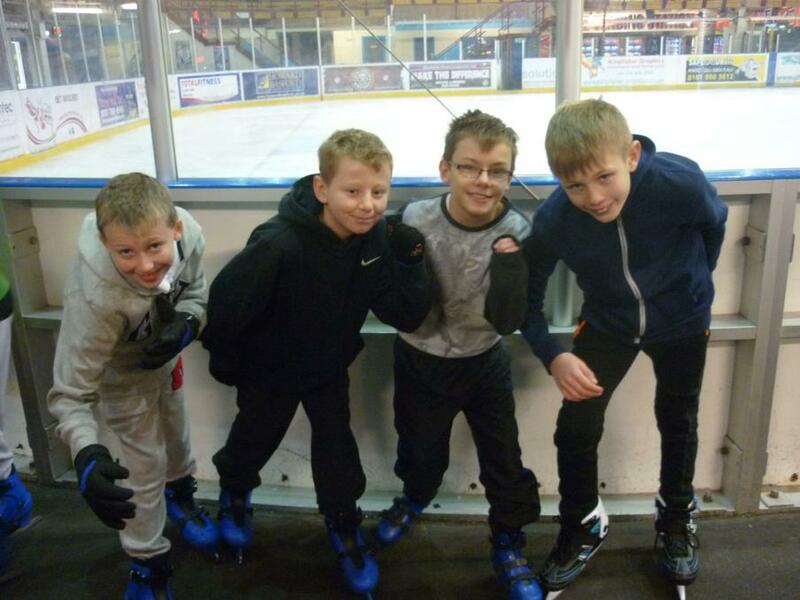 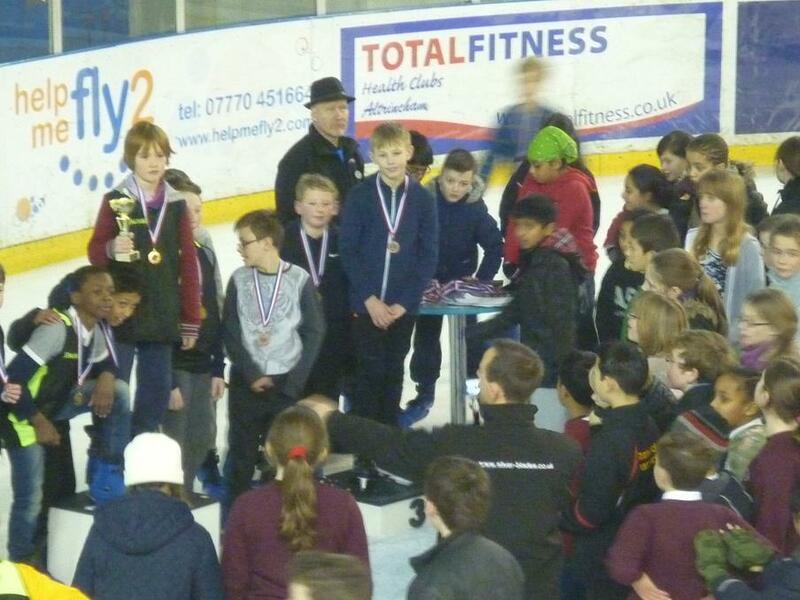 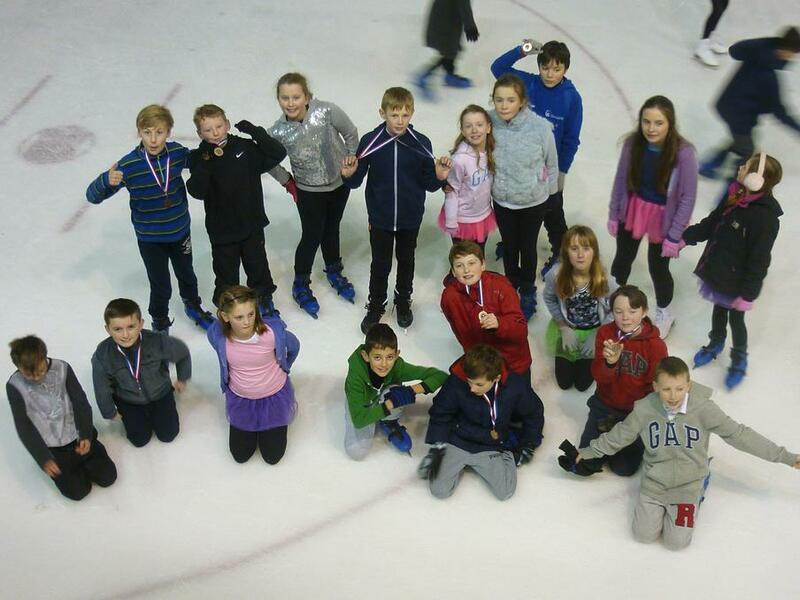 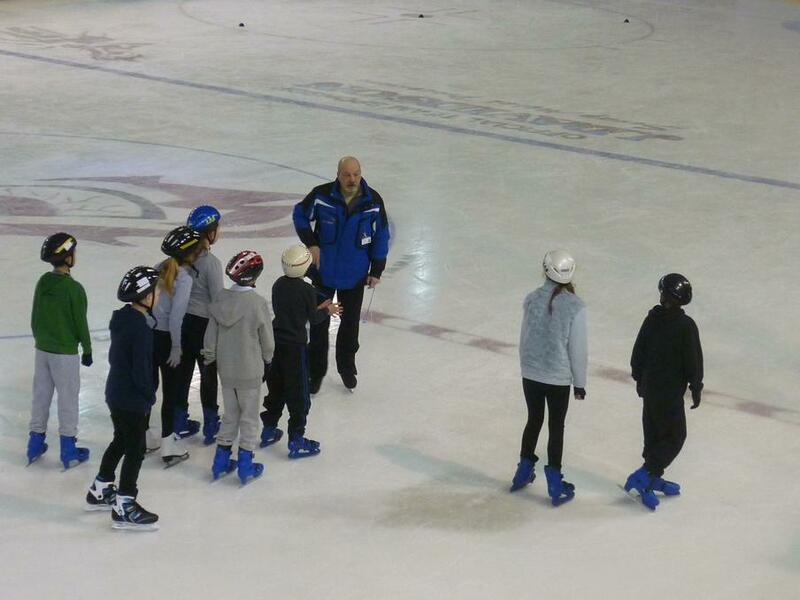 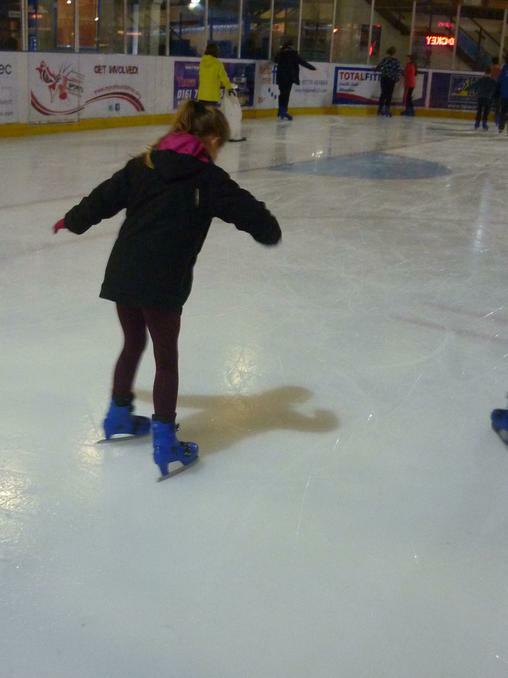 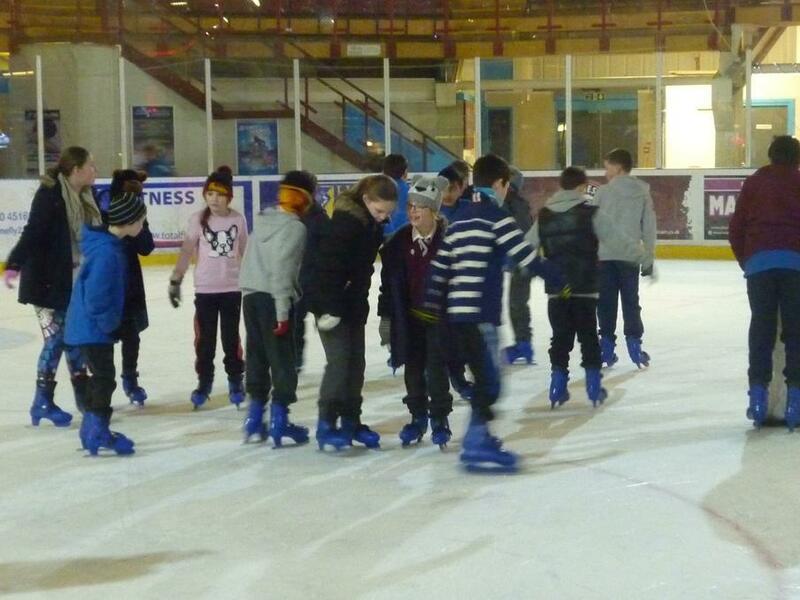 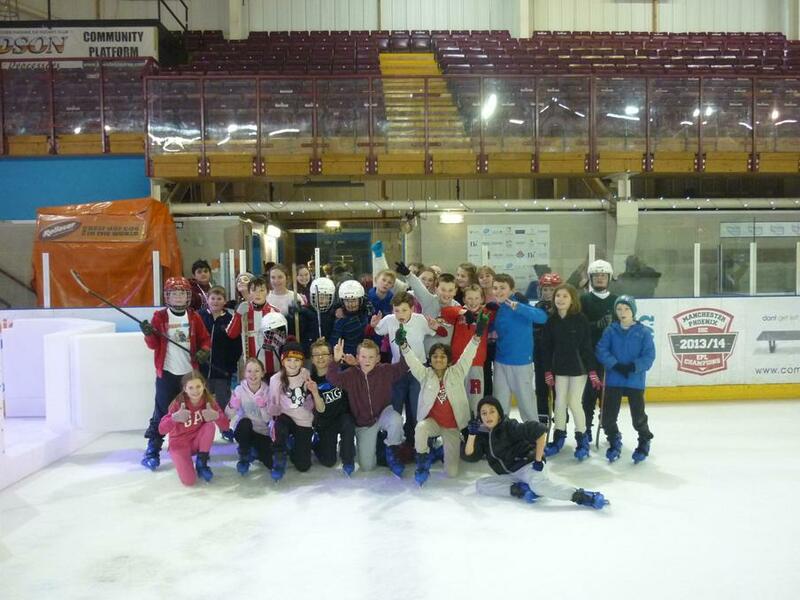 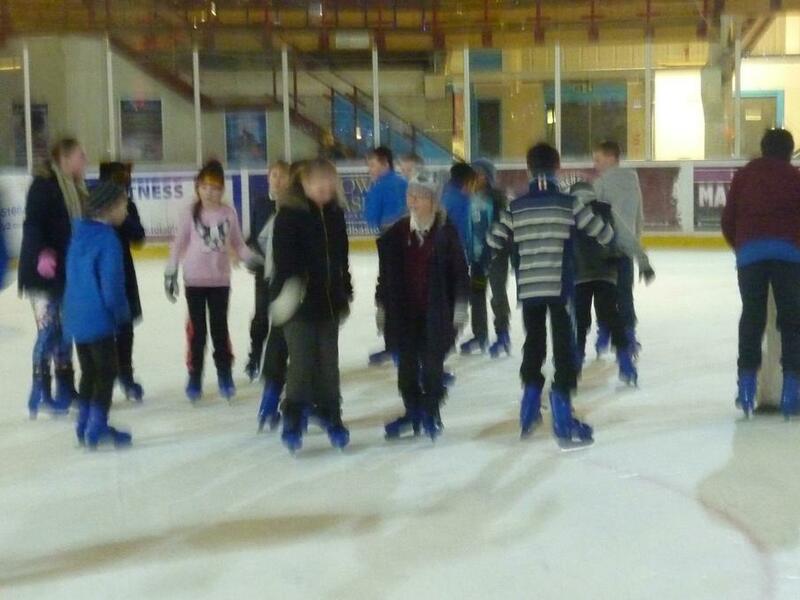 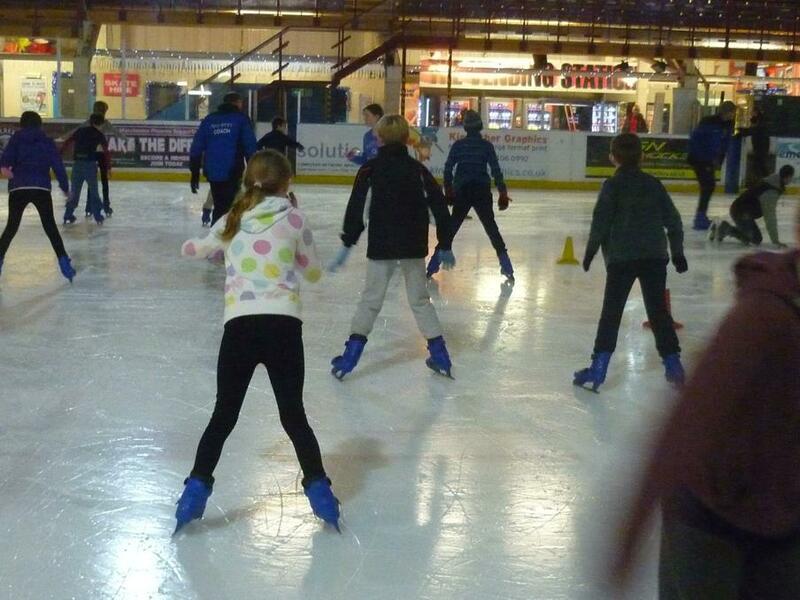 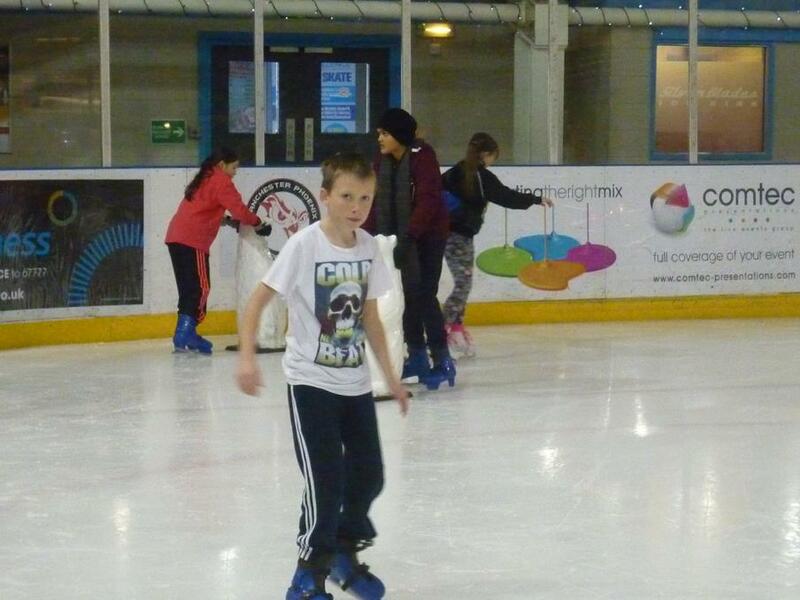 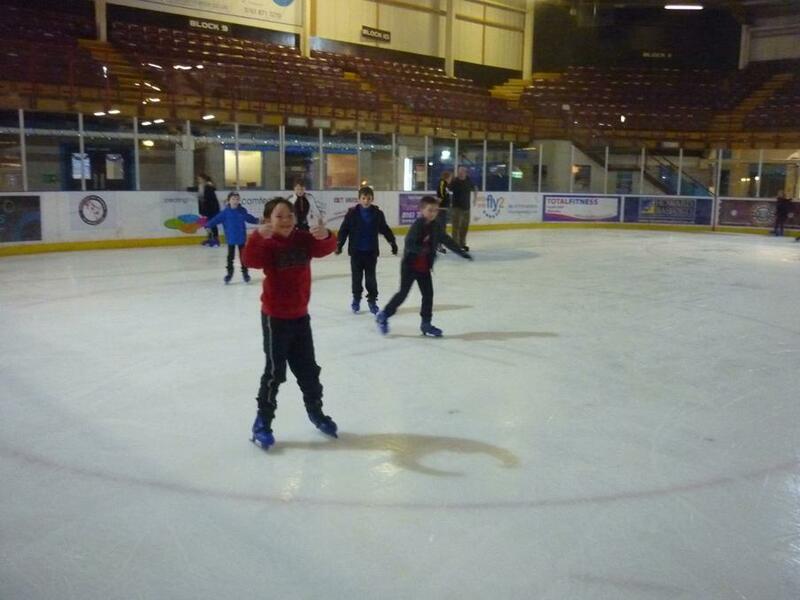 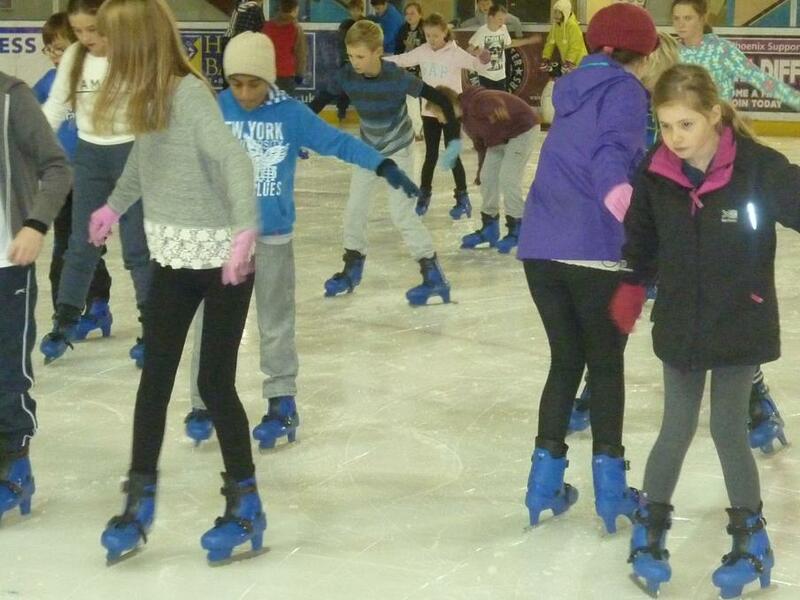 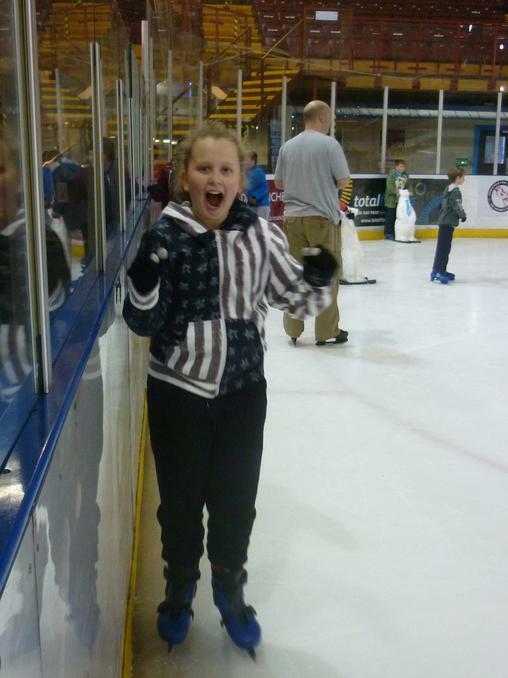 Luckily for Year 6 they will have the opportunity to learn to skate at Silver Blades Altrincham, starting after the half term break. 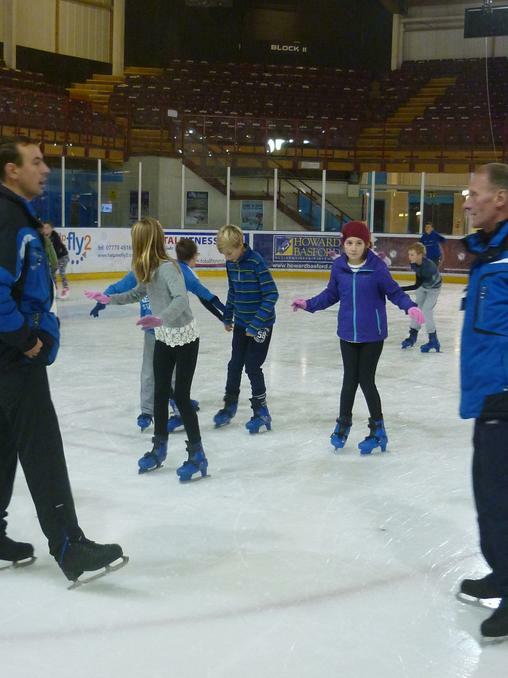 The training will culminate with approximately 10 children participating in a 'Winter Festival' at Silver Blades in February. 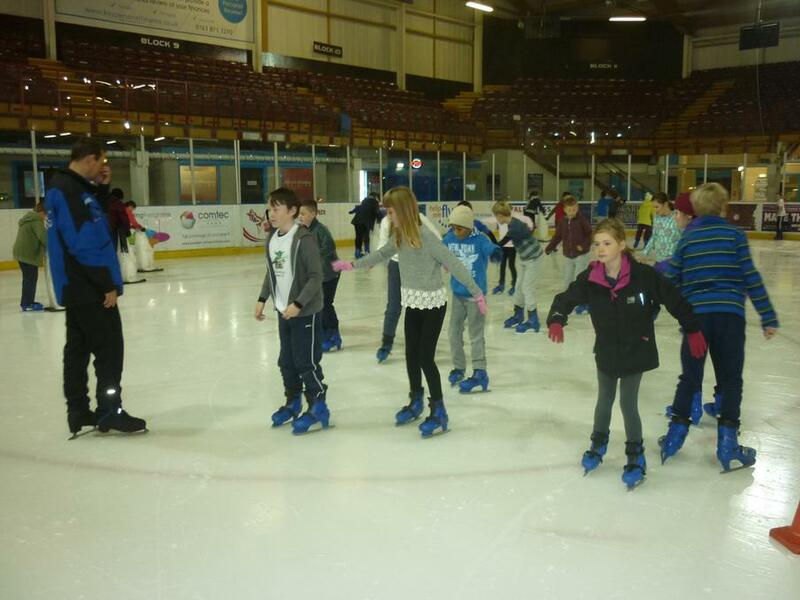 Even those not taking part will still have 10 learn to skate sessions! 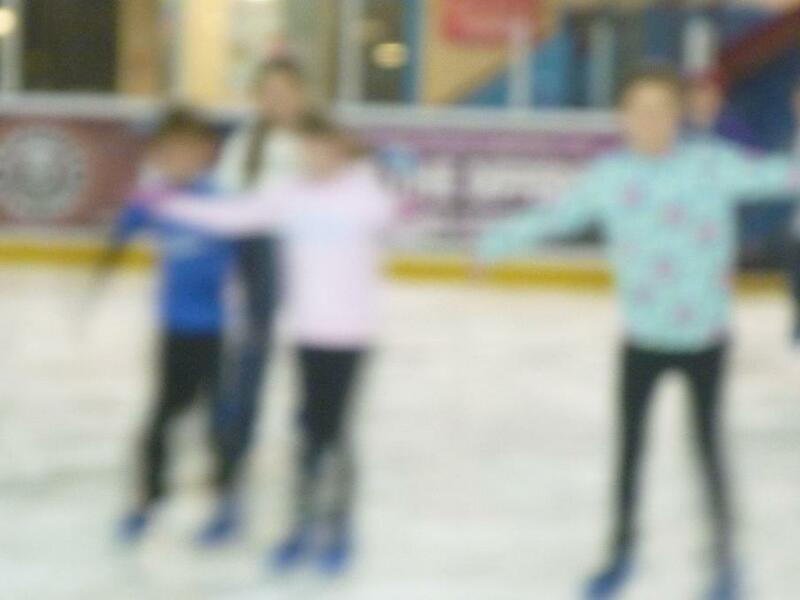 Watch out for the photos! 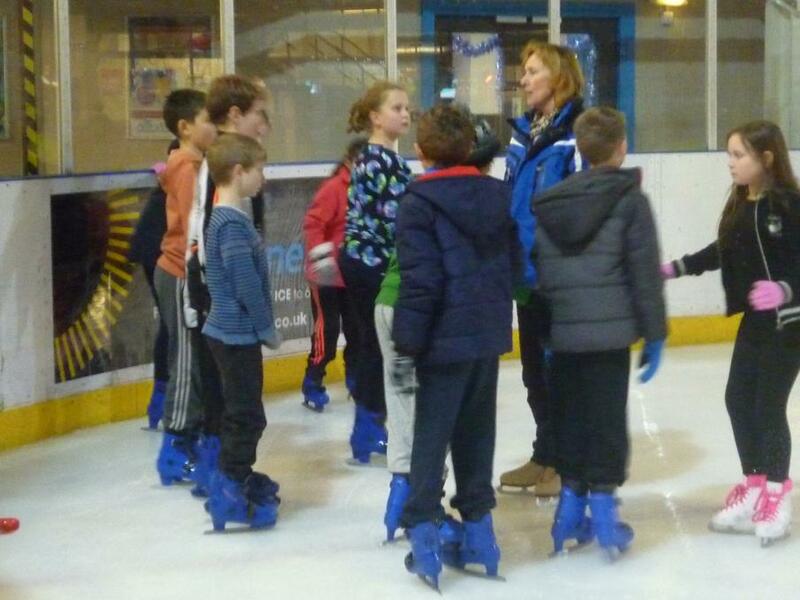 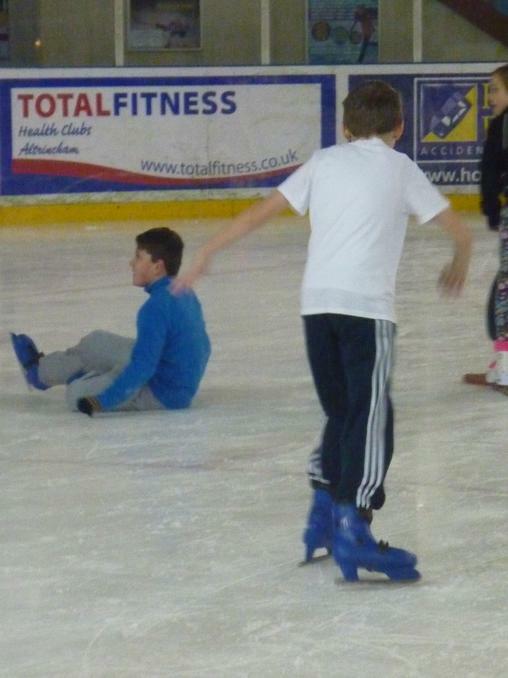 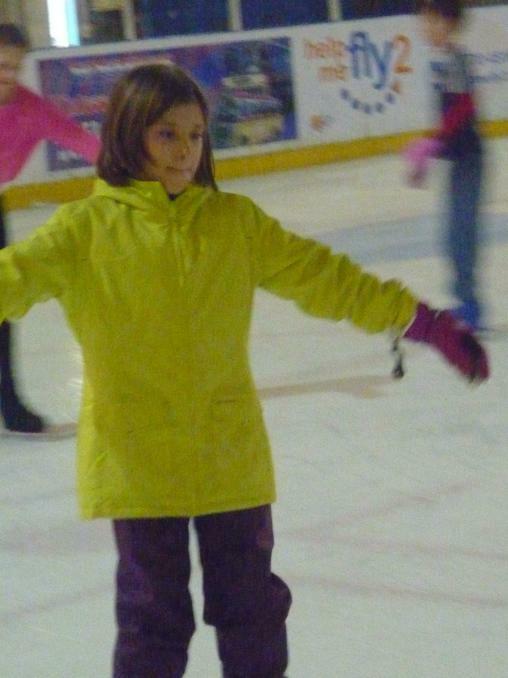 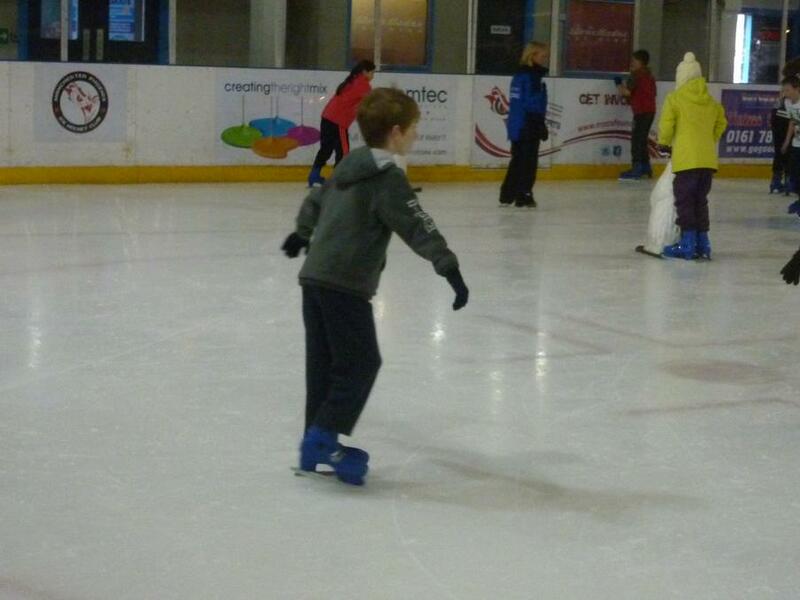 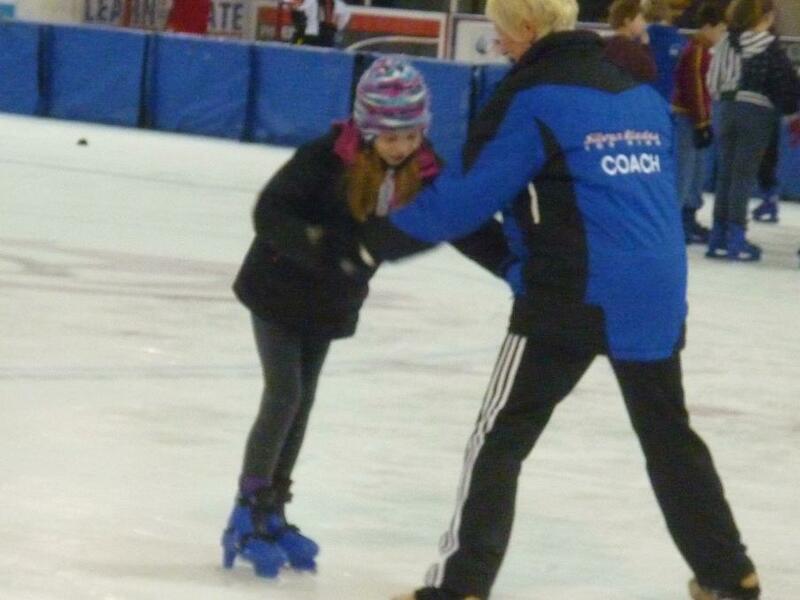 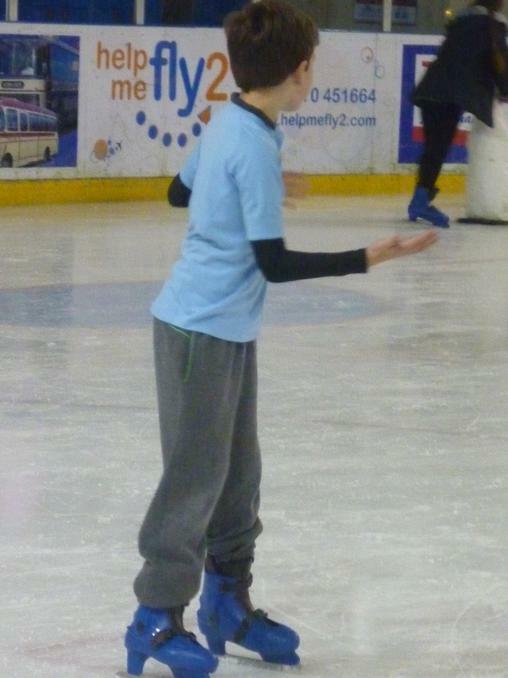 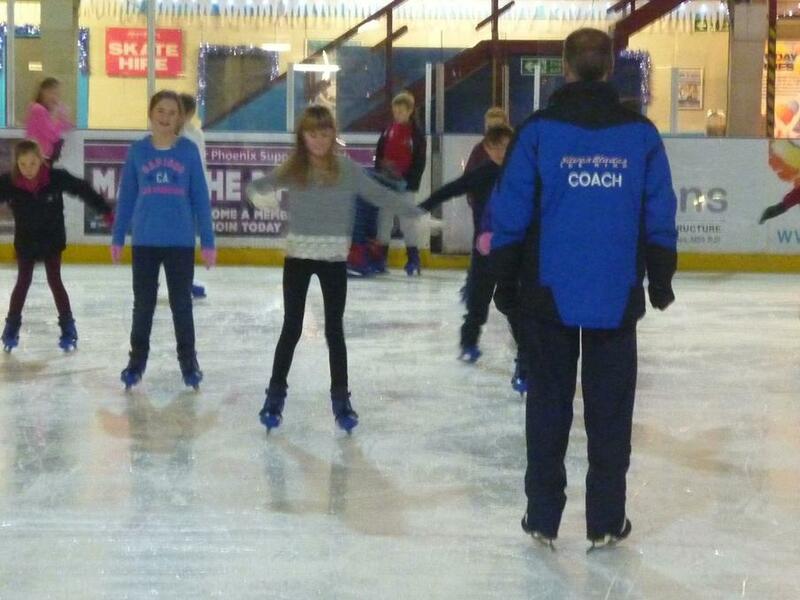 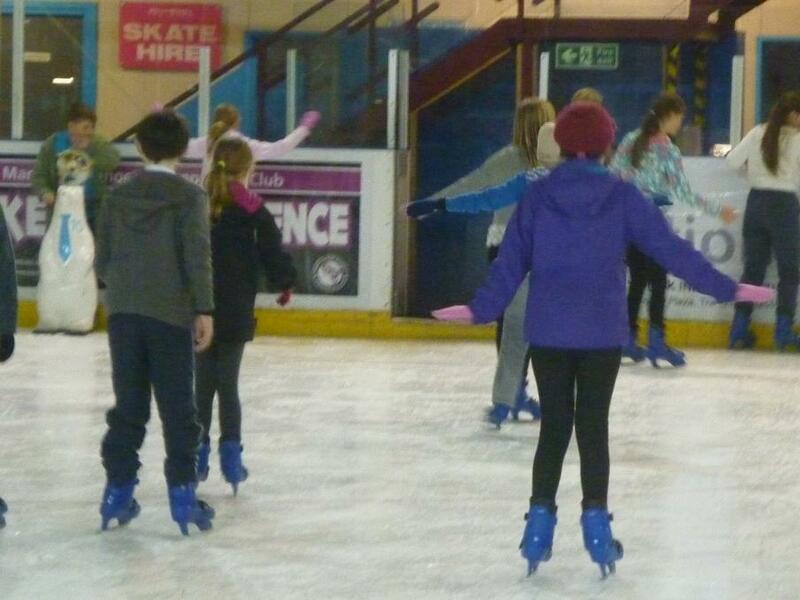 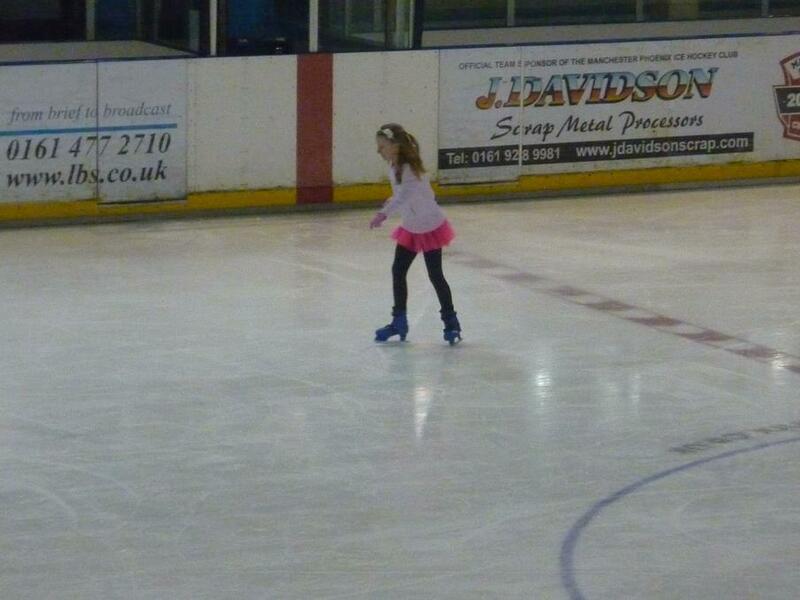 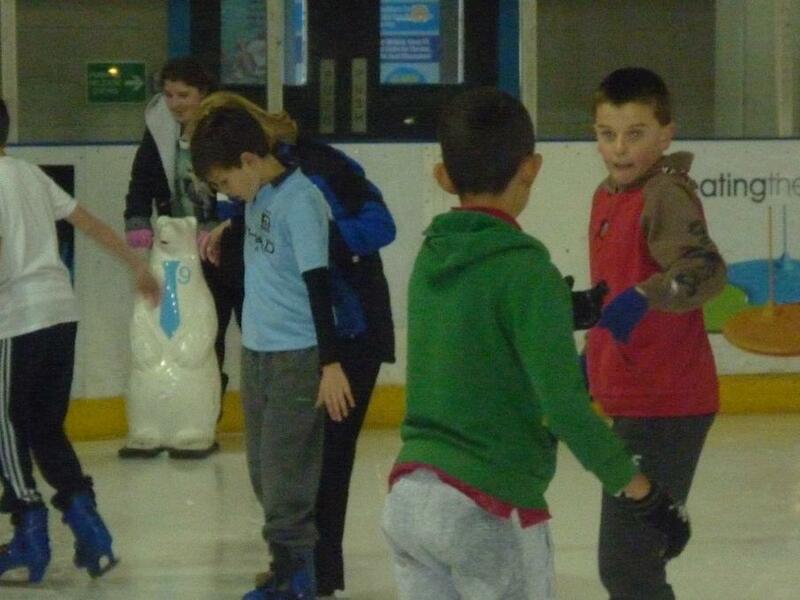 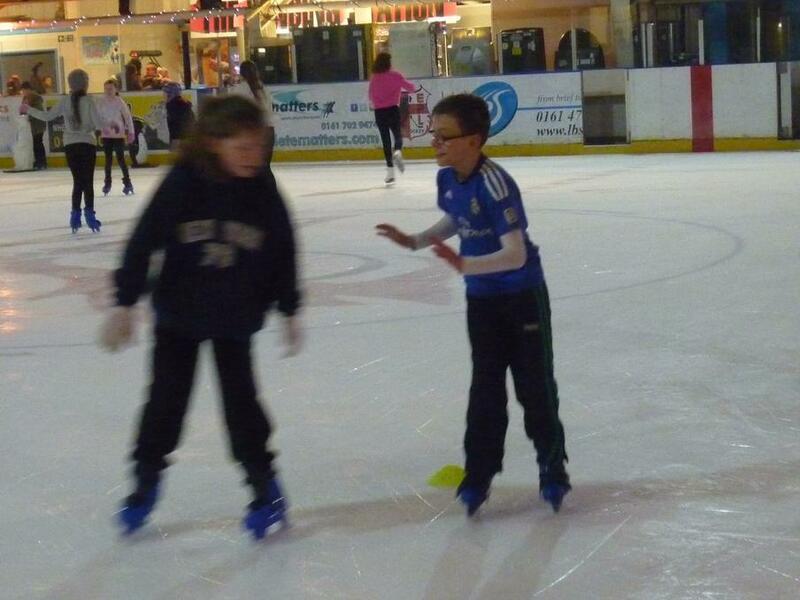 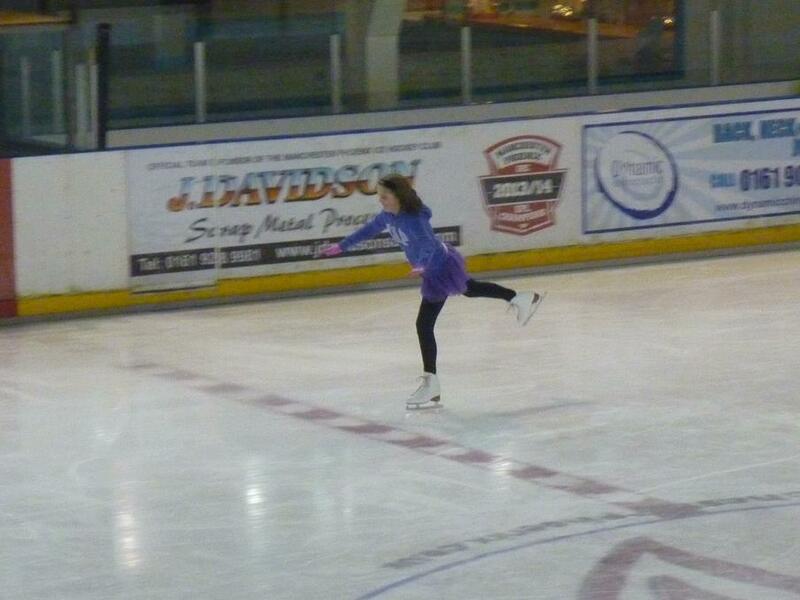 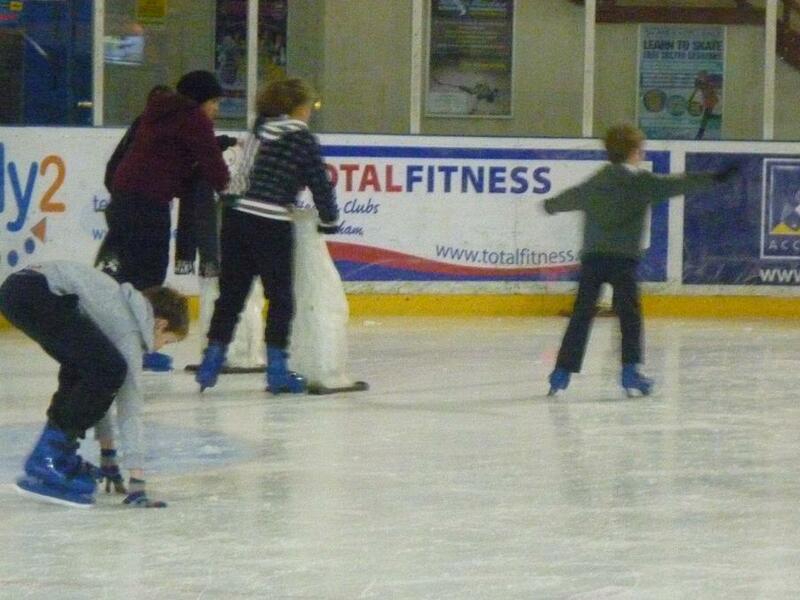 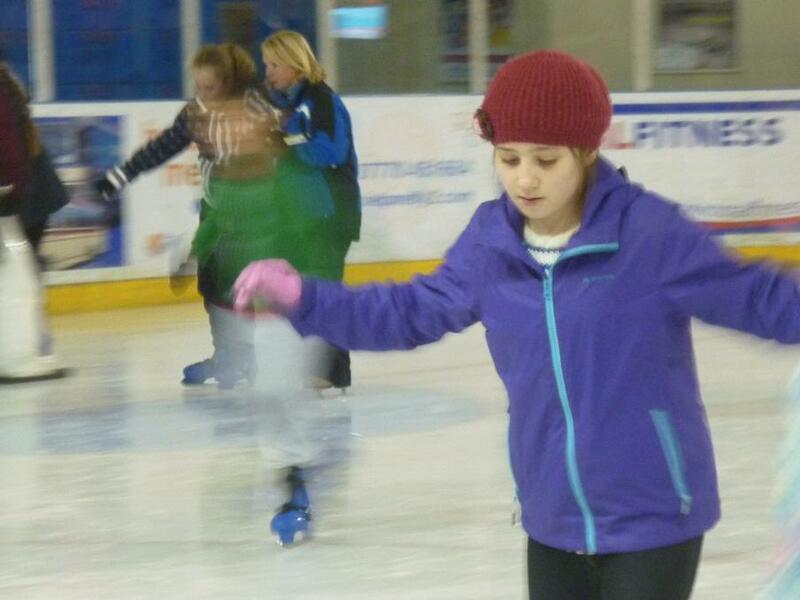 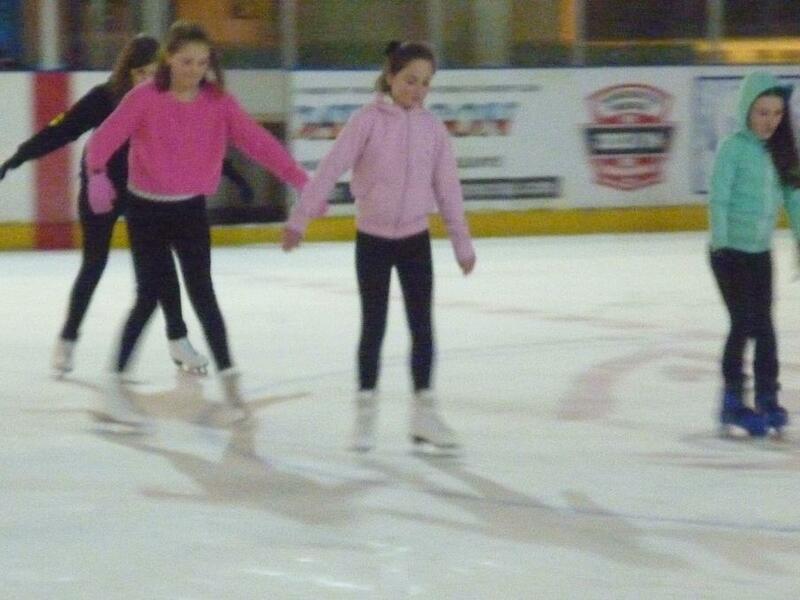 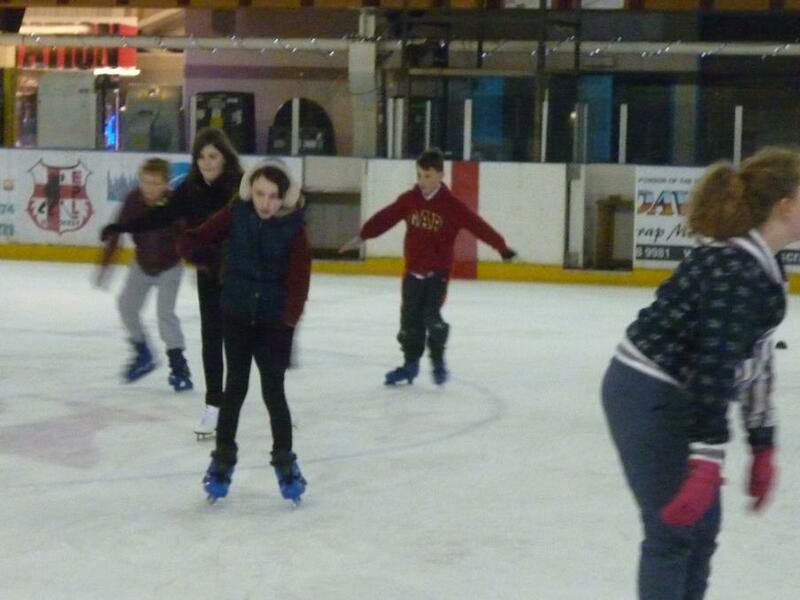 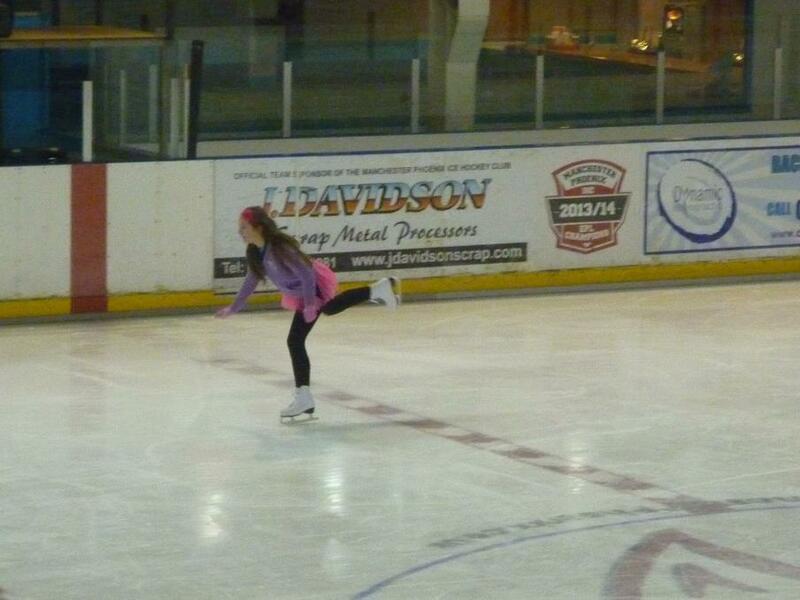 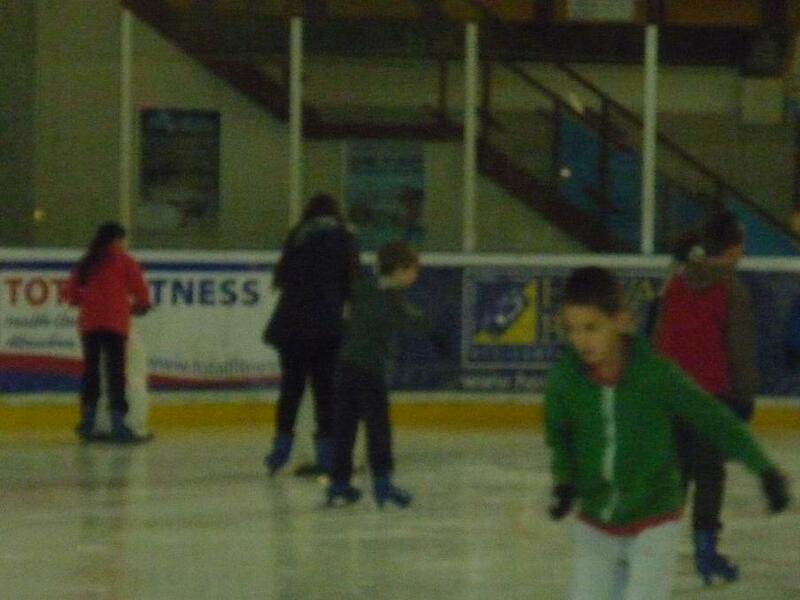 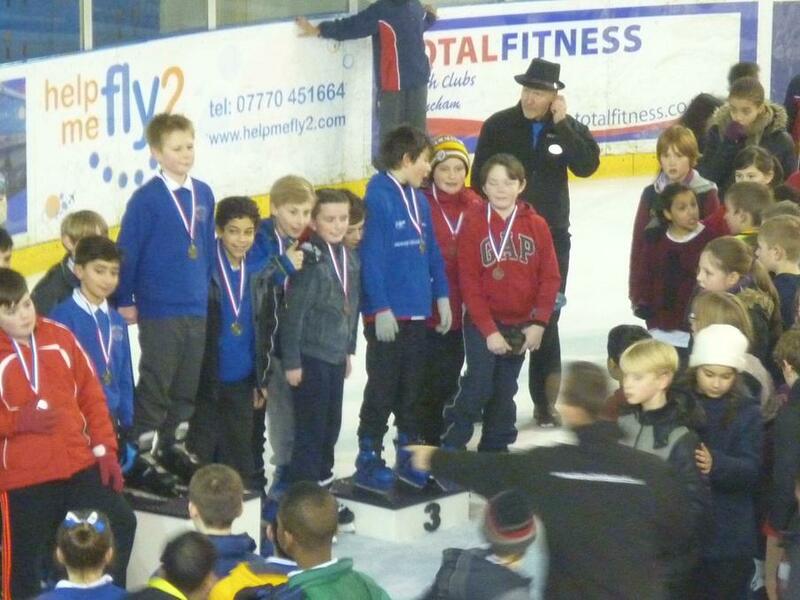 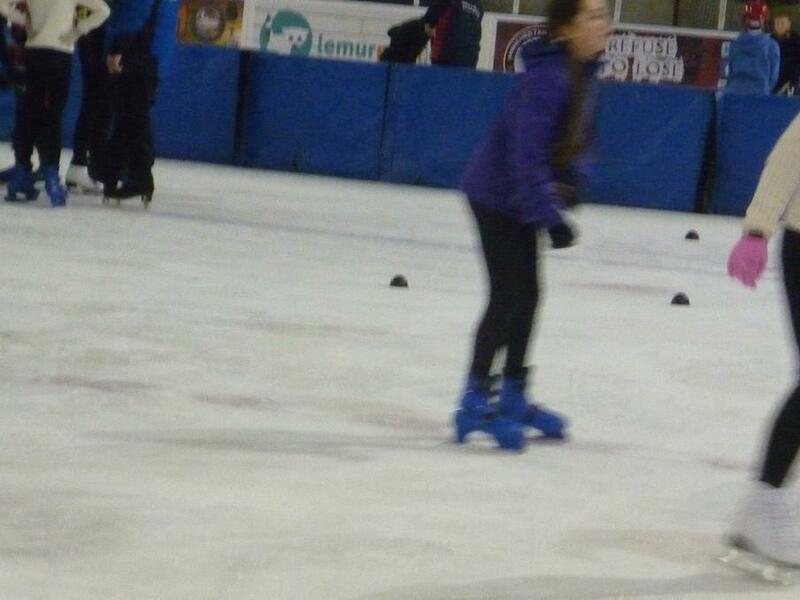 Take a look at our skating photos from our recent lessons. 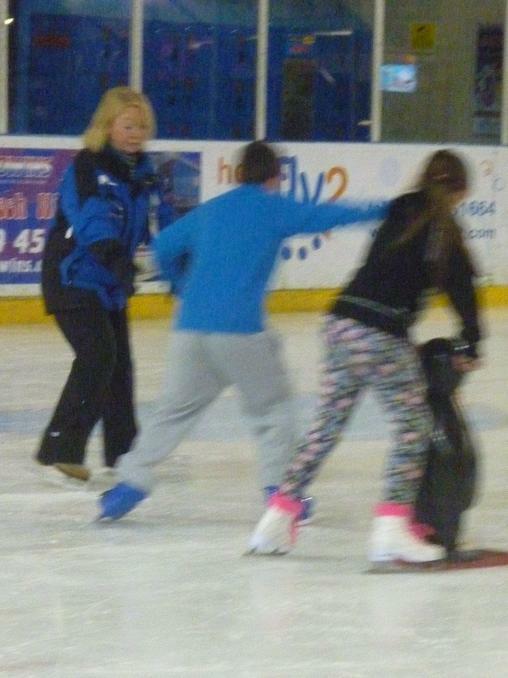 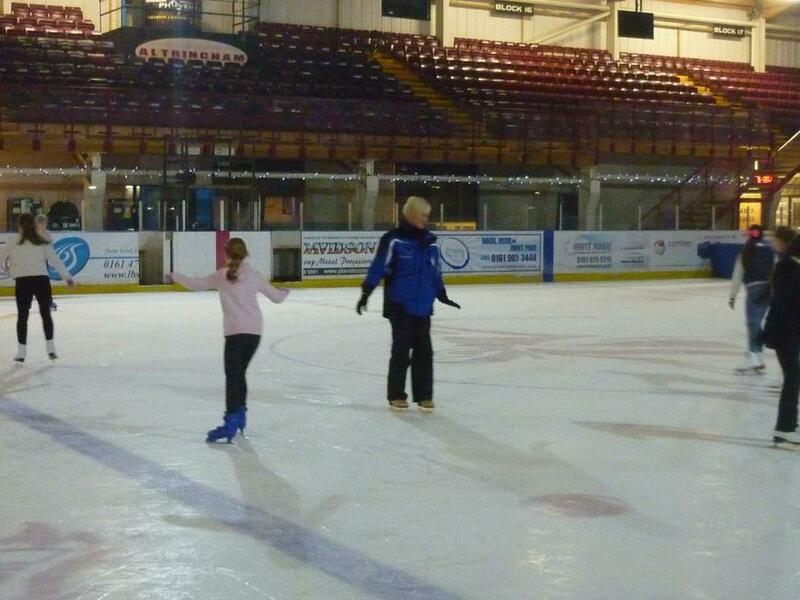 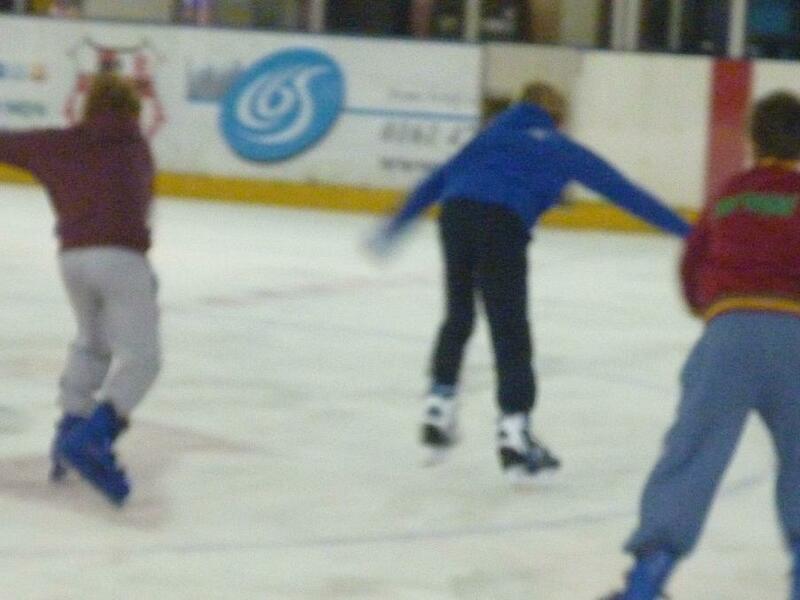 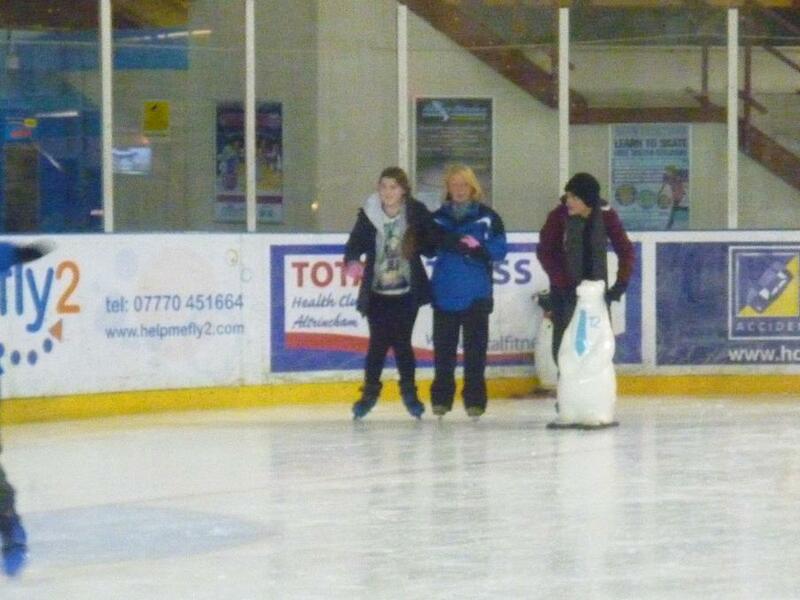 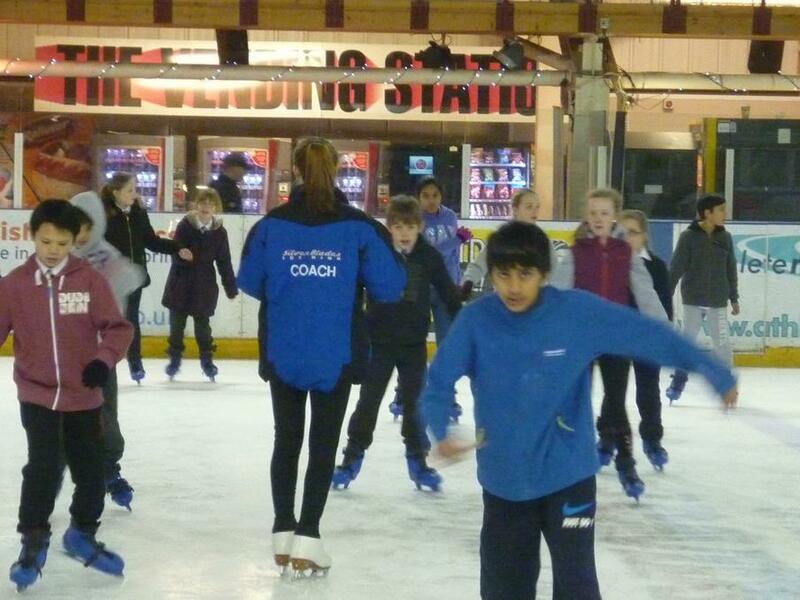 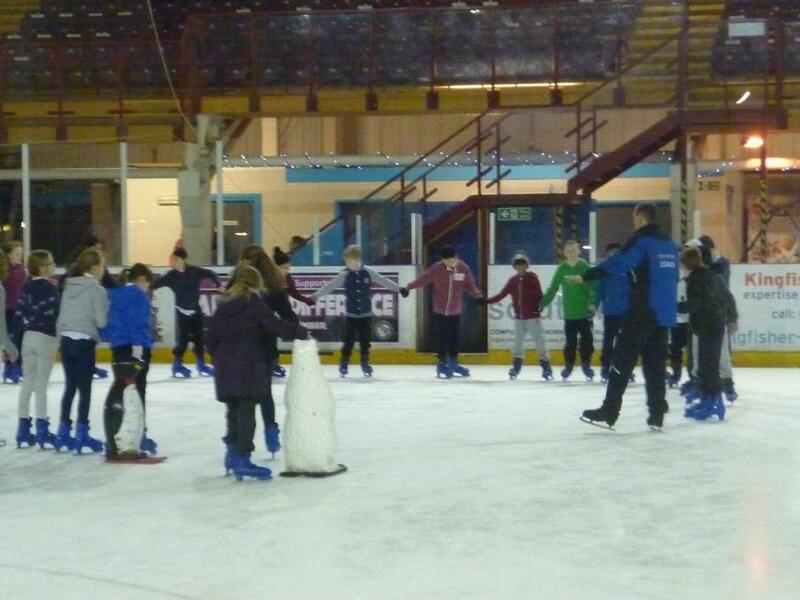 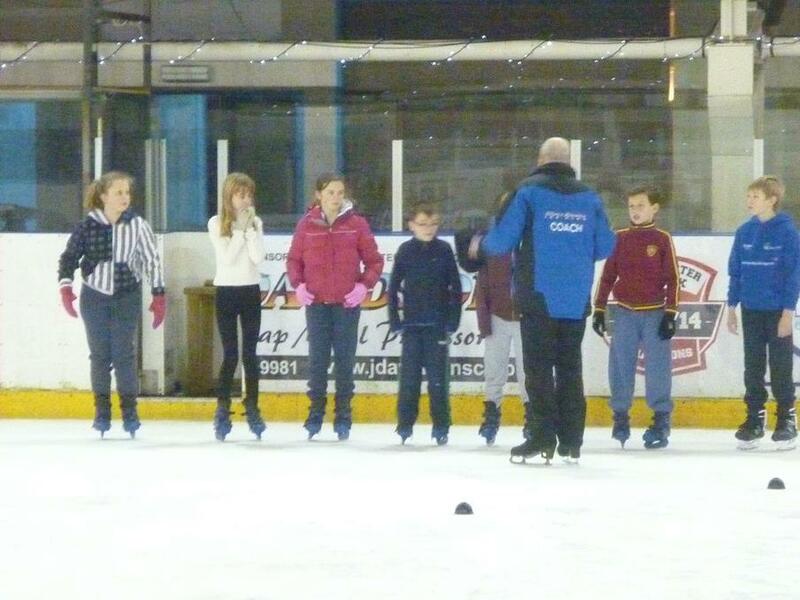 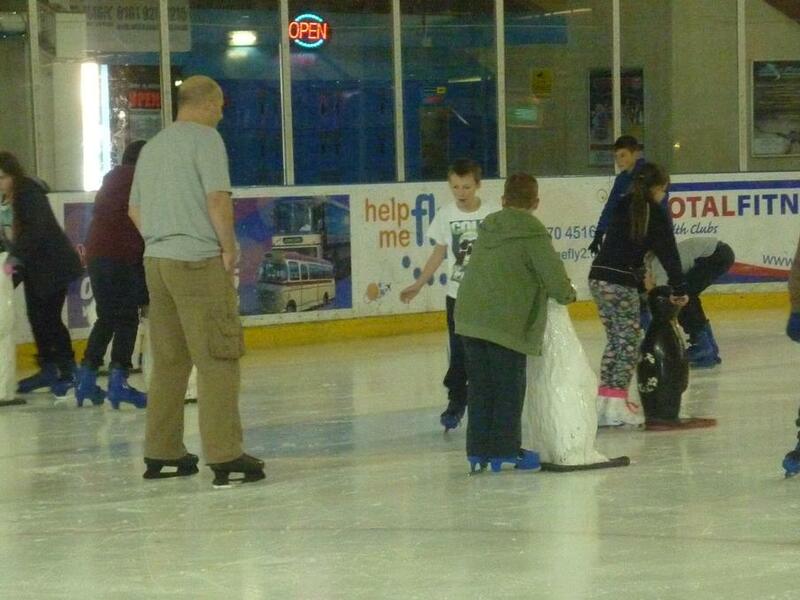 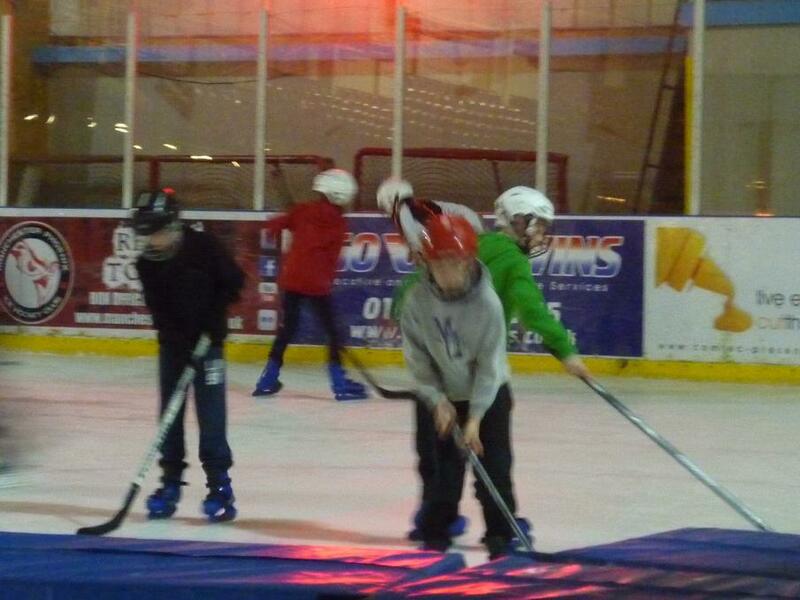 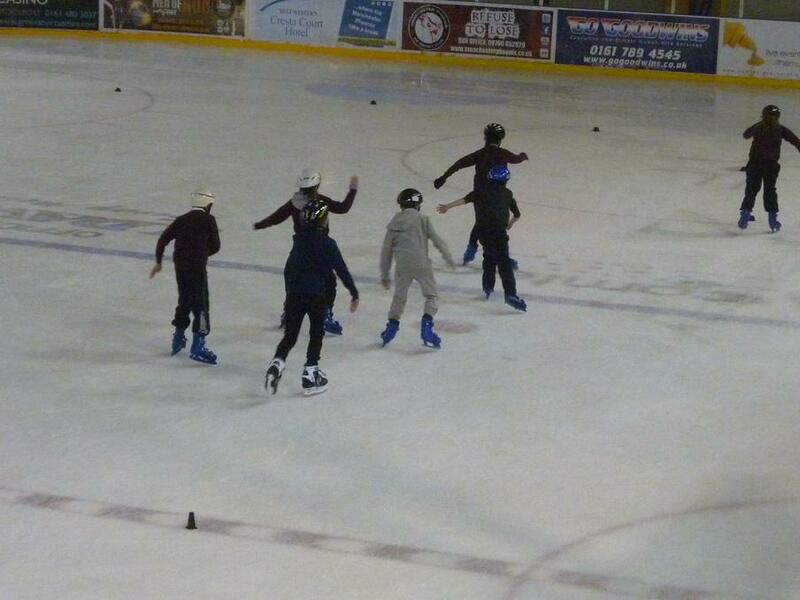 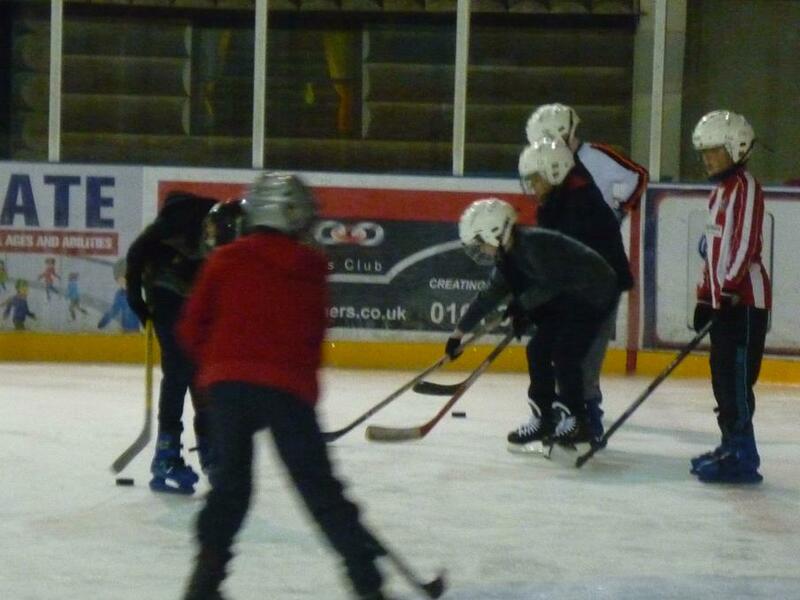 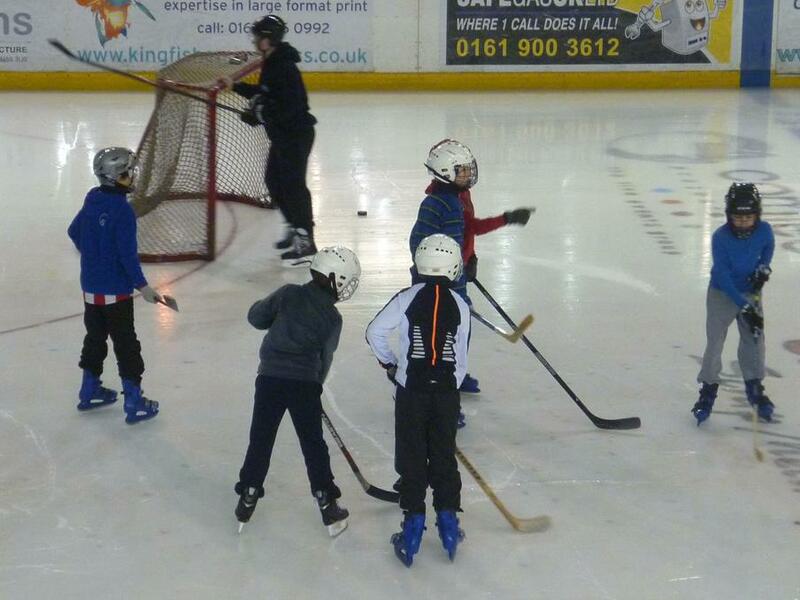 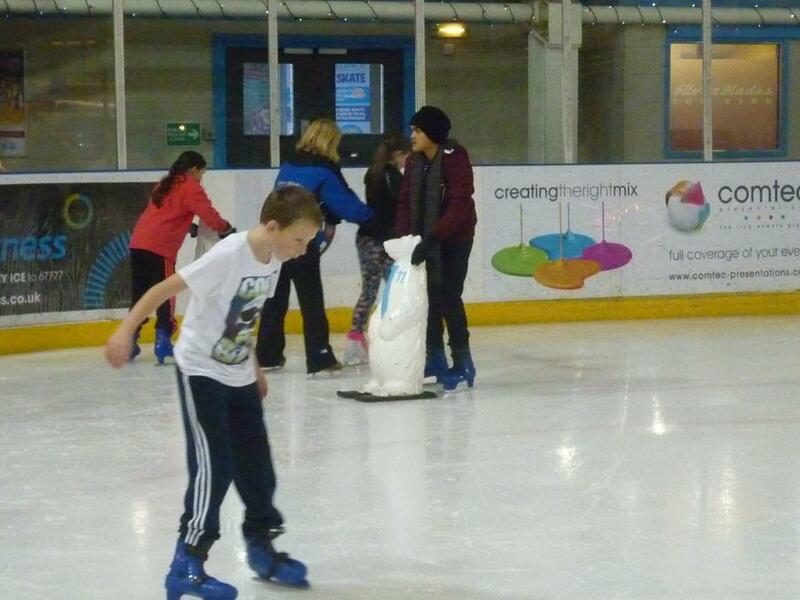 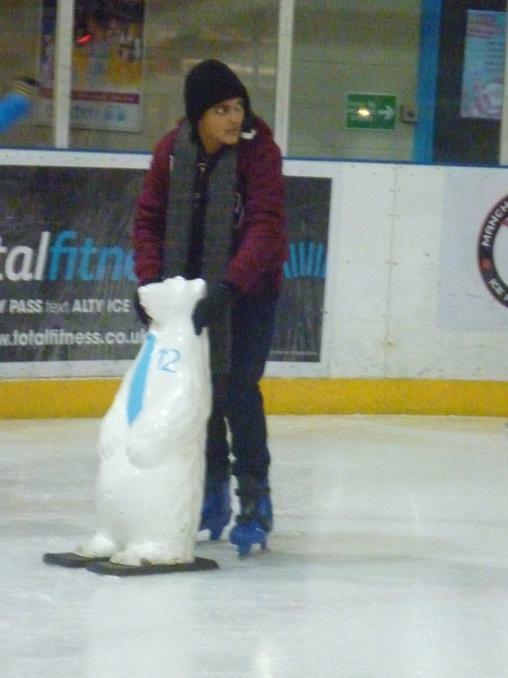 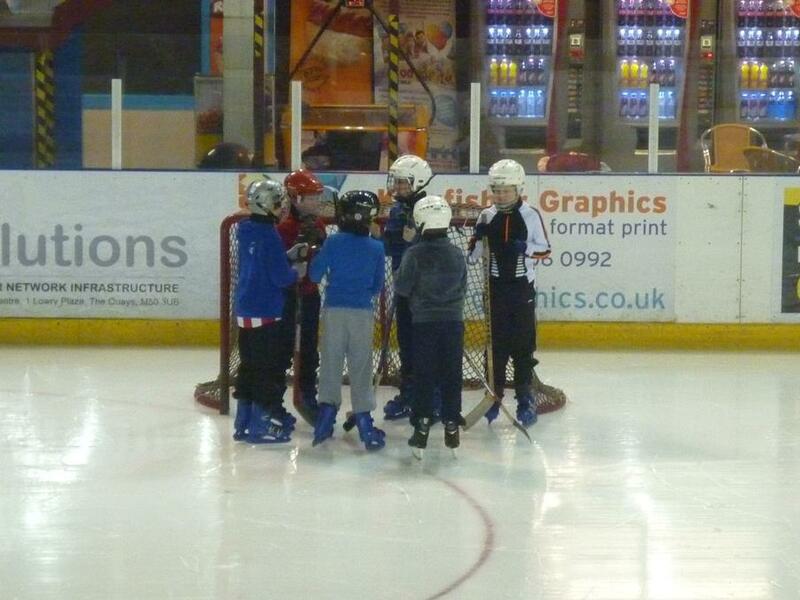 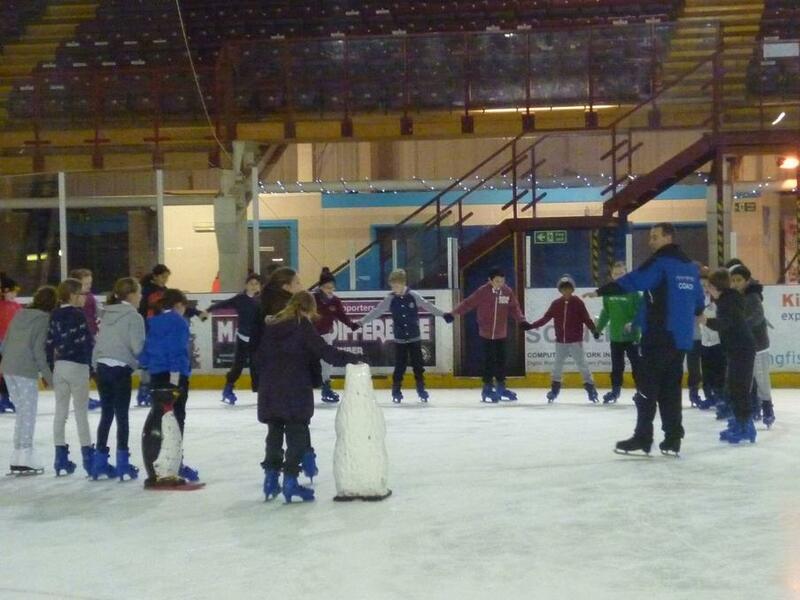 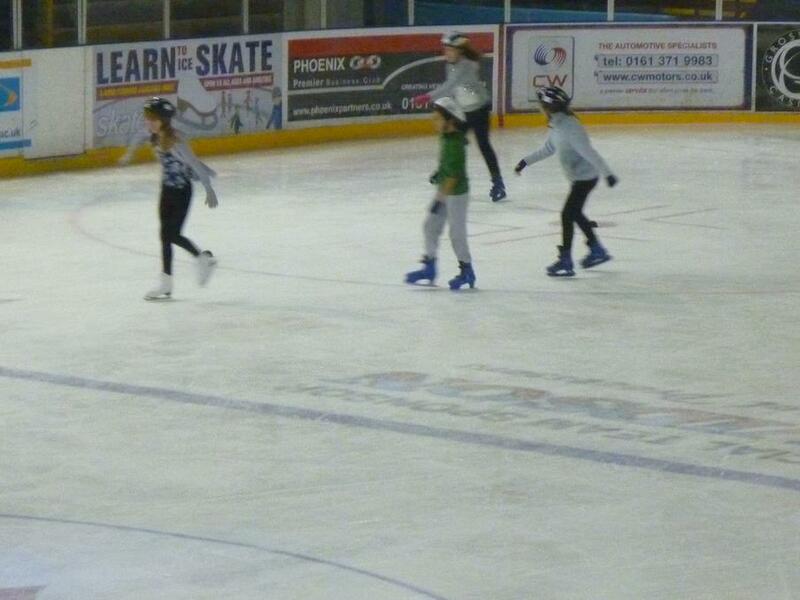 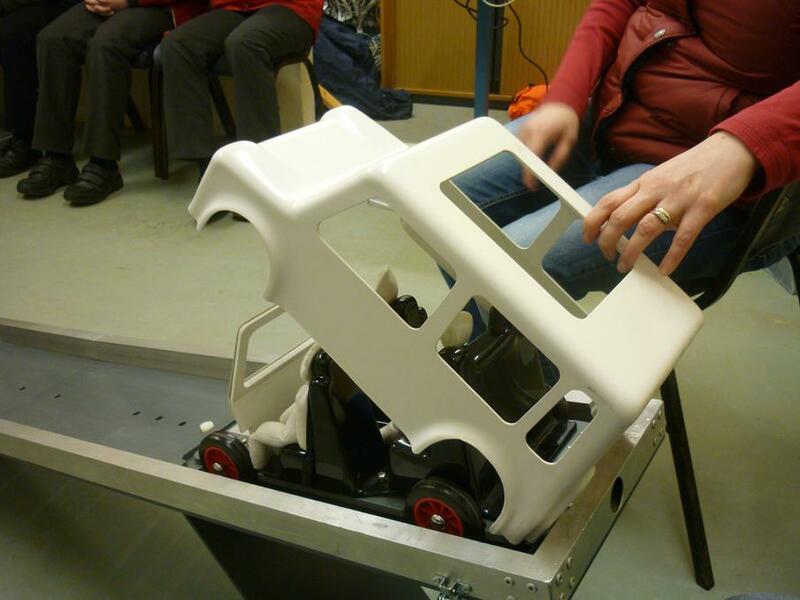 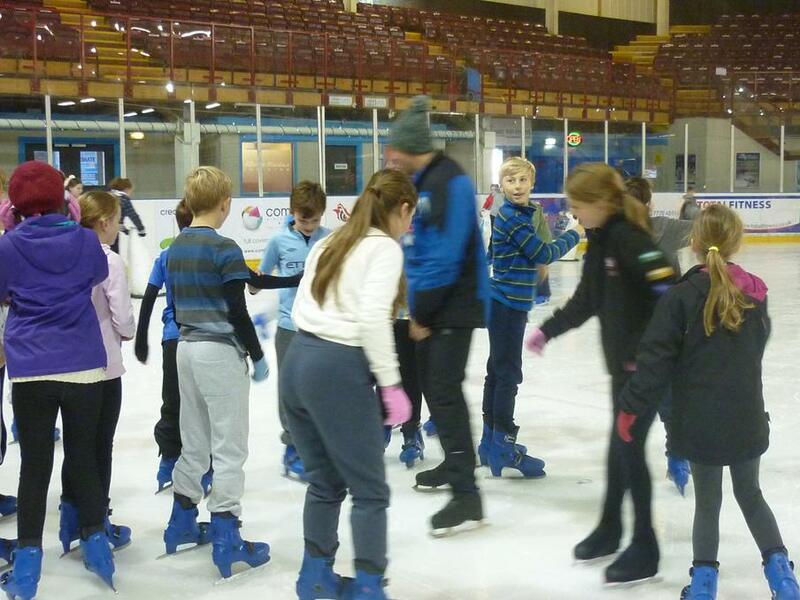 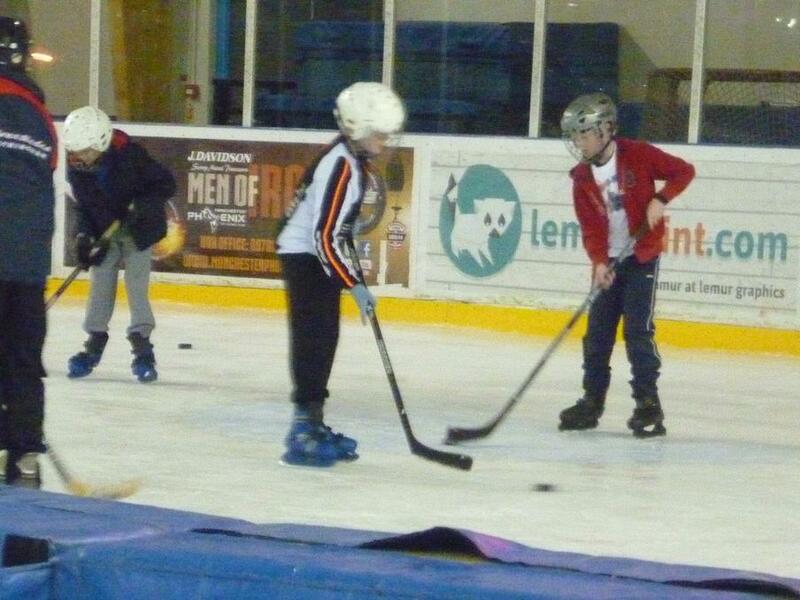 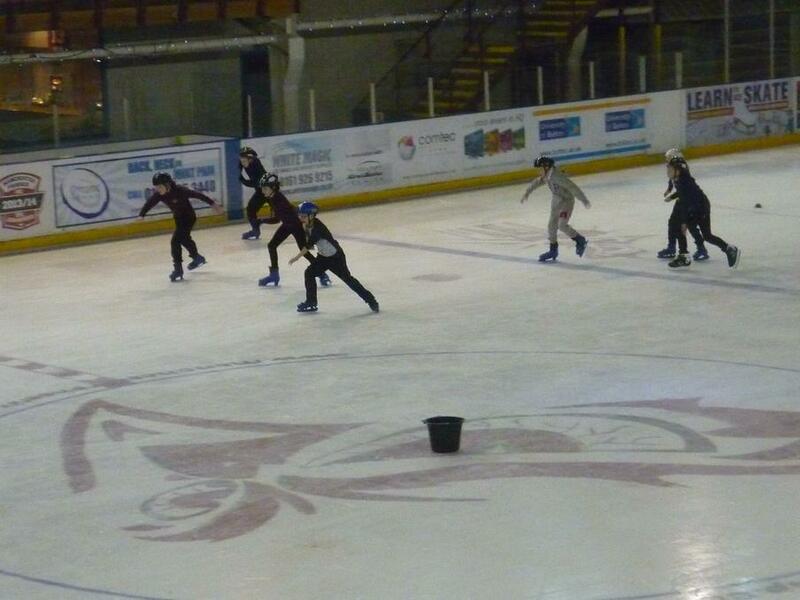 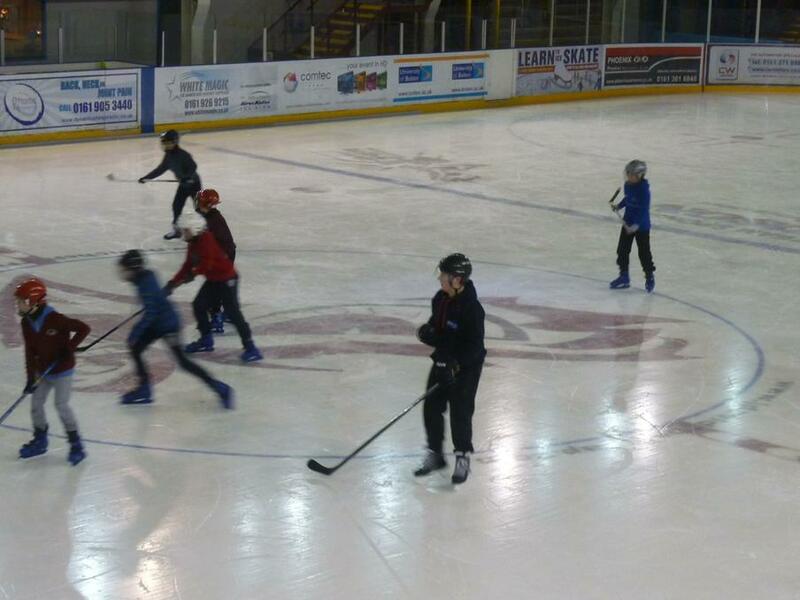 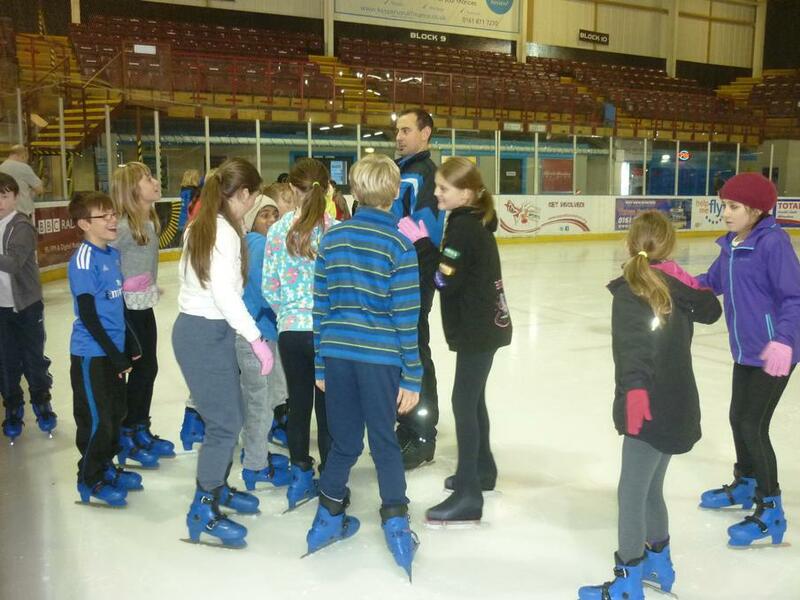 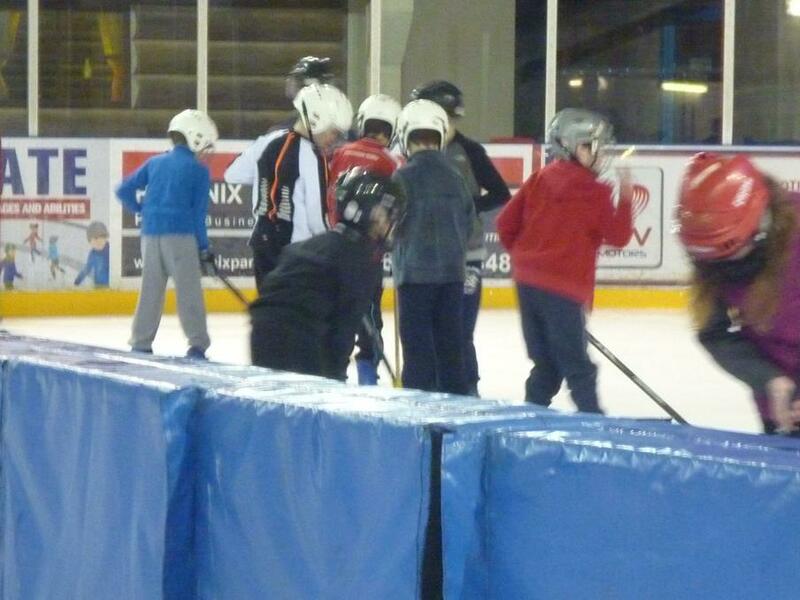 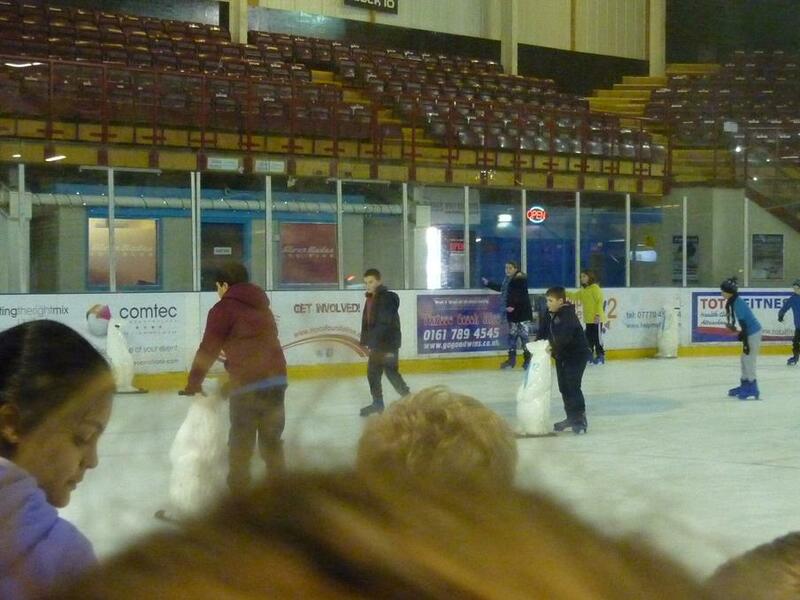 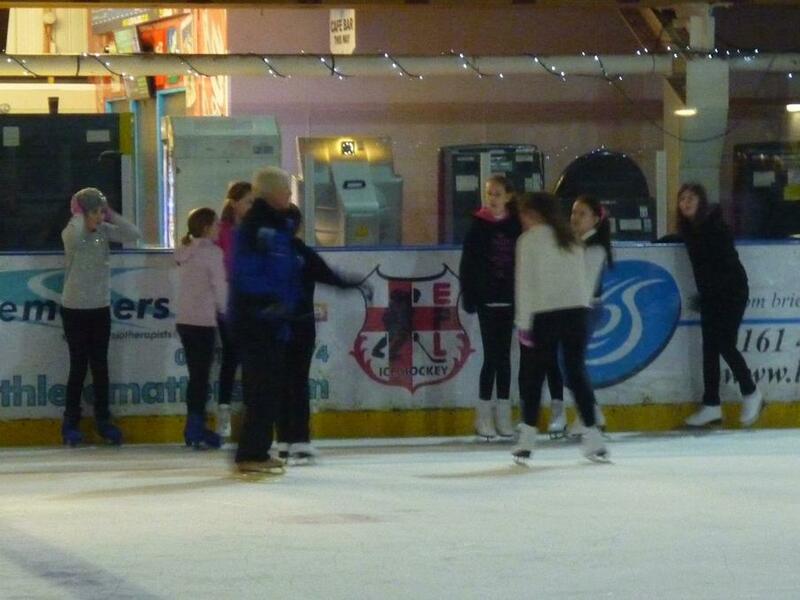 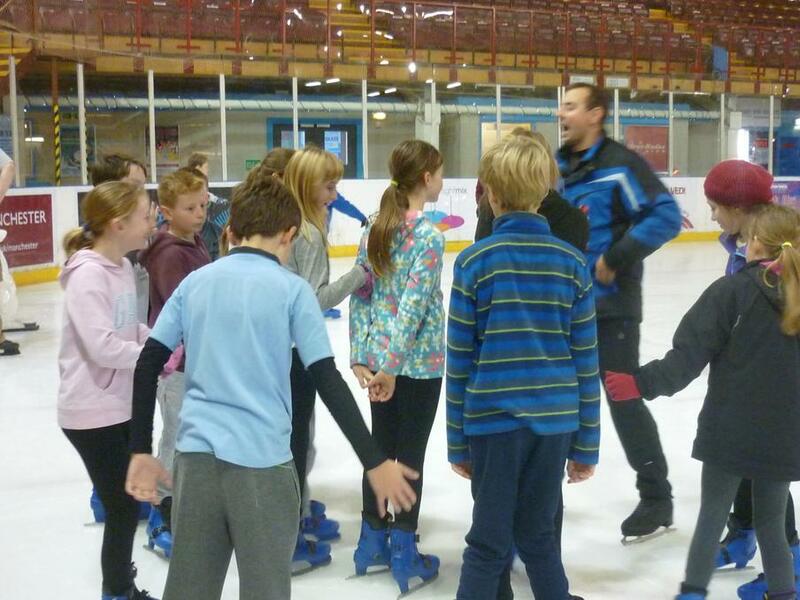 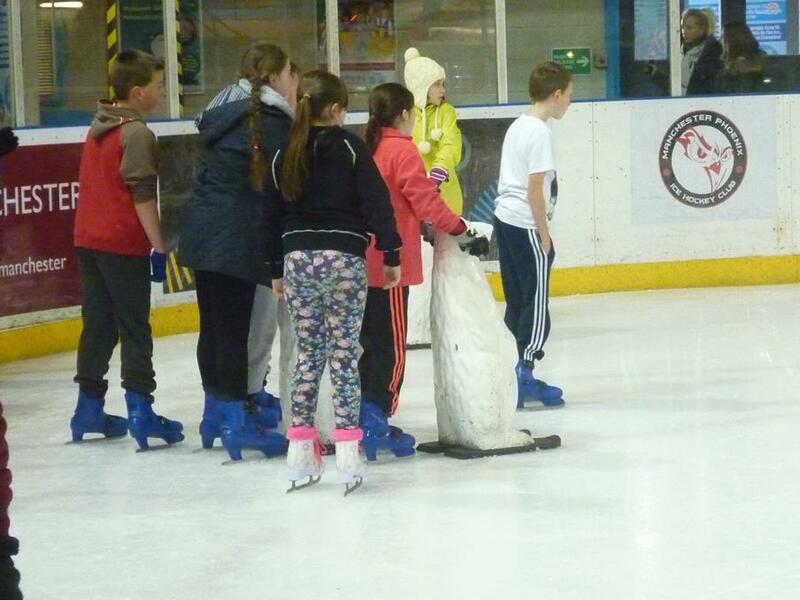 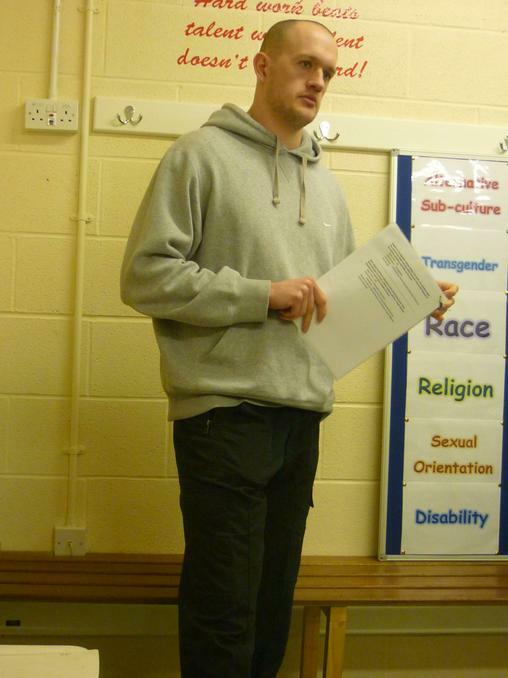 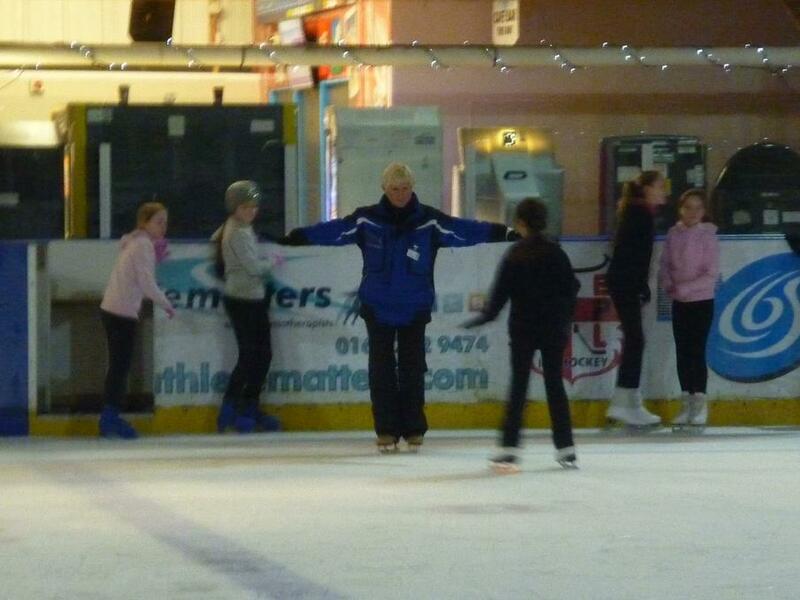 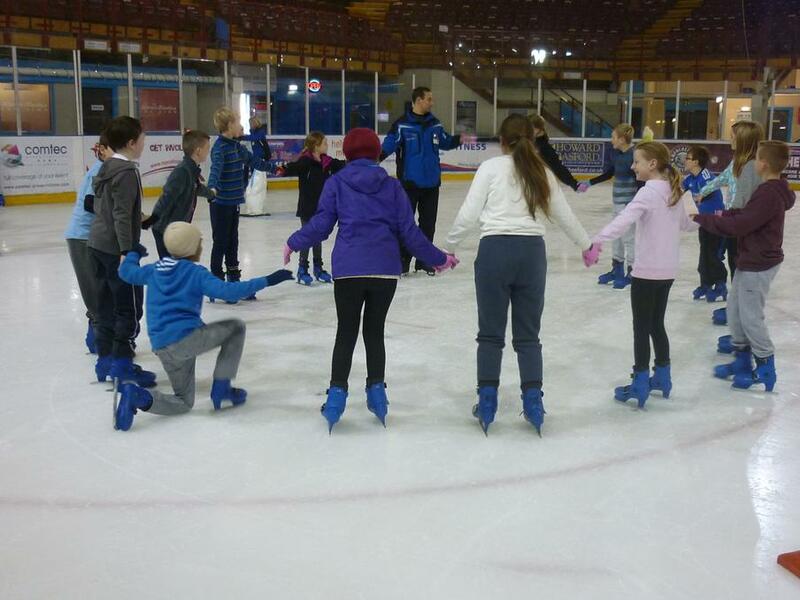 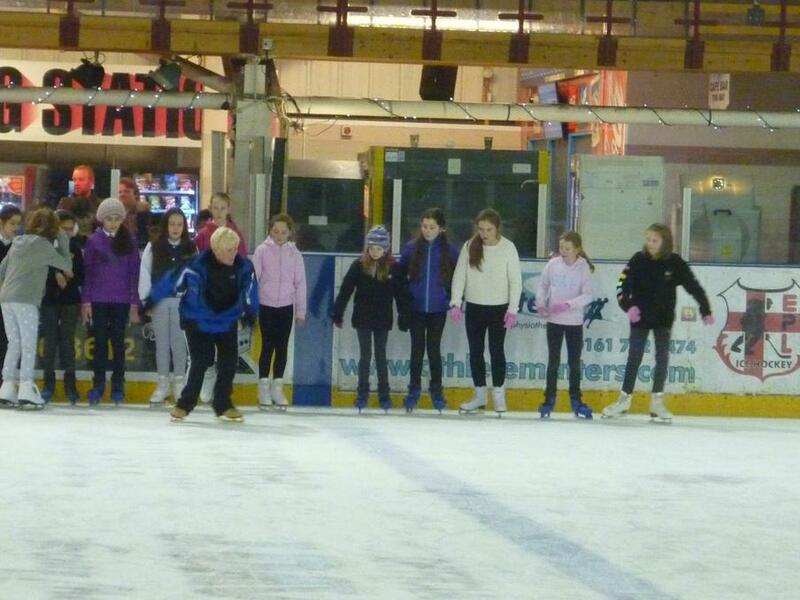 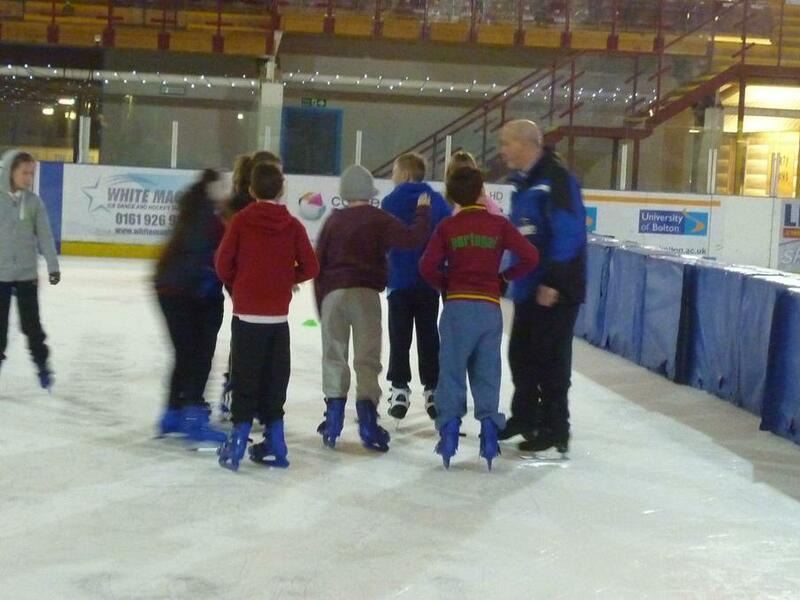 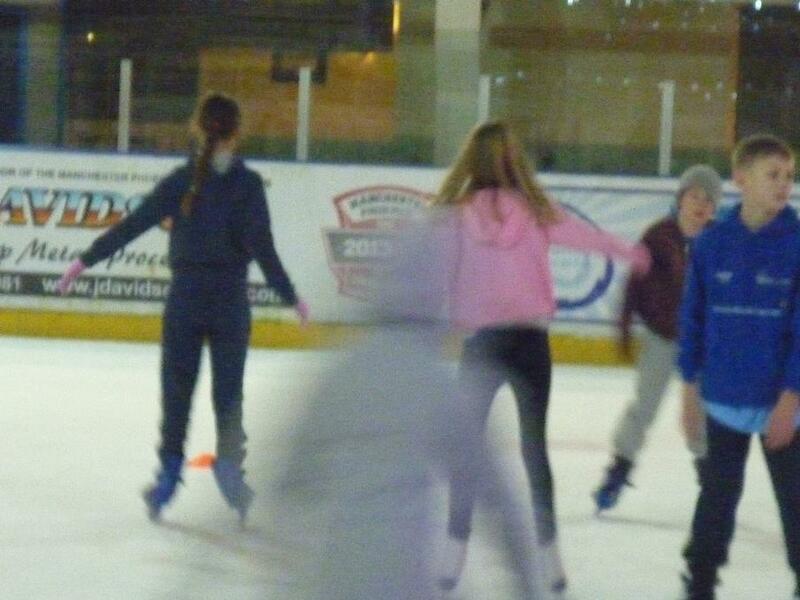 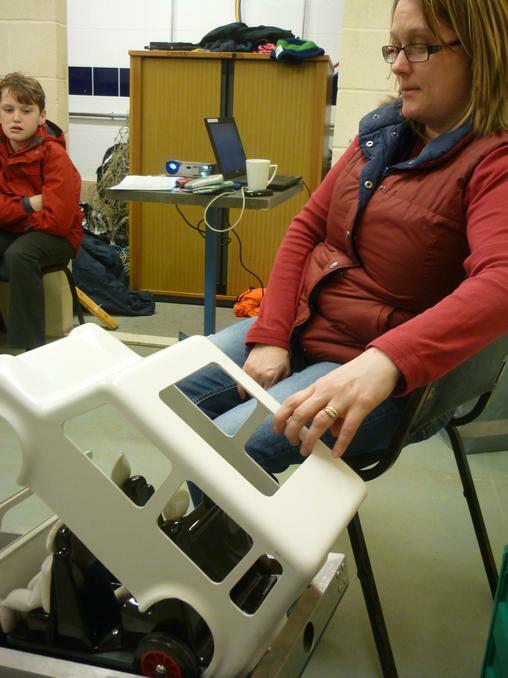 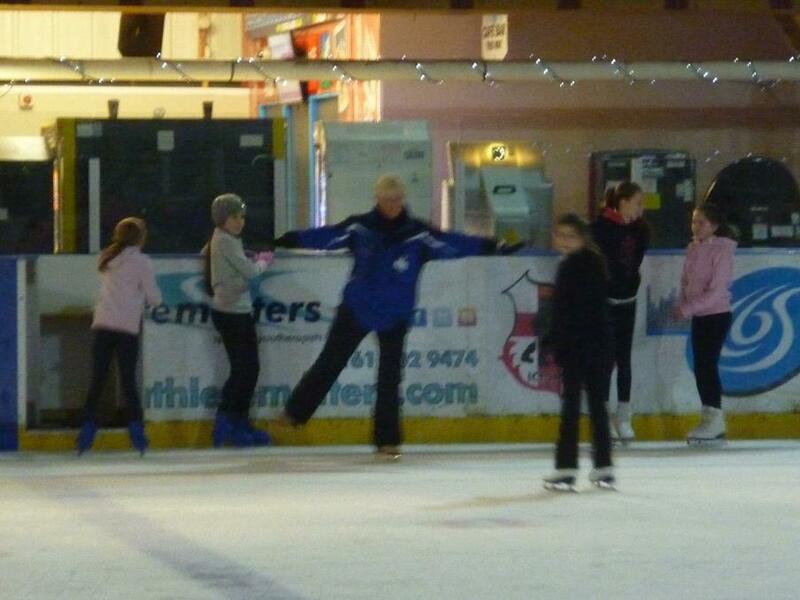 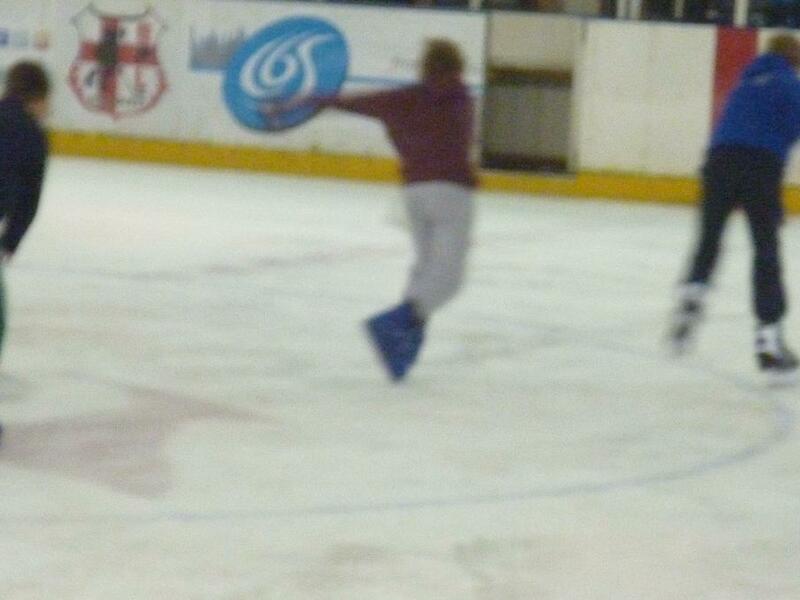 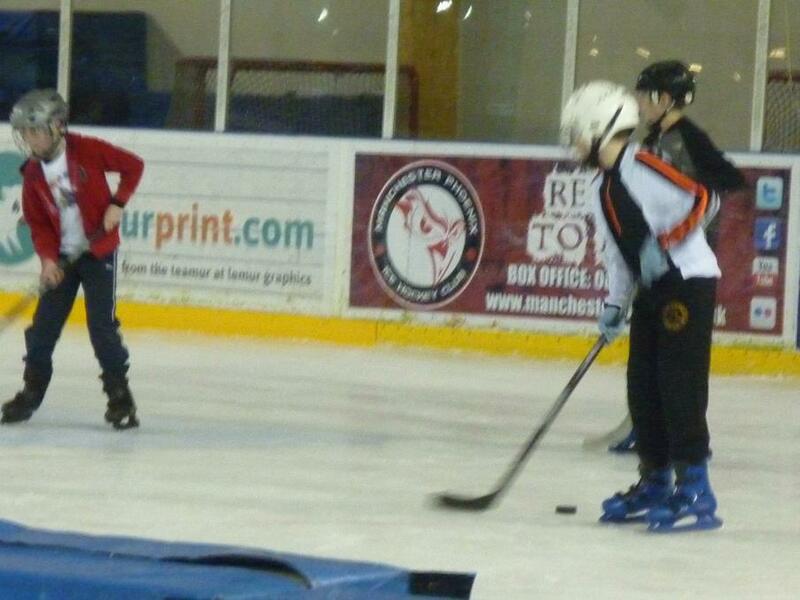 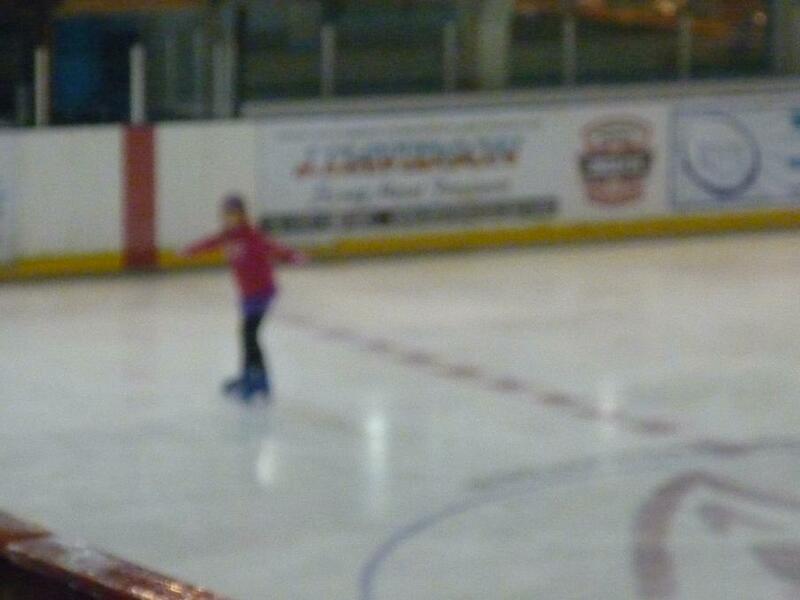 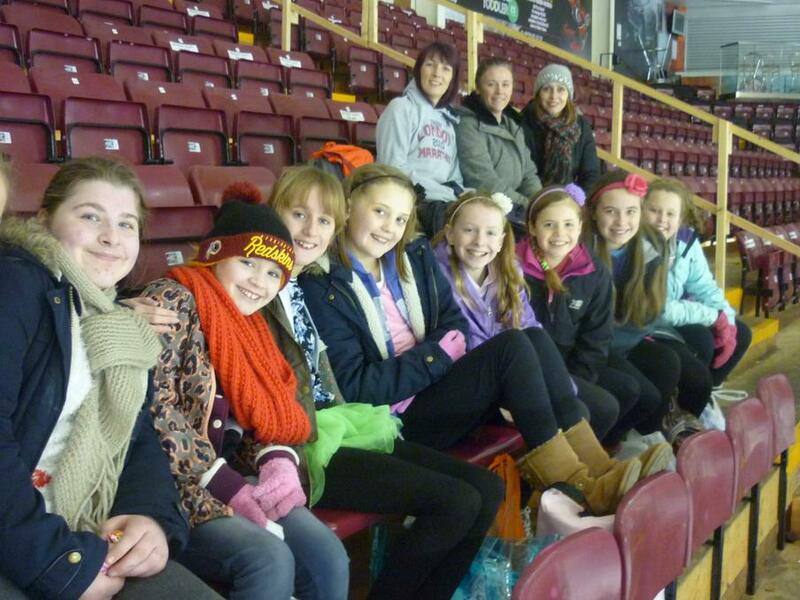 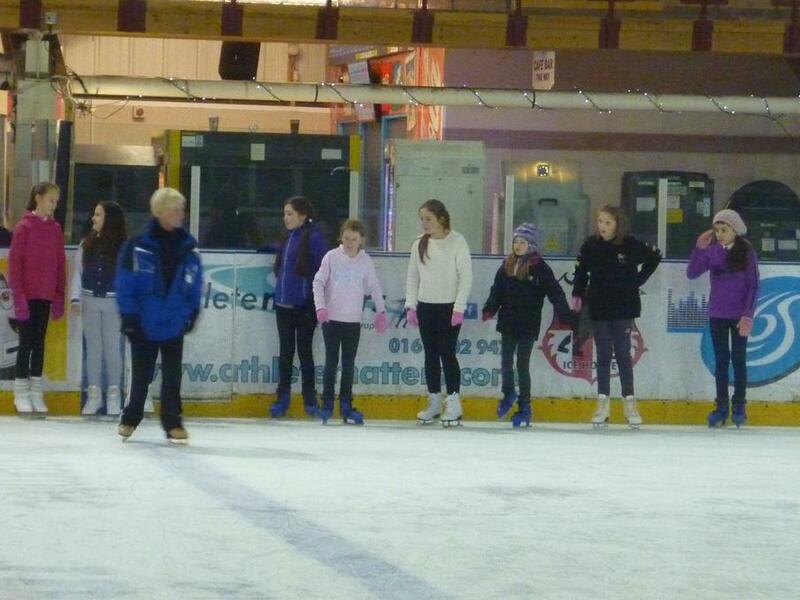 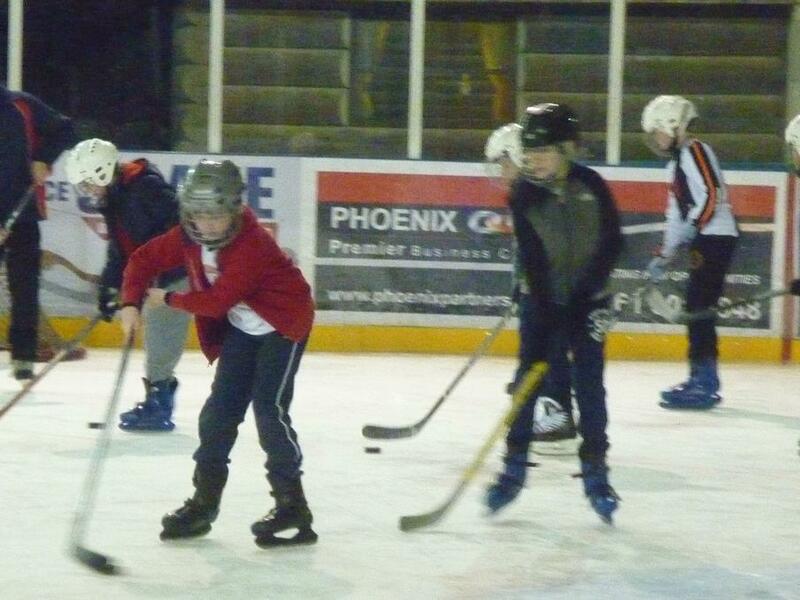 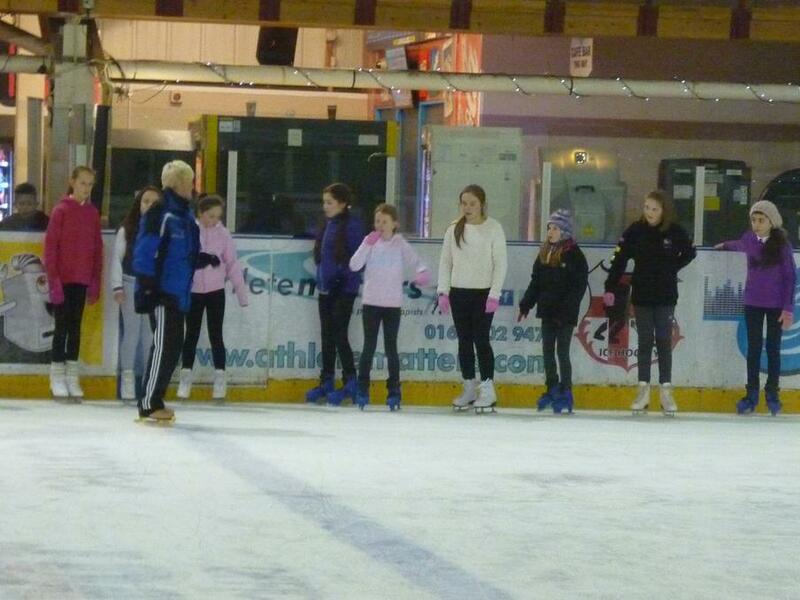 Recent photos from our training sessions on ice! 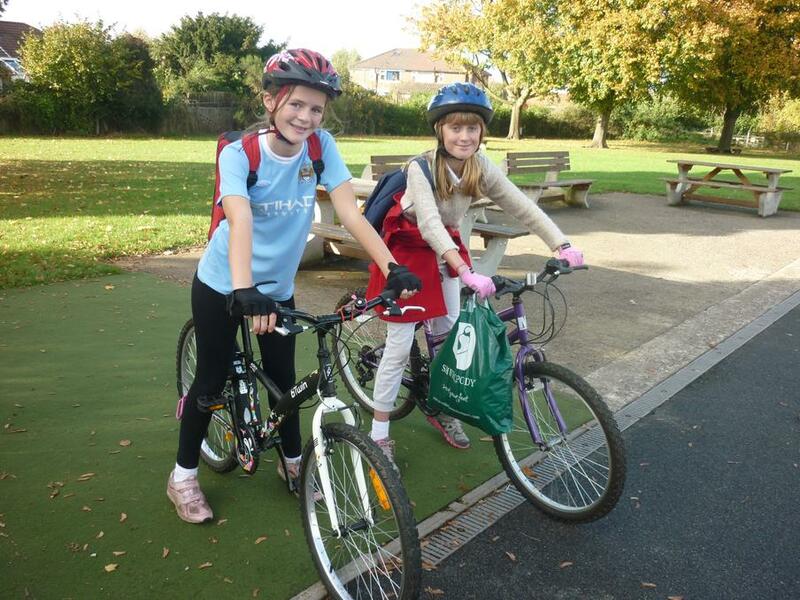 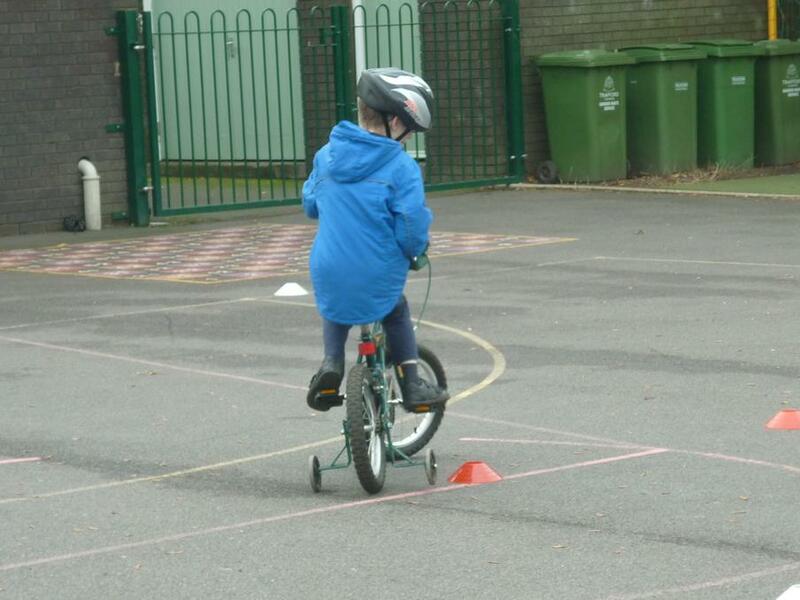 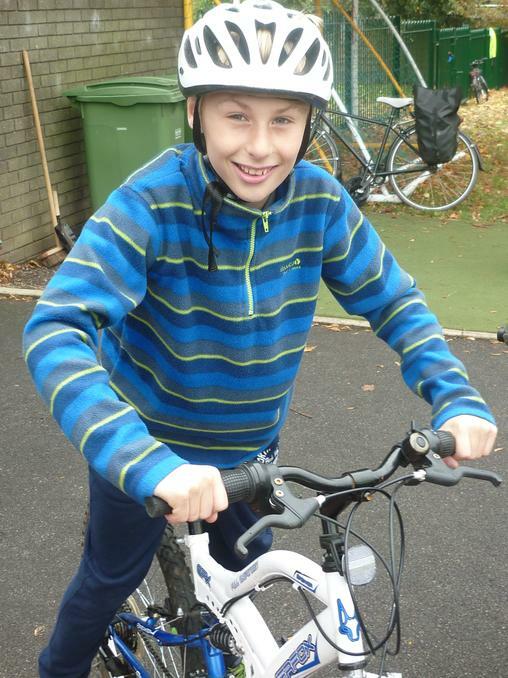 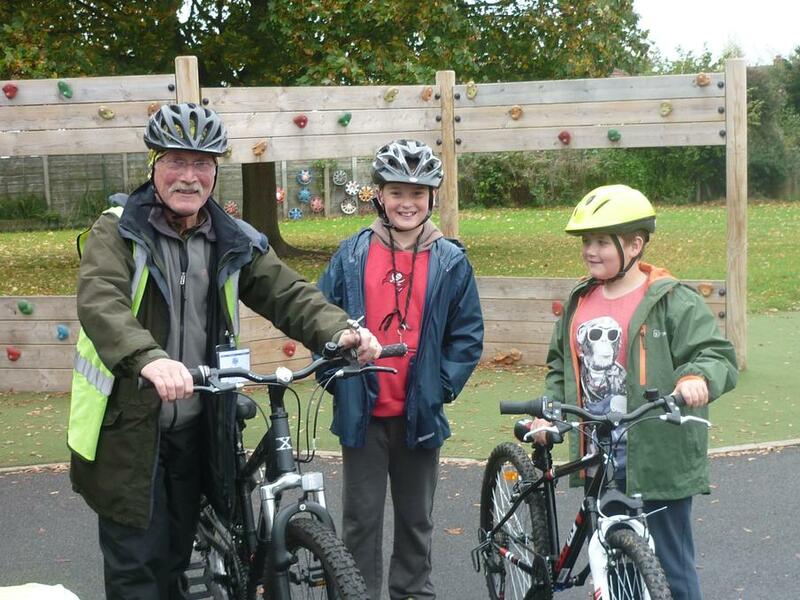 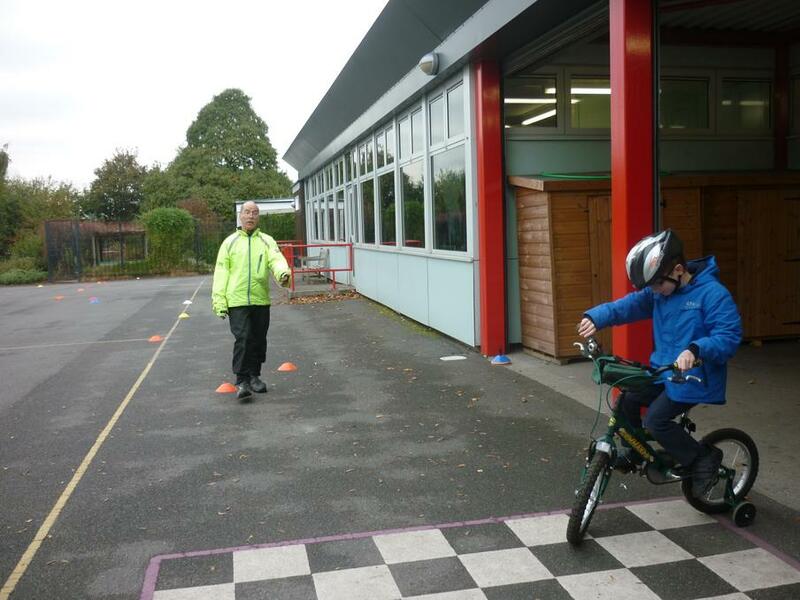 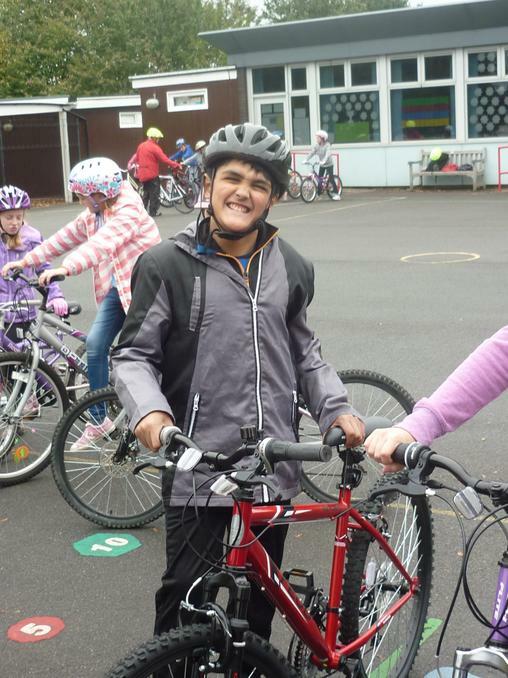 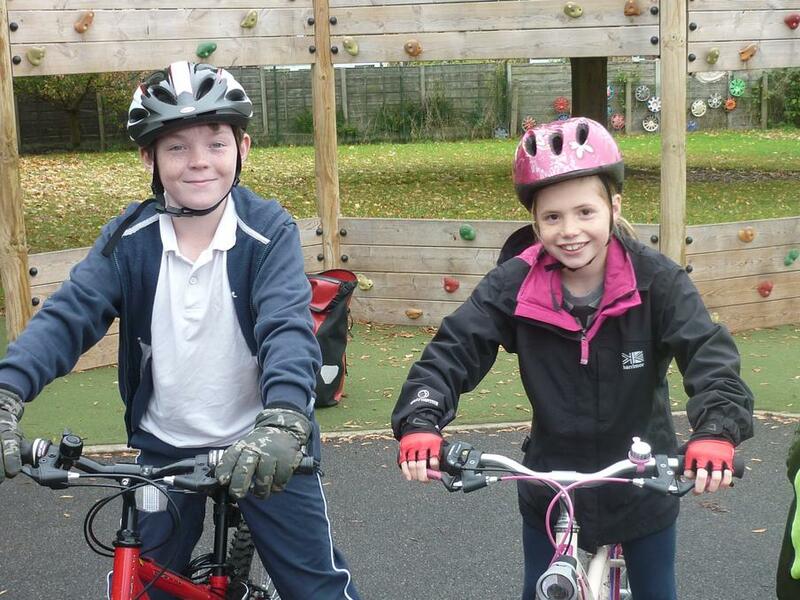 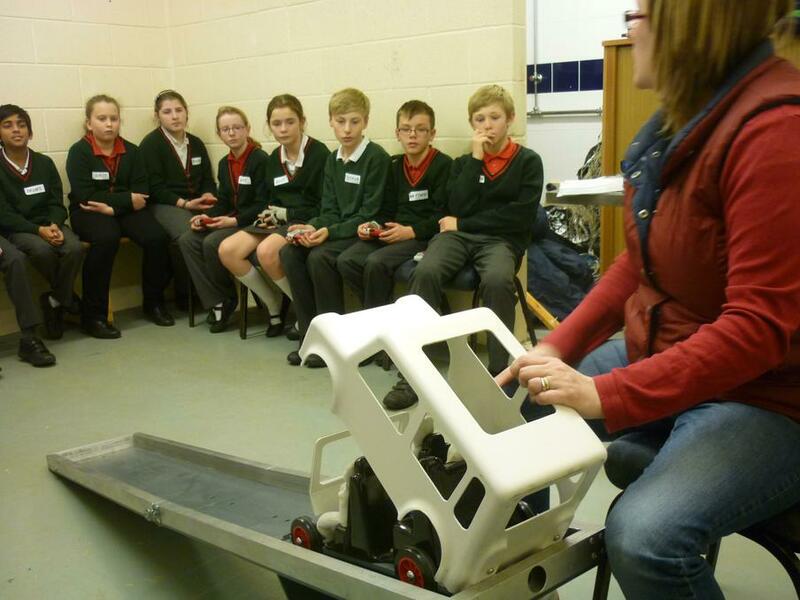 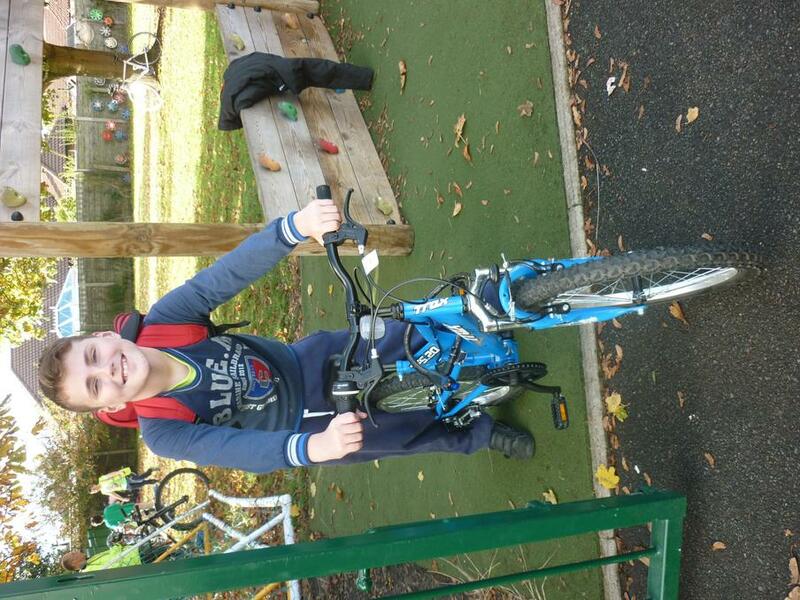 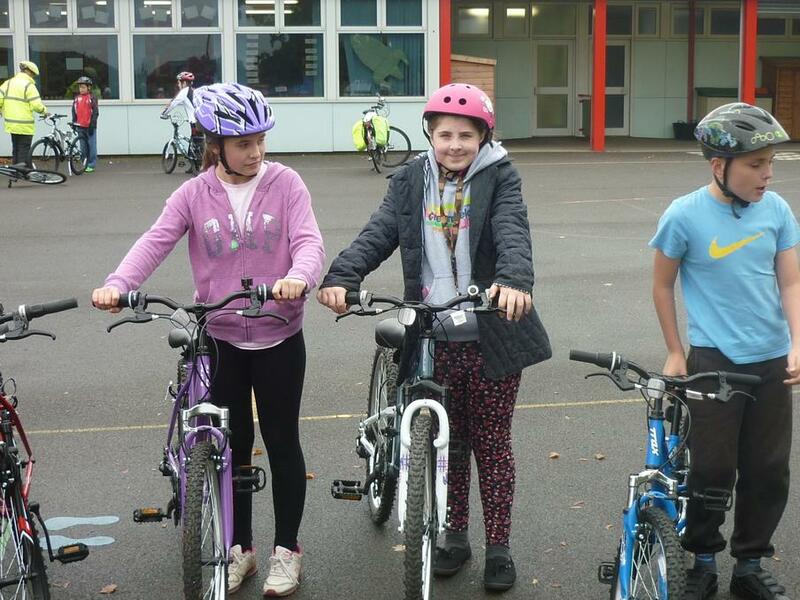 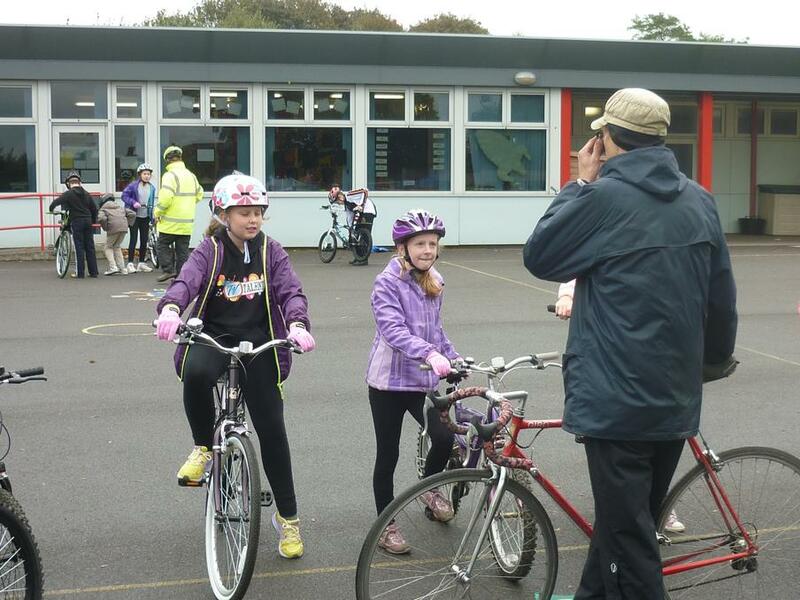 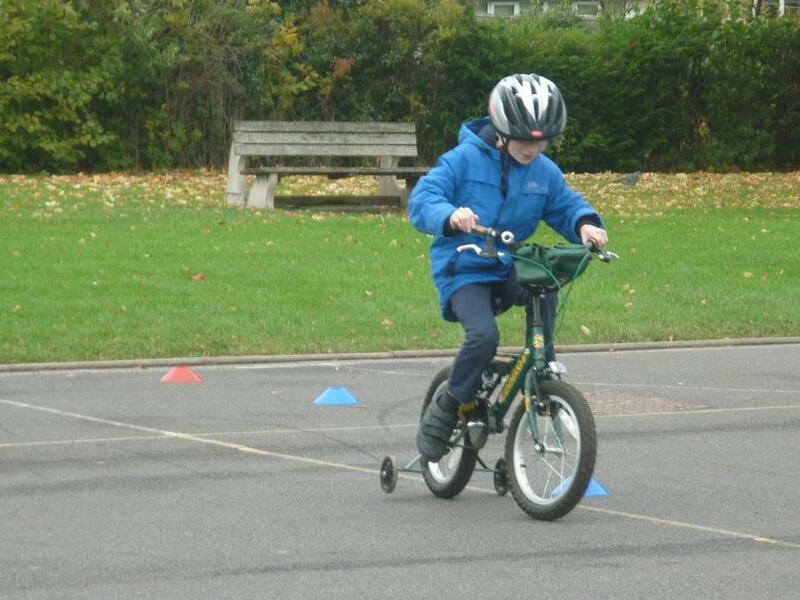 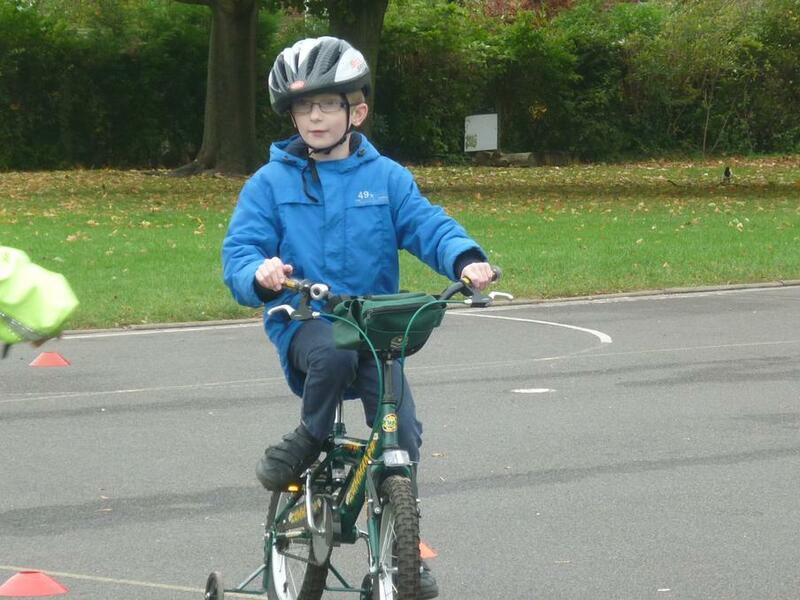 During the week of 13th to the 17th October, Year 6 have had their 'Bikeability' cycling proficiency course and had a great time learning to stay safe on the road. 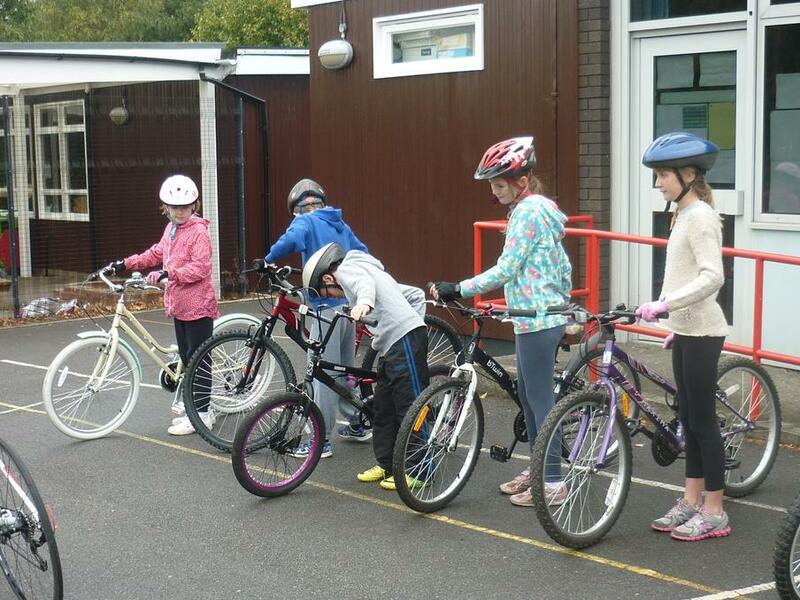 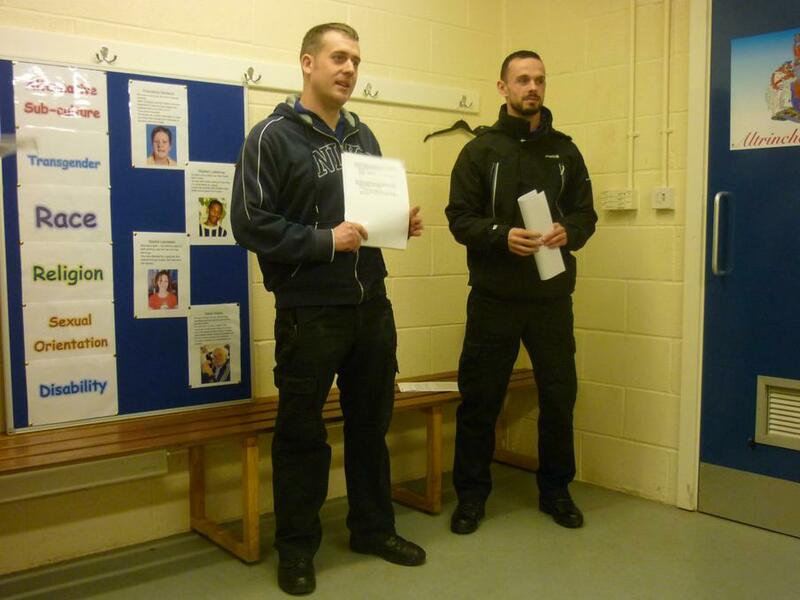 They learnt about the importance of keeping their bikes in good condition and making sure that they take other road users into consideration. 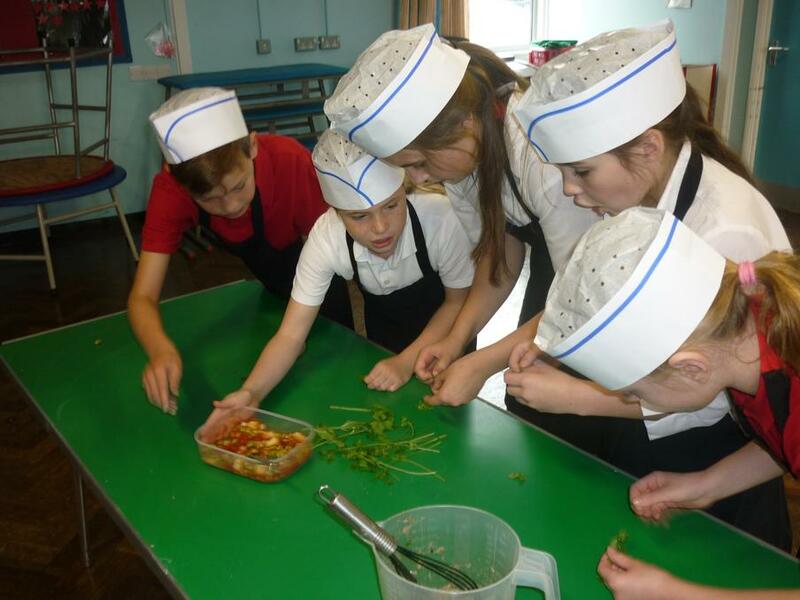 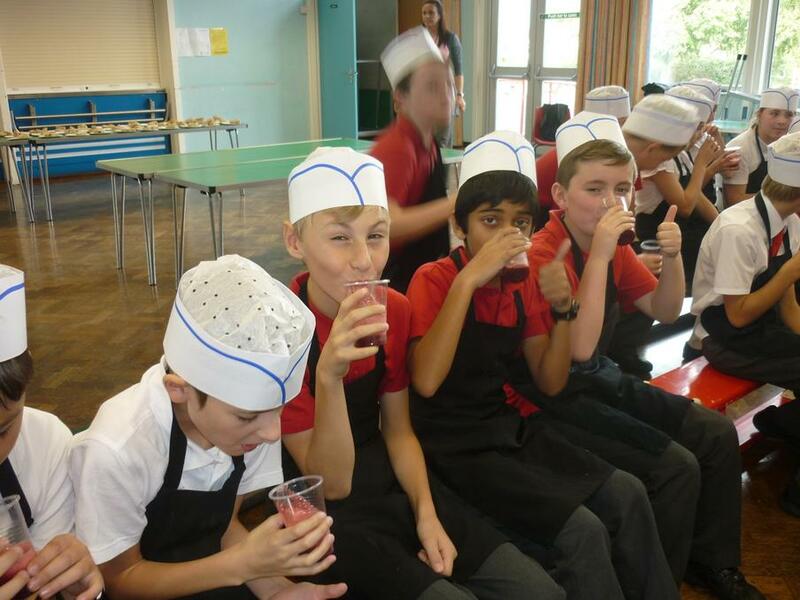 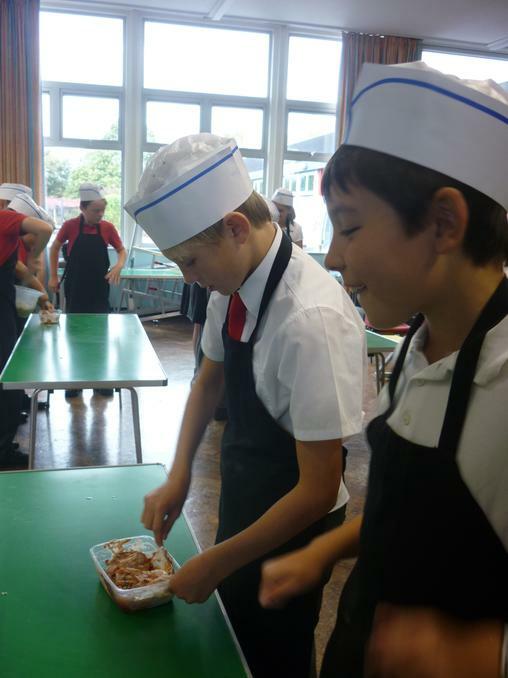 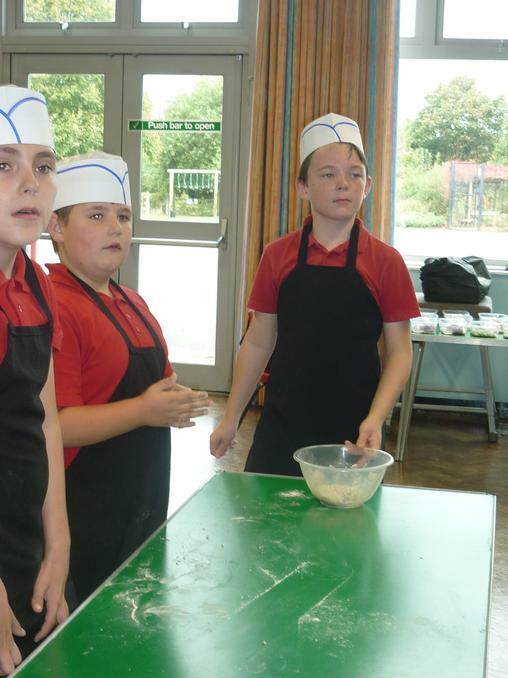 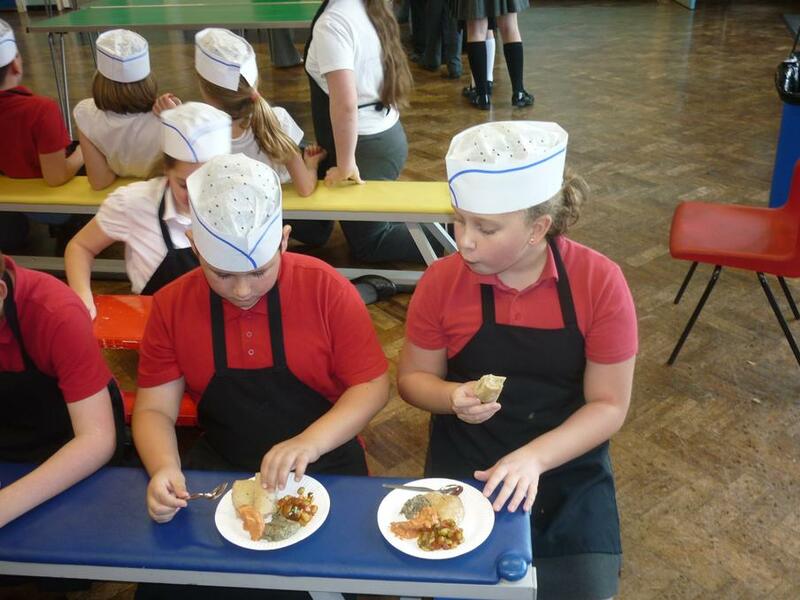 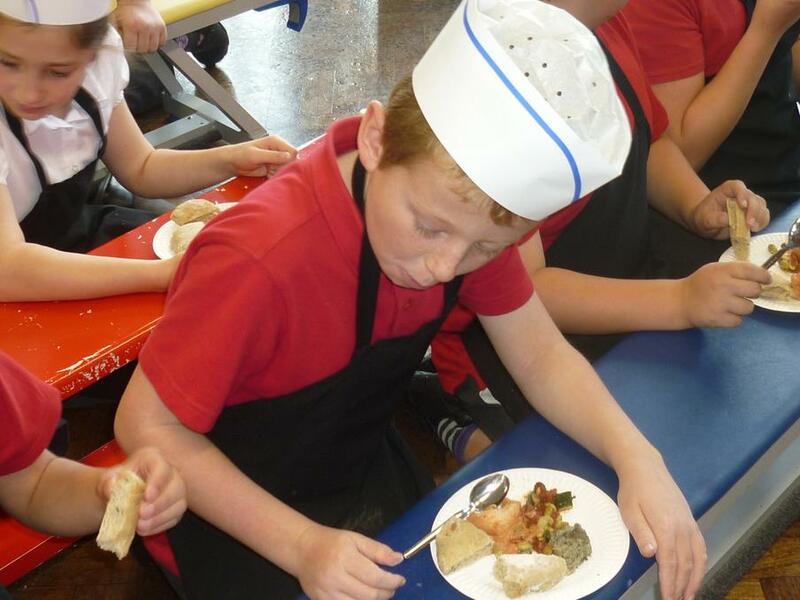 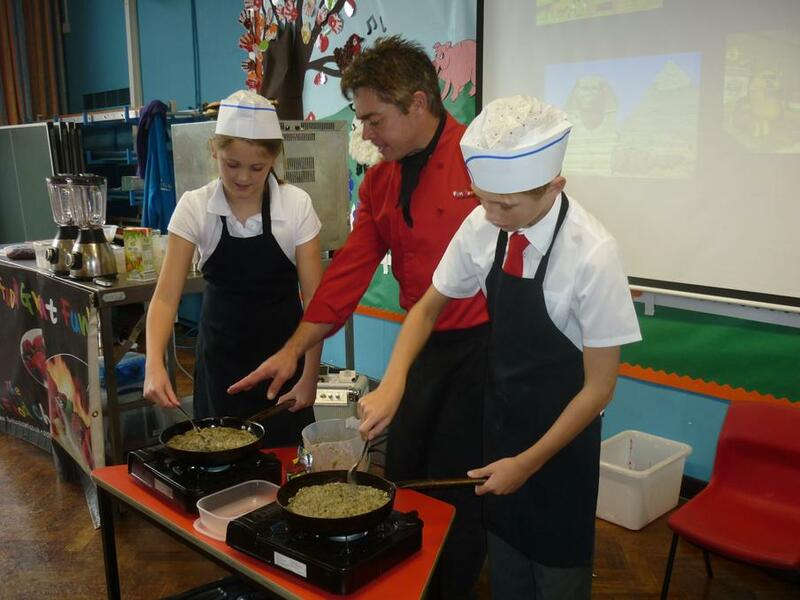 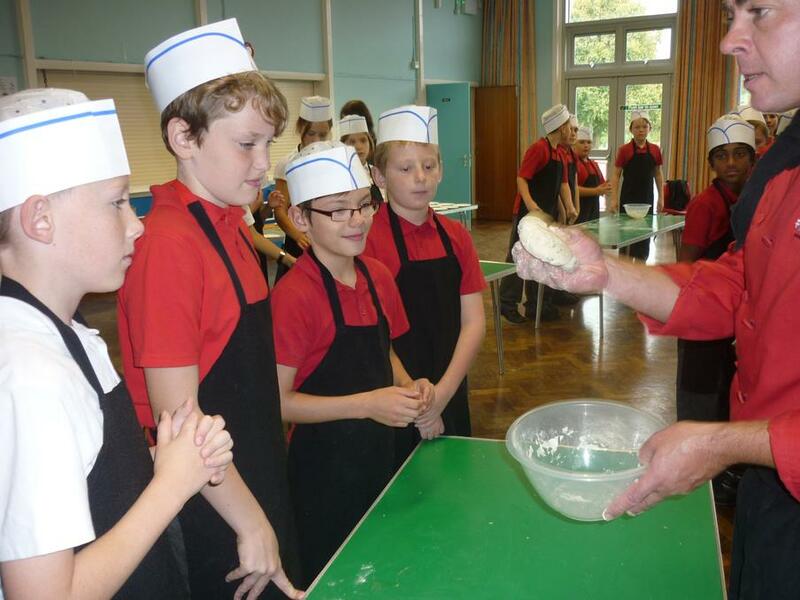 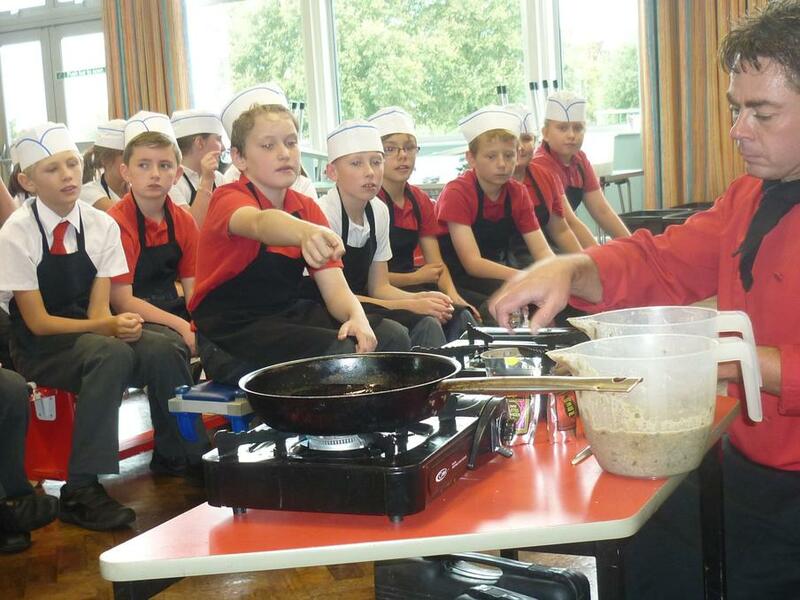 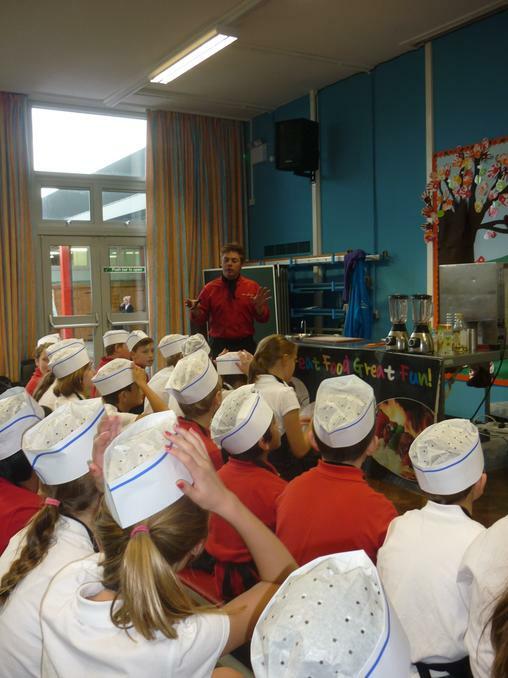 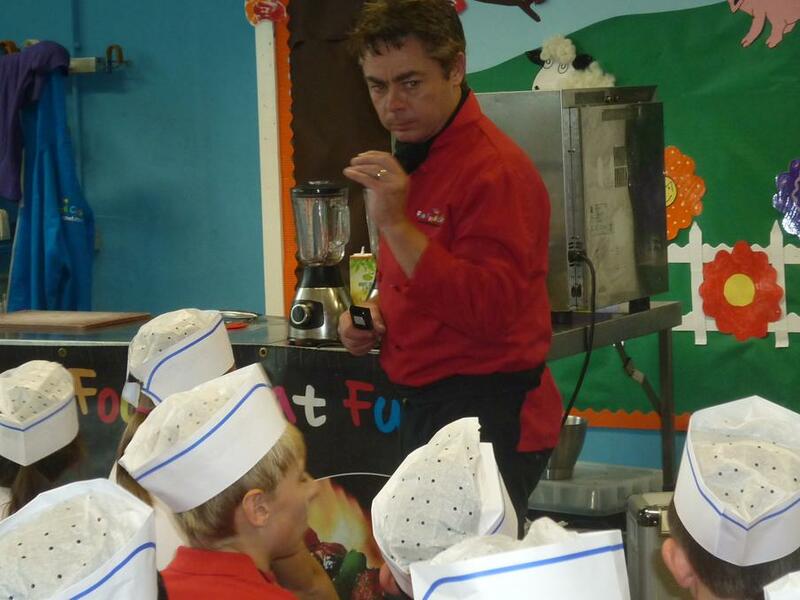 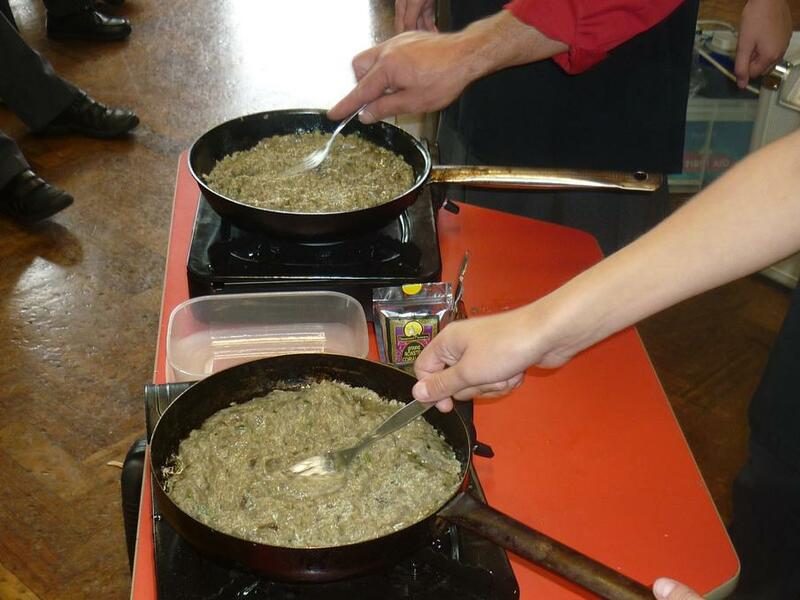 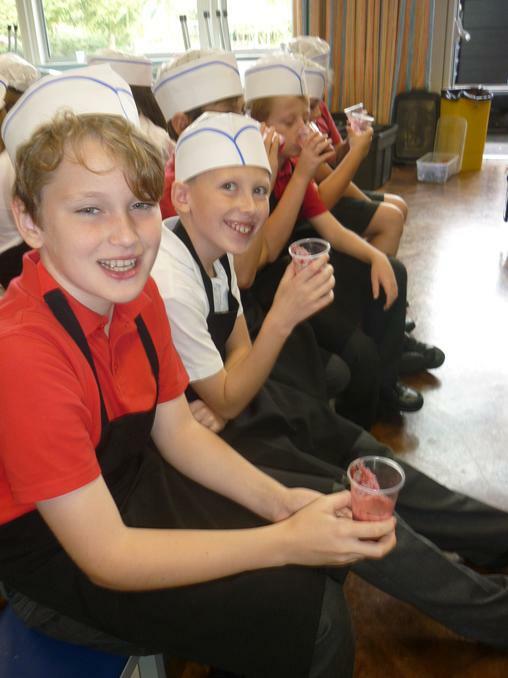 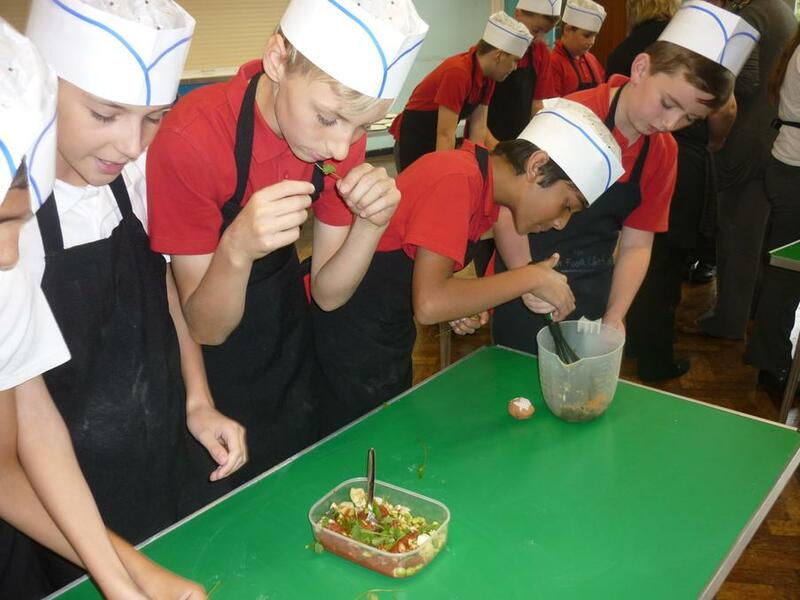 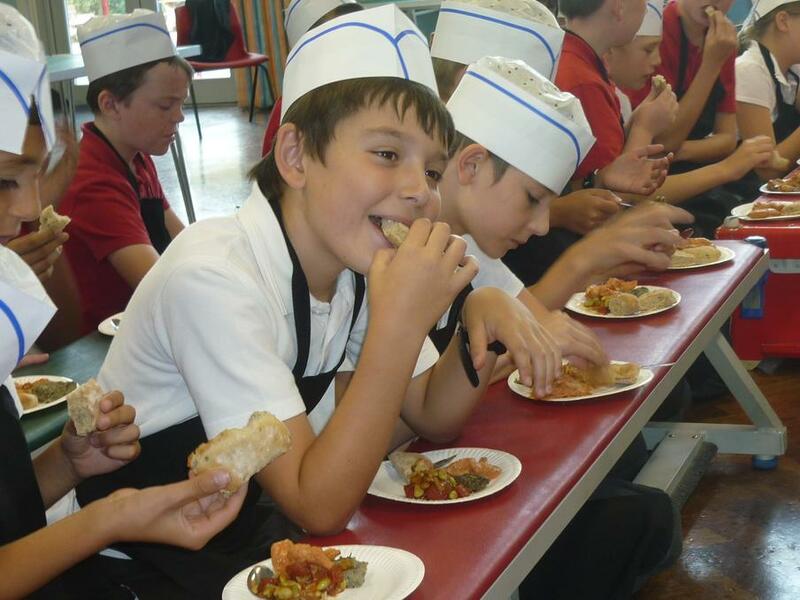 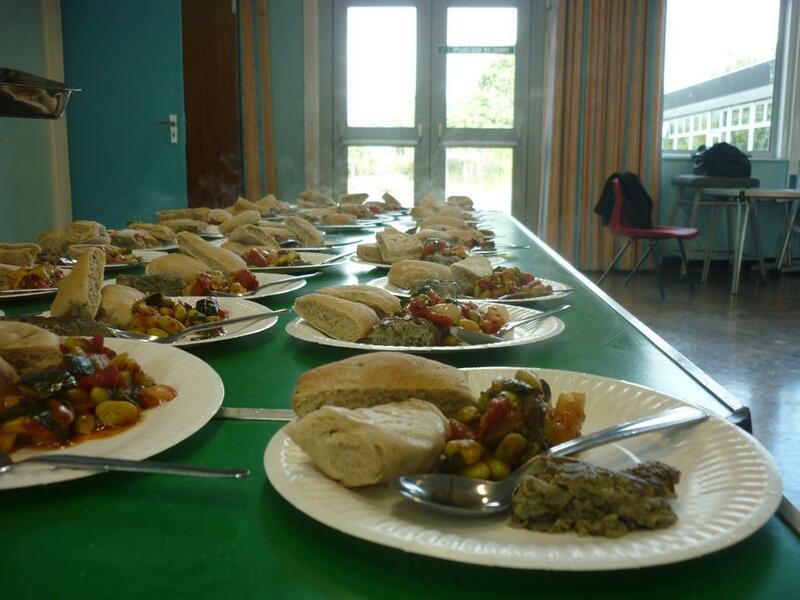 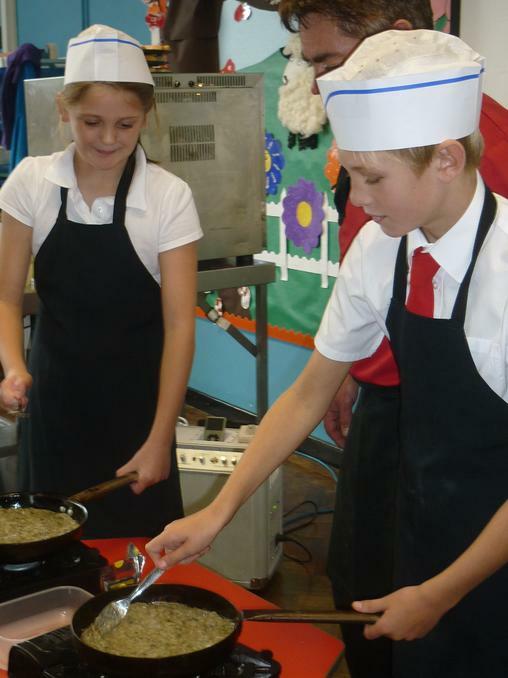 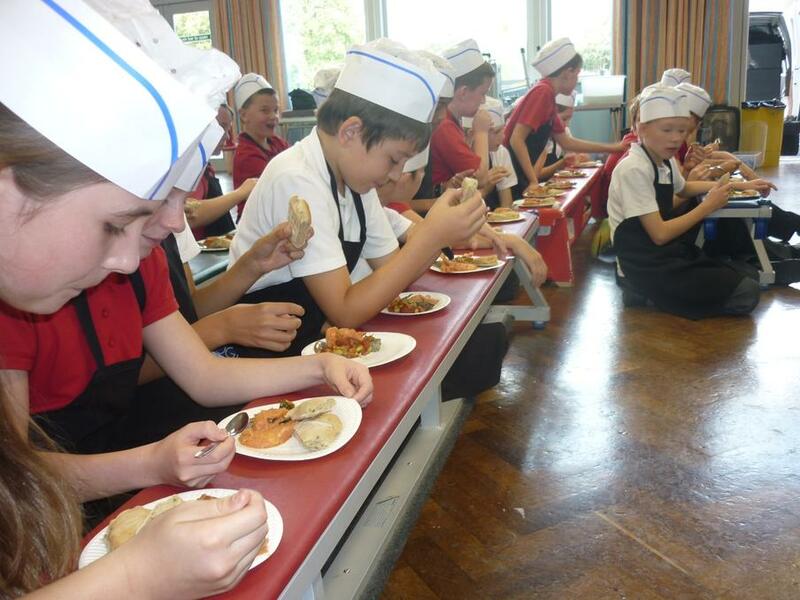 Our DT topic this term is Middle Eastern Food (related to our Islamic topic) and we had a visit from the 'Fun Food Chef' on the 8th October. 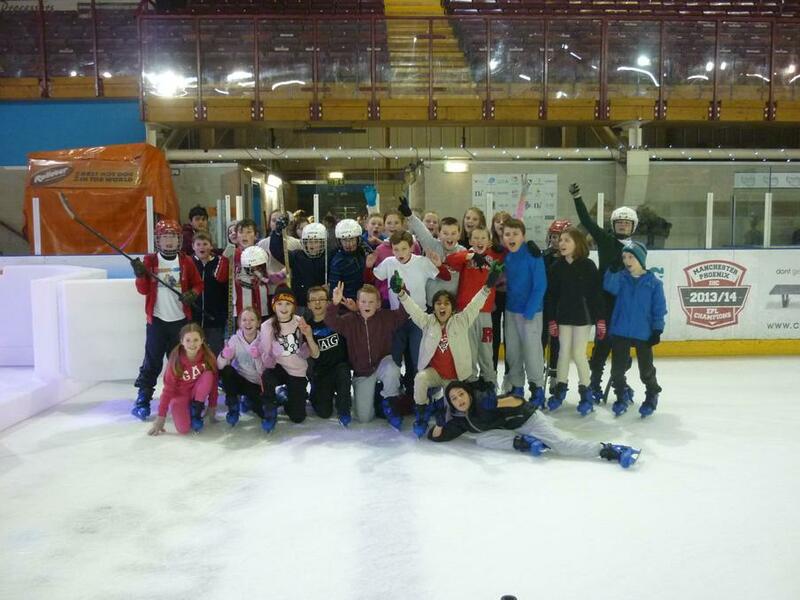 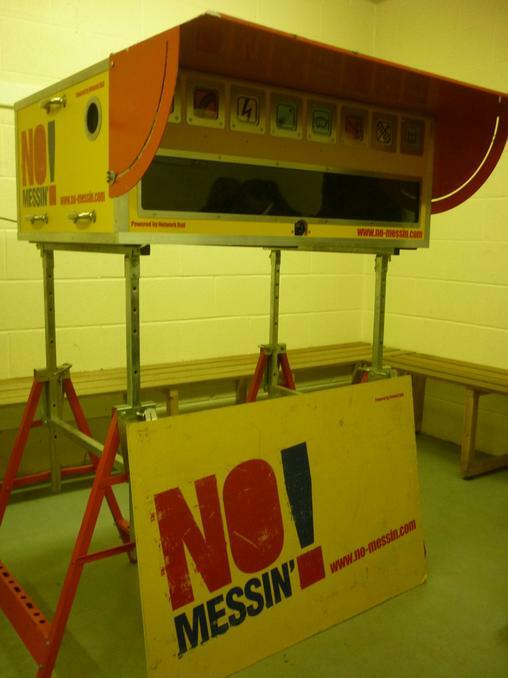 Check out the super photos below! 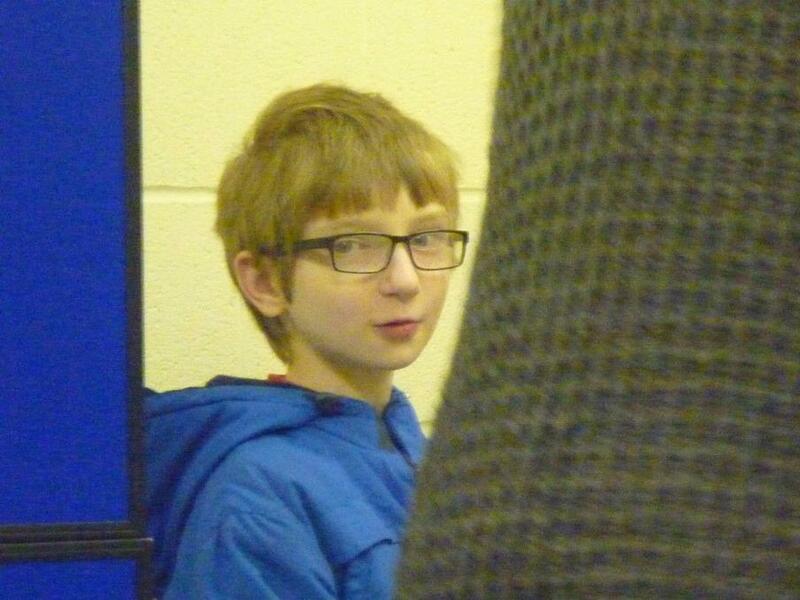 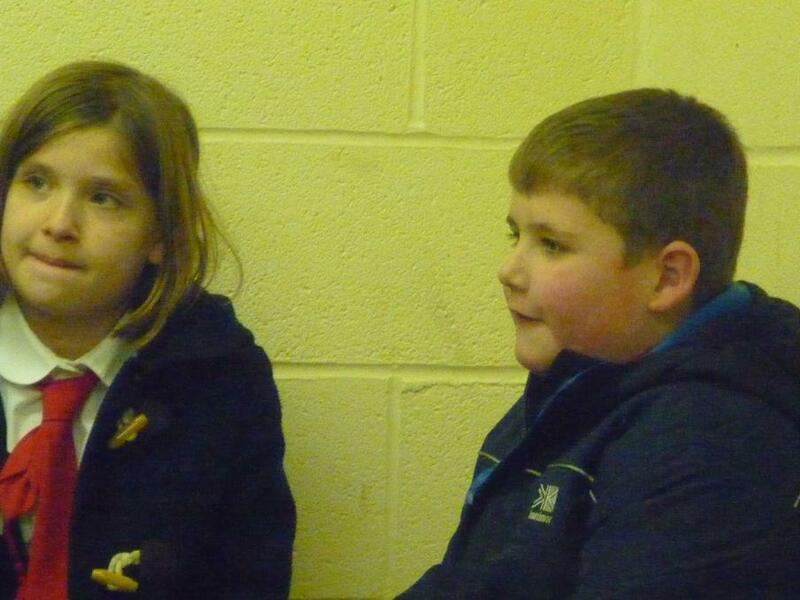 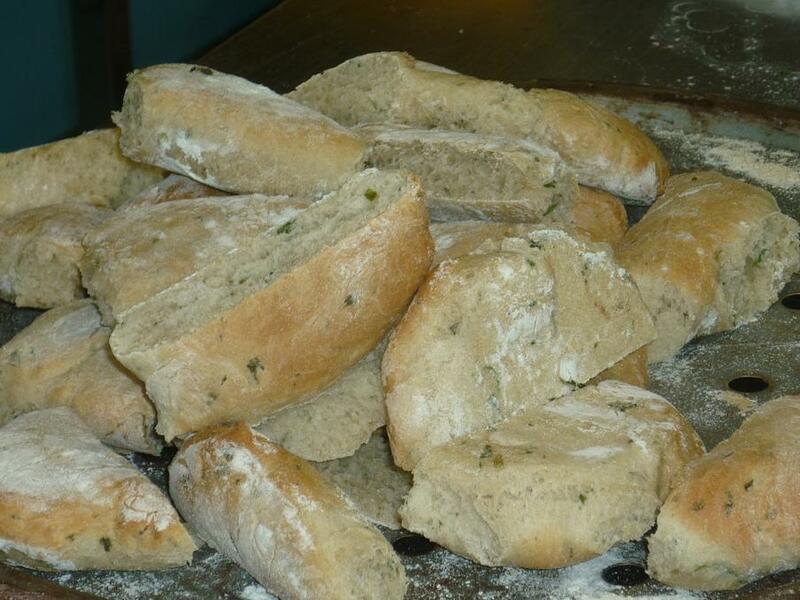 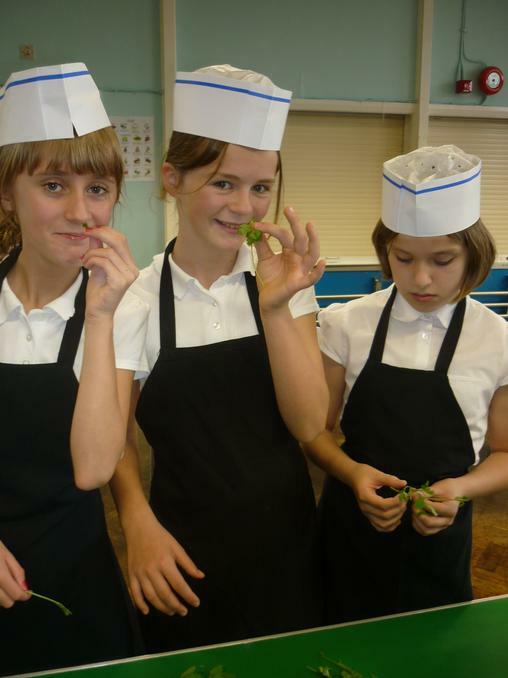 We have a very busy term ahead and we will be adding photographs as we go along. 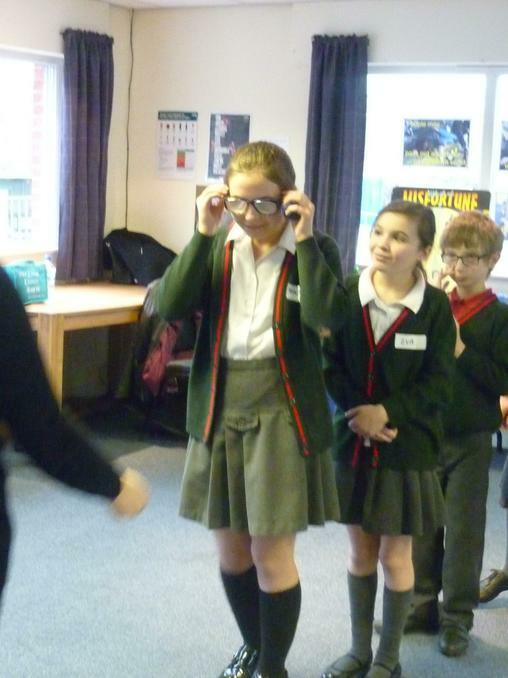 We are currently exploring early Baghdad (AD 900) and comparing what life was like there to life in Britain at the same time. 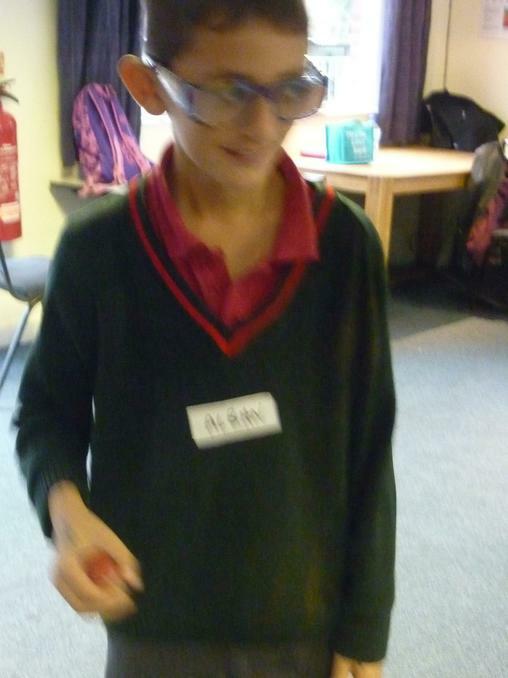 We will be investigating how Baghdad was constructed, why it was built in that area and we will be focusing on the developments that were made in Science and Technology at that time. 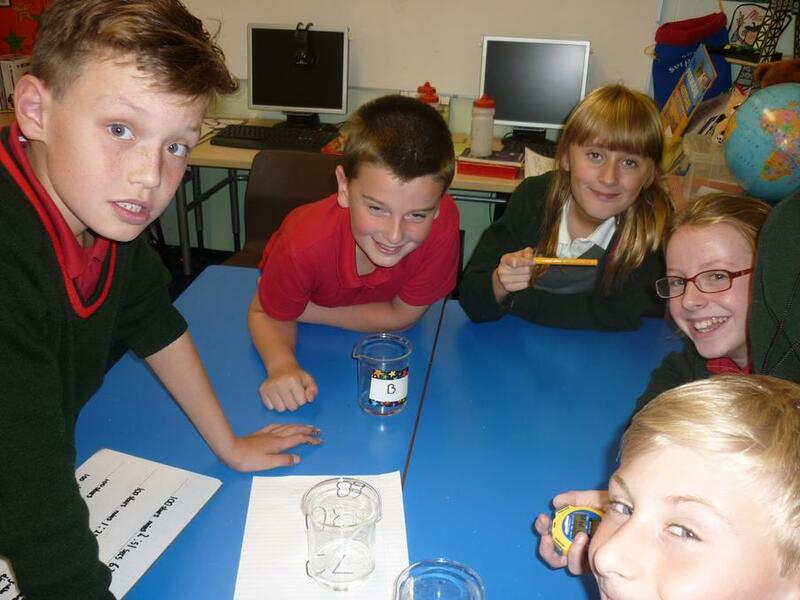 In science we have been doing experiments involving dissolving and learning all about soluble and insoluble materials. 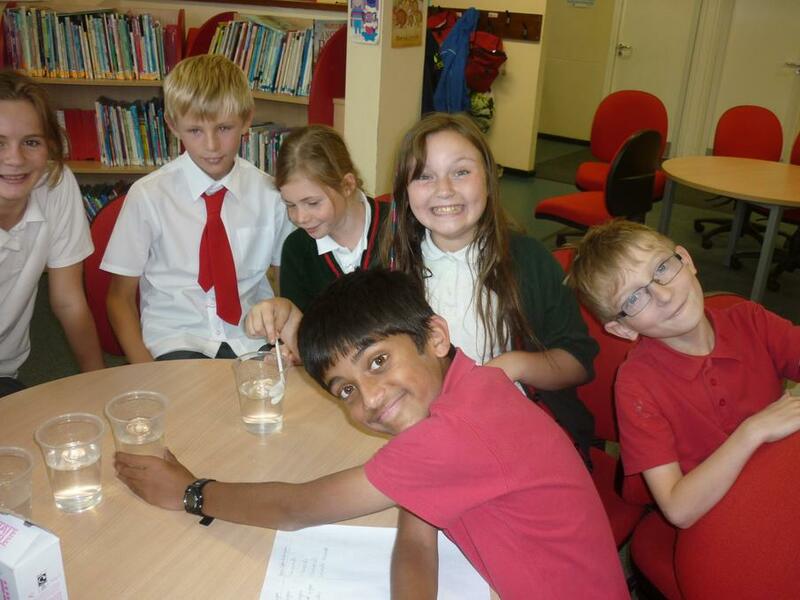 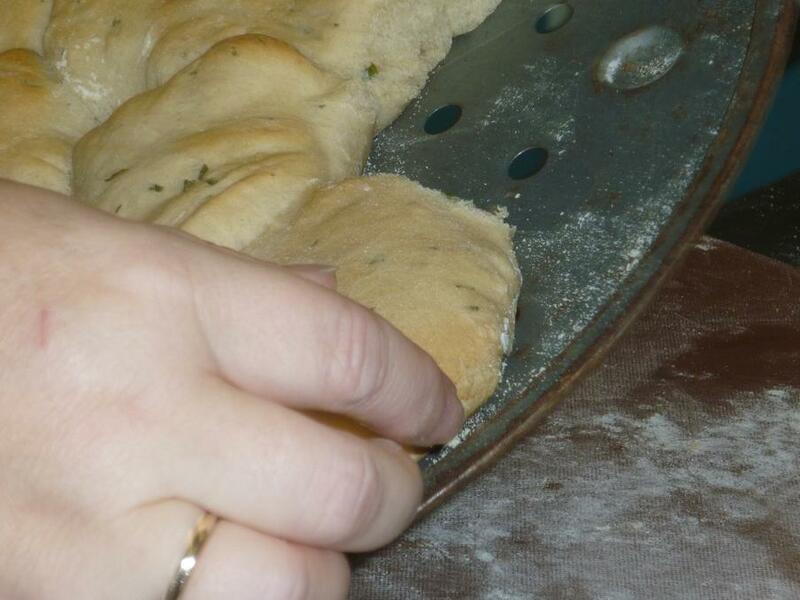 Have a look at some of our photos showing us working in groups.